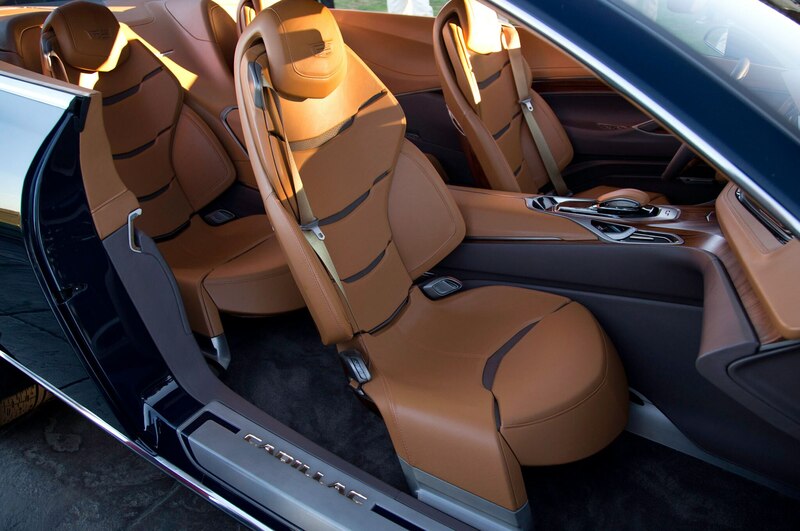 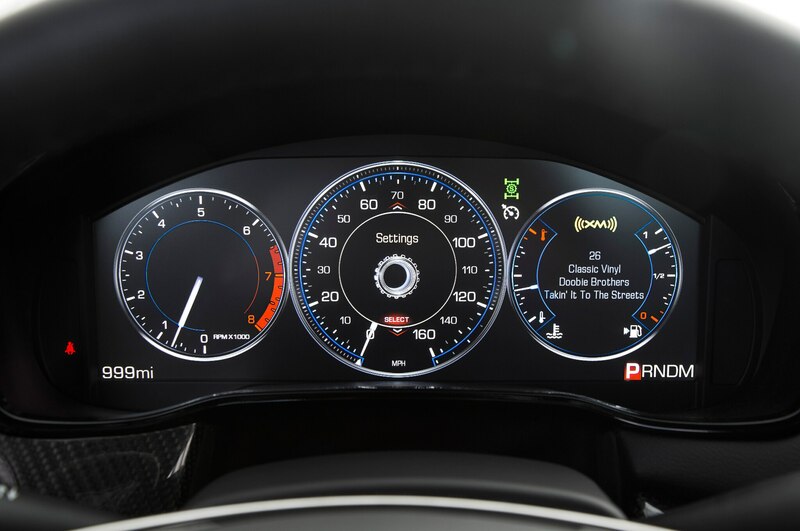 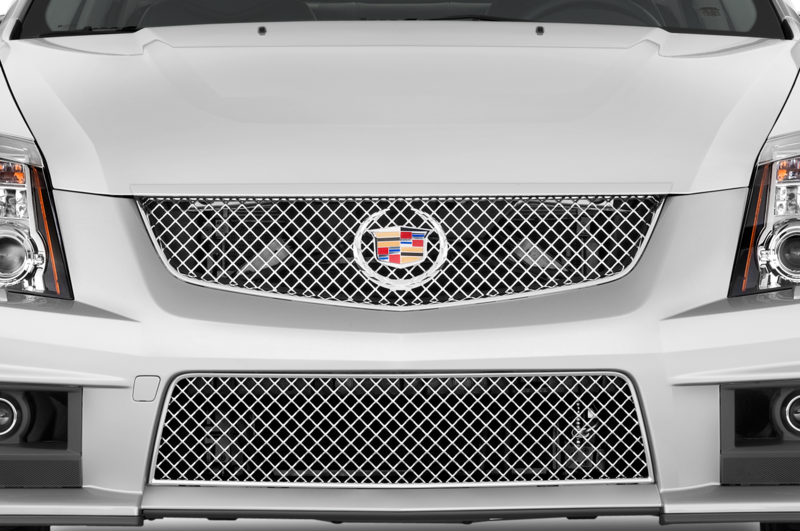 The Cadillac Elmiraj concept, which debuted at the Pebble Beach Concours d’Elegance, clearly hints at what Cadillac’s S-class fighter will be. 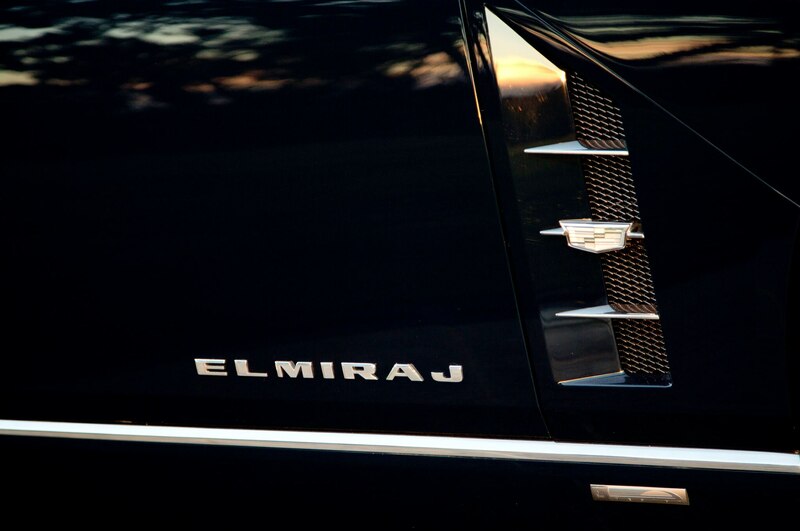 Our spy illustration of the S-class fighter is shown above and photos of the Elmiraj concept are at the bottom of the story. 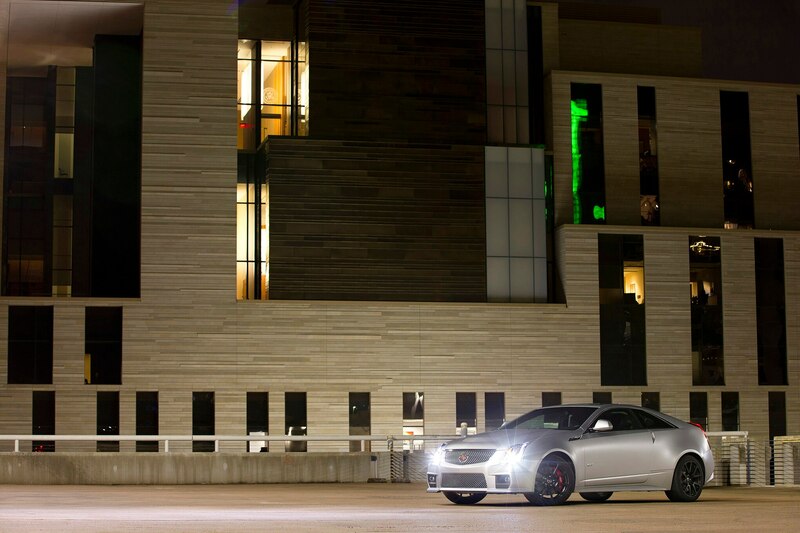 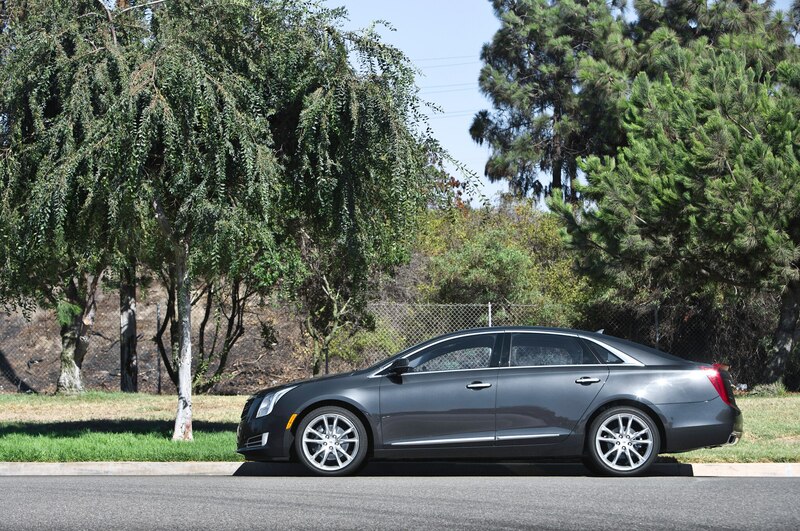 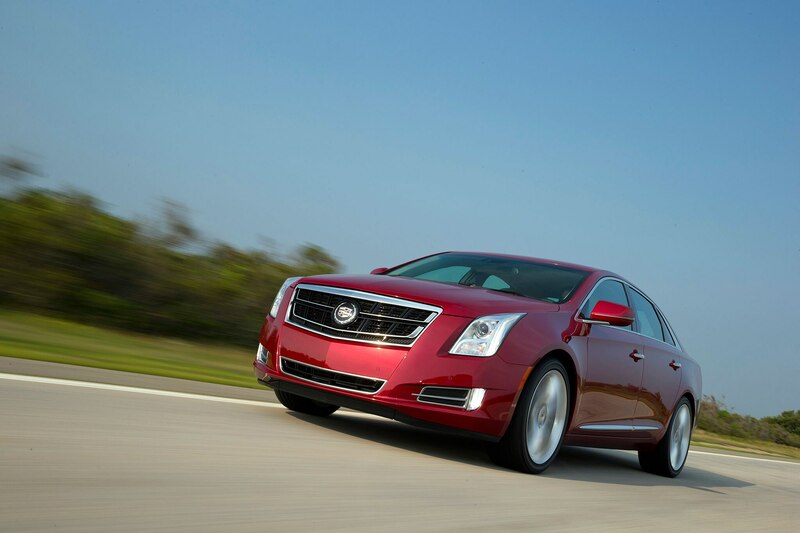 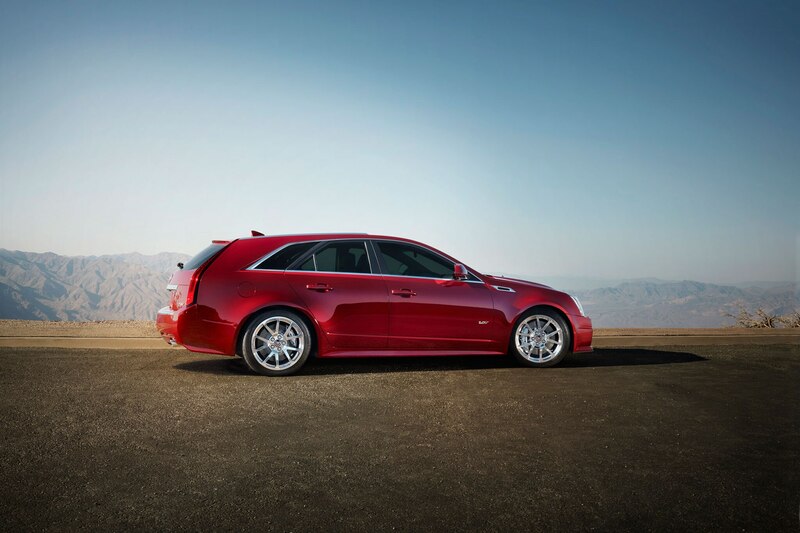 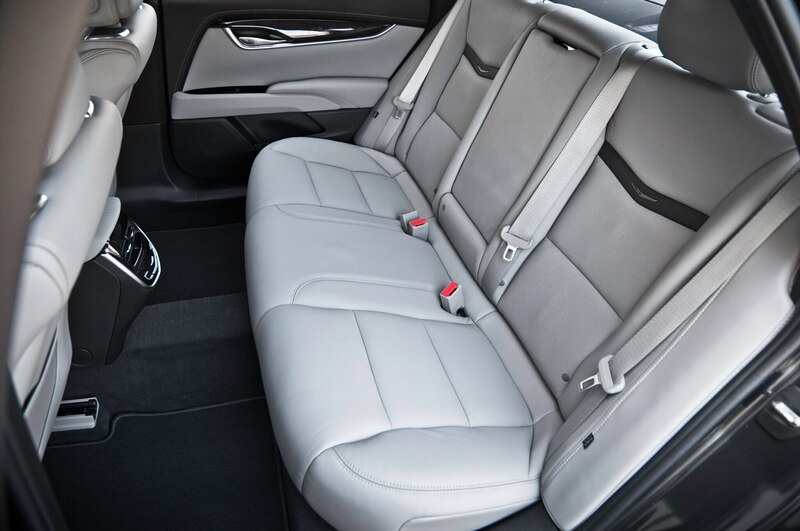 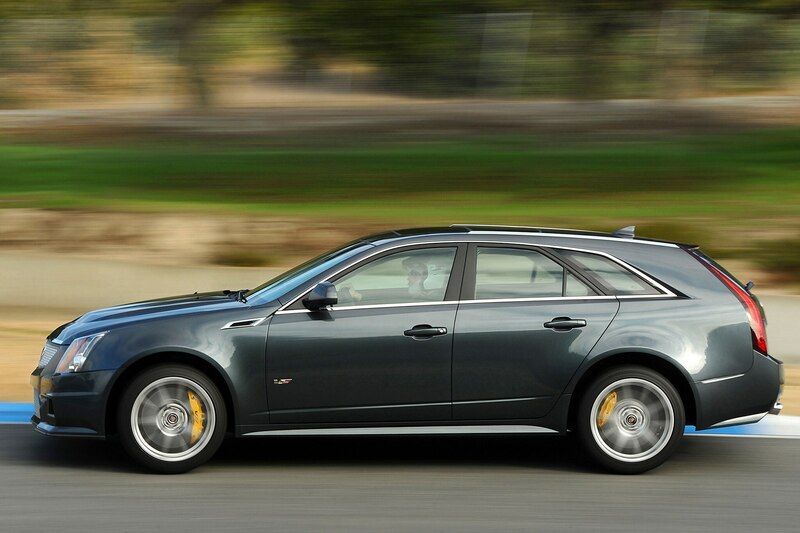 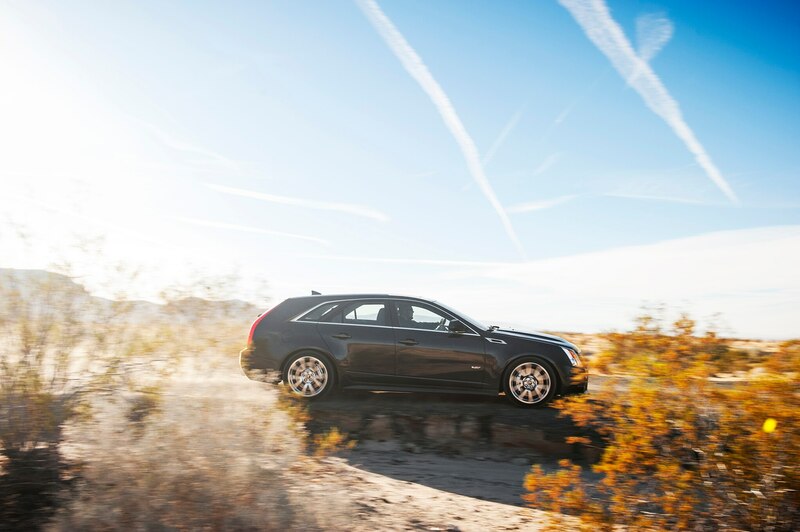 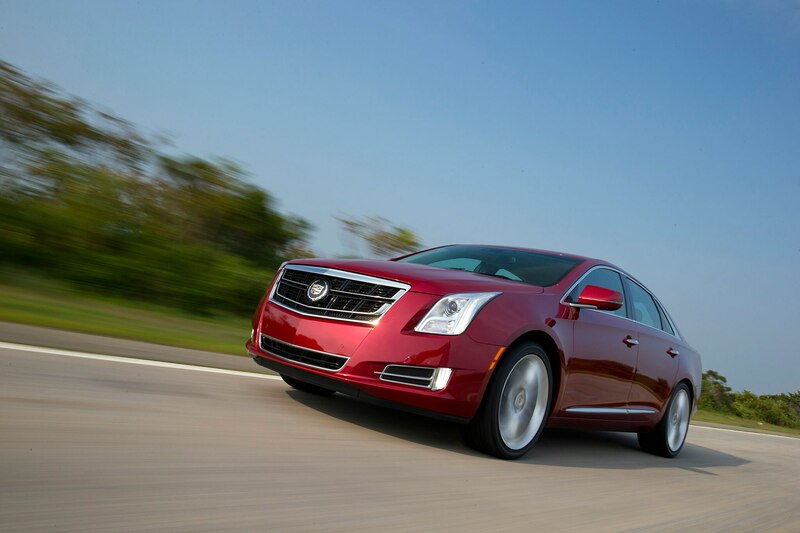 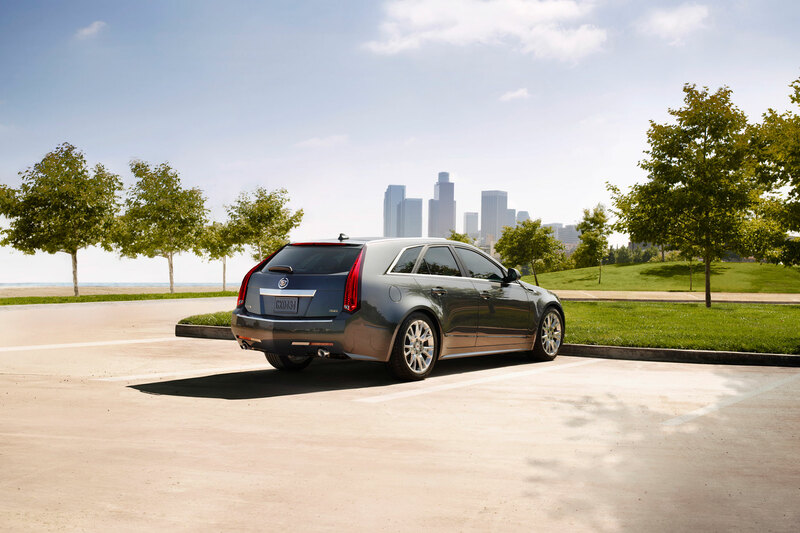 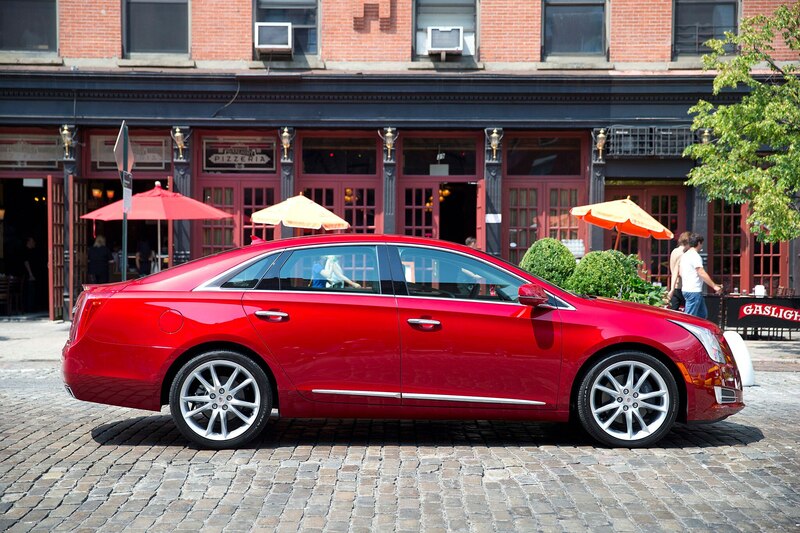 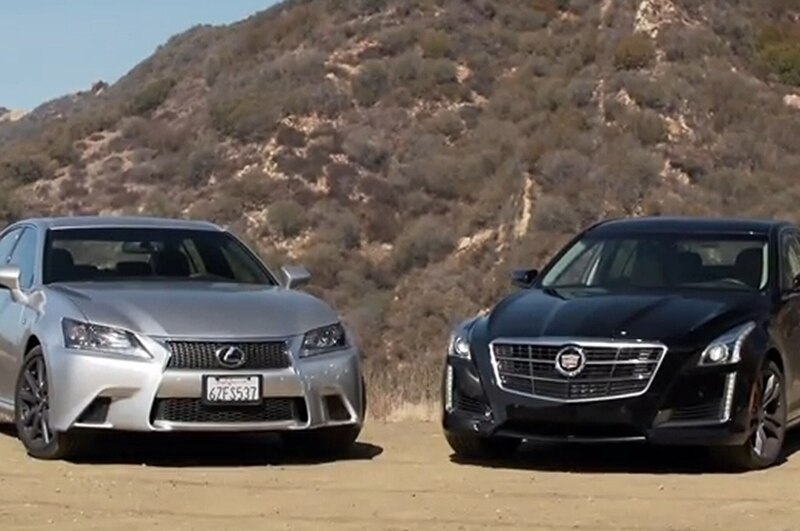 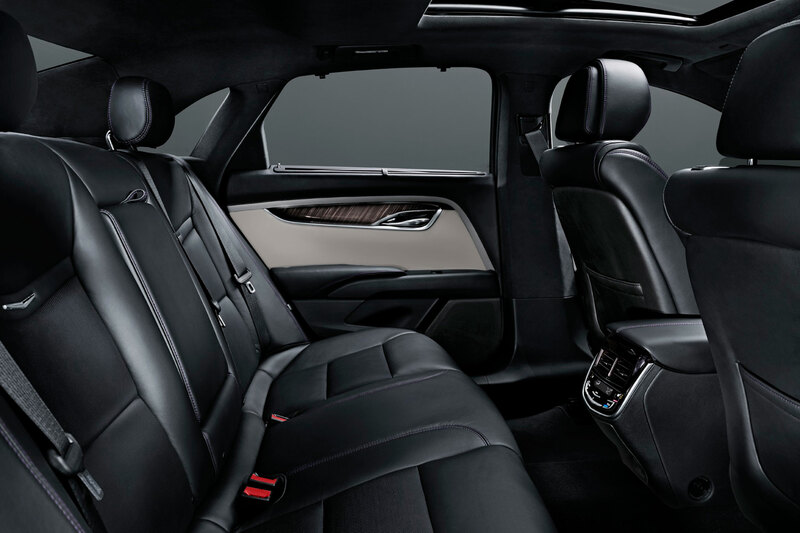 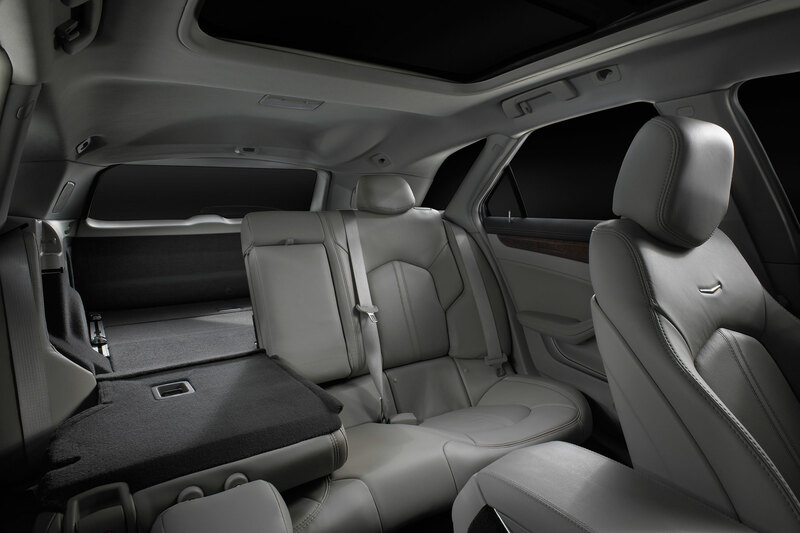 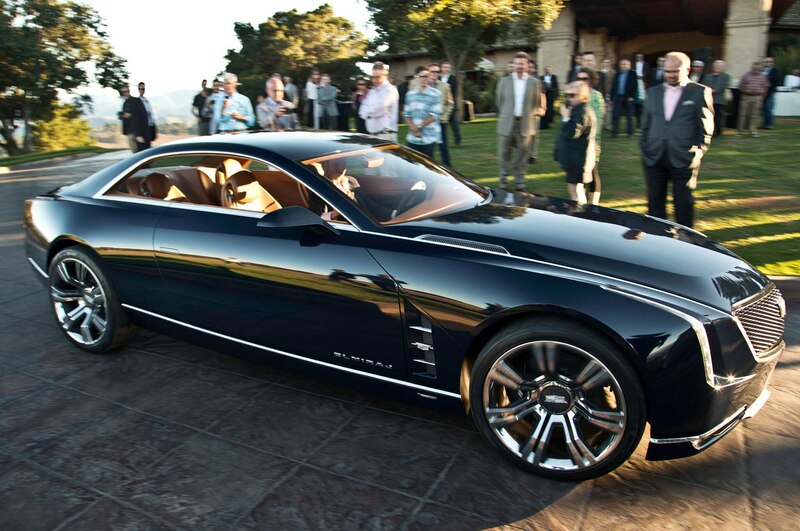 Cadillac had been developing both a Bentley rival and a more conventional competitor to the Mercedes-Benz S-Class. 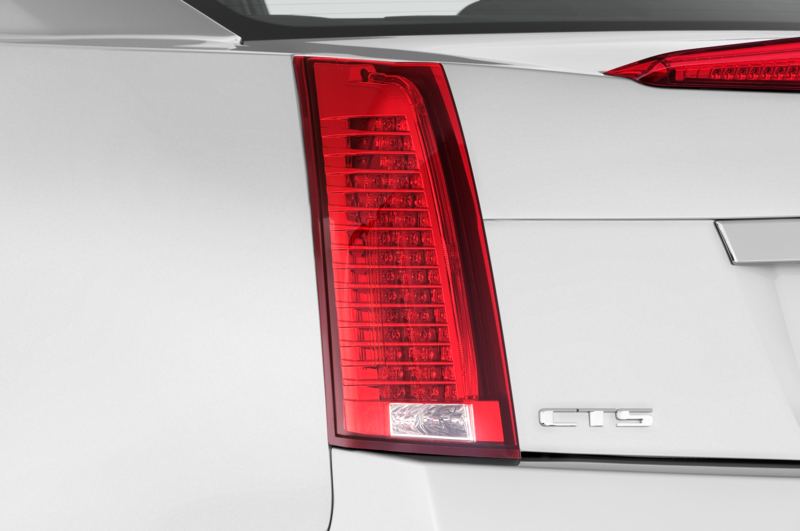 The flagship, prudently, is on indefinite hold. 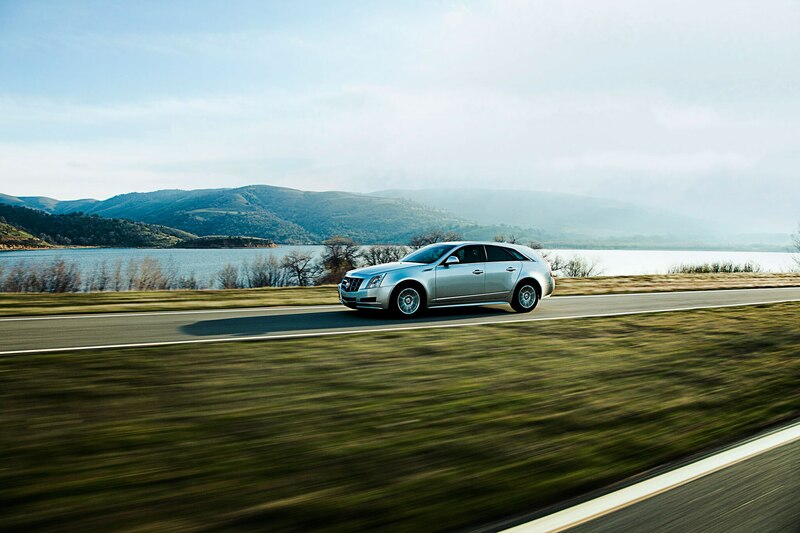 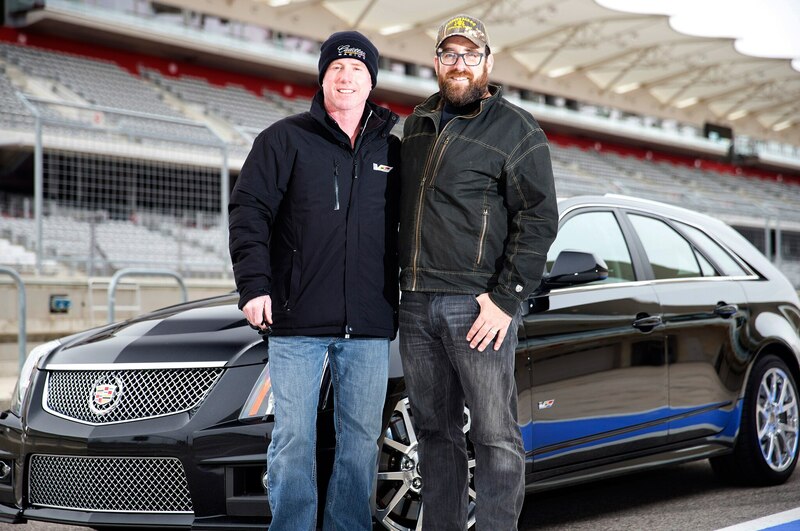 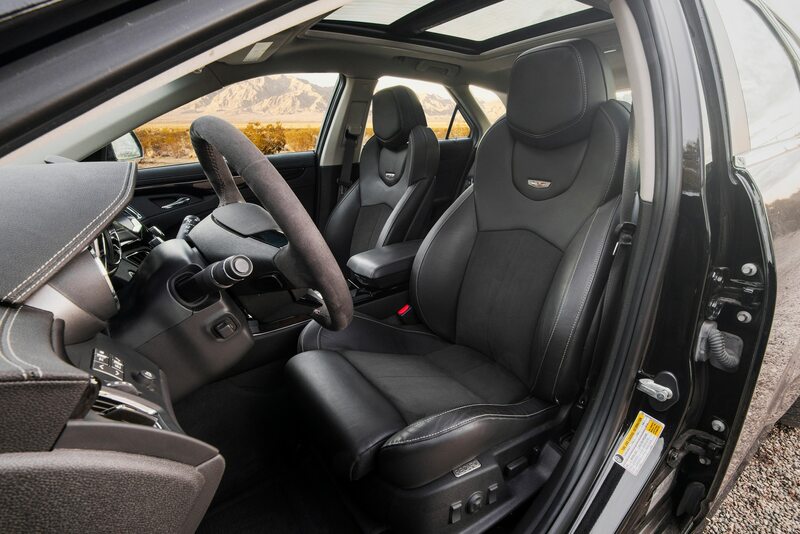 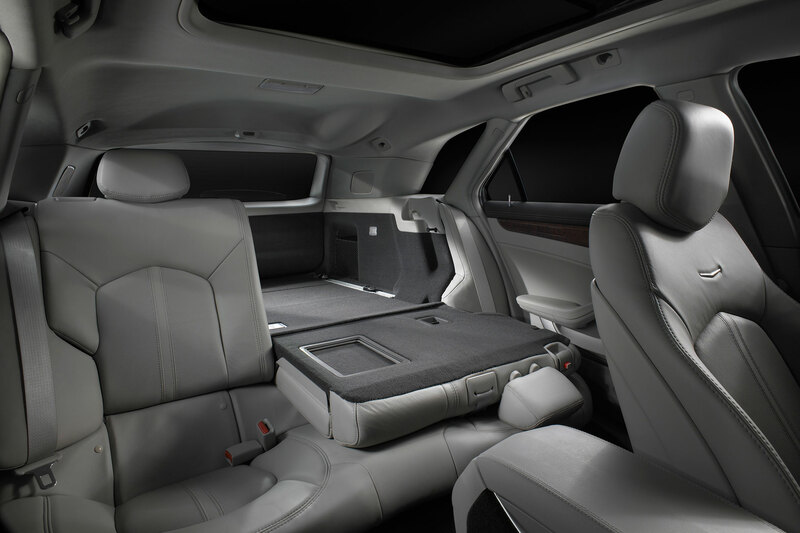 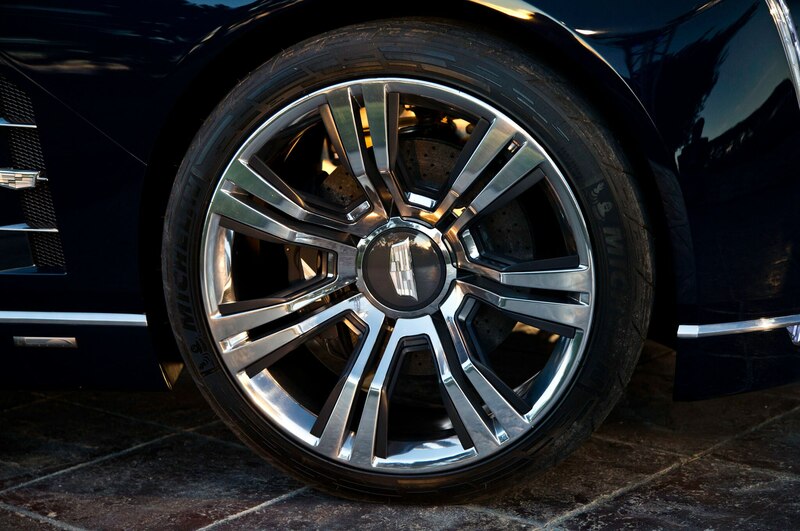 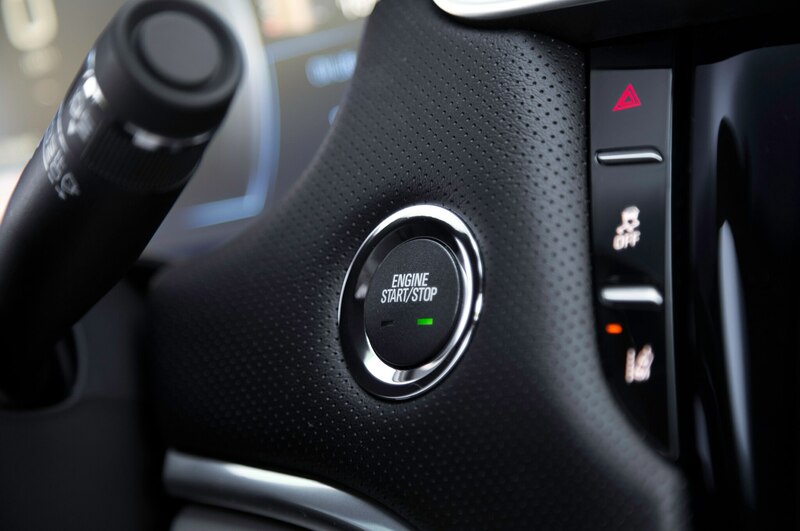 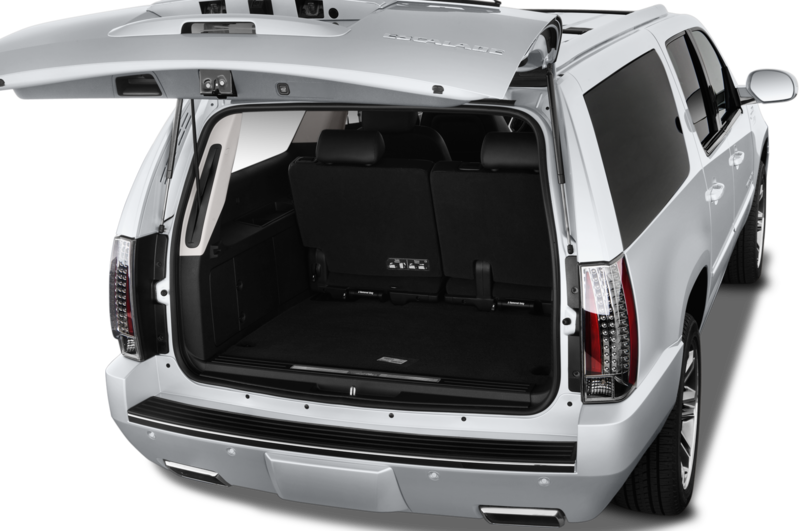 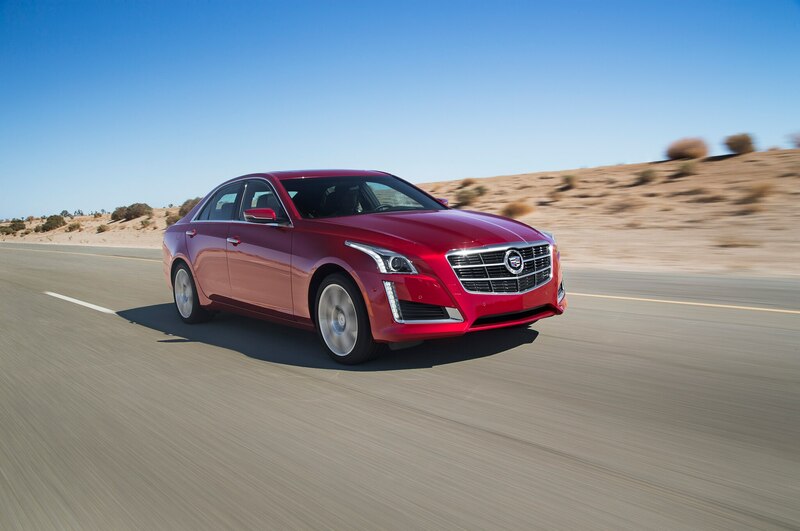 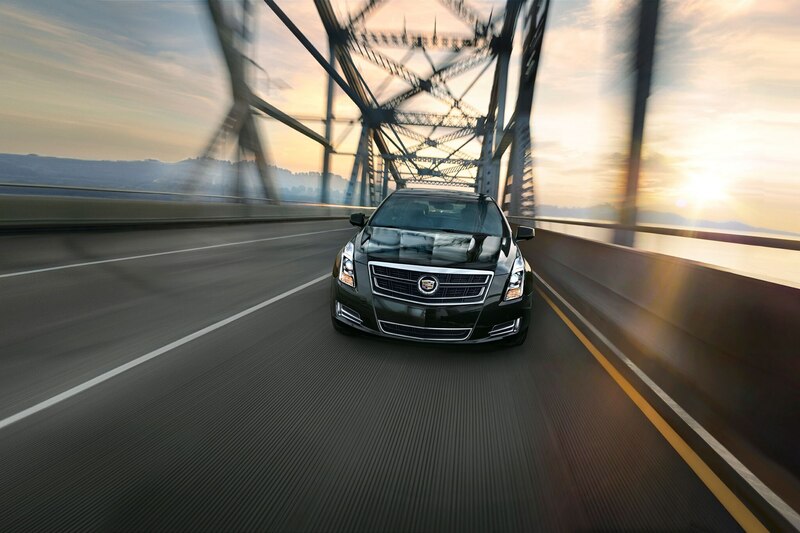 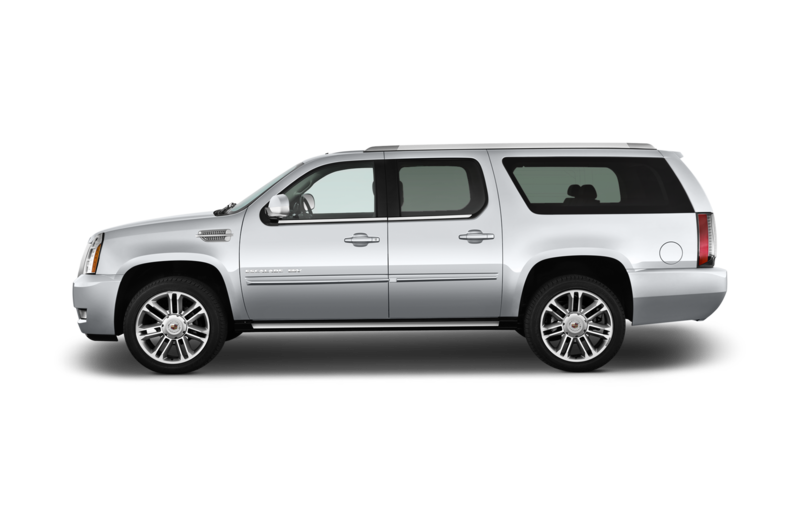 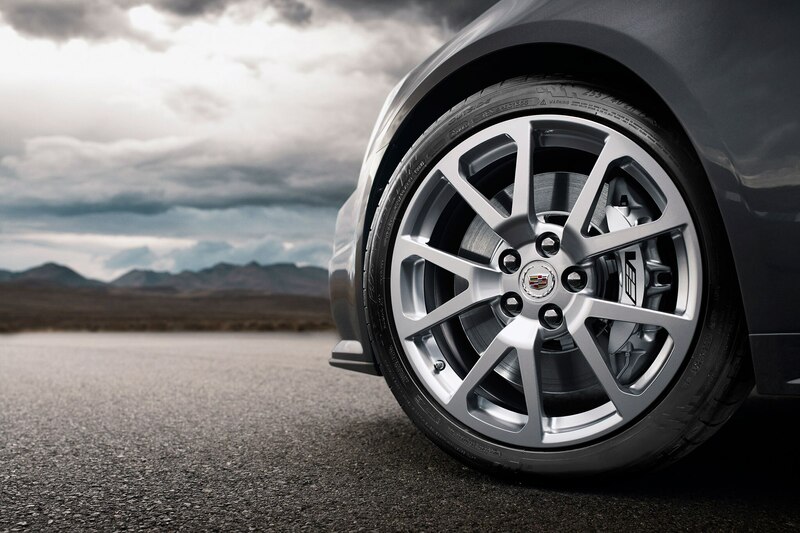 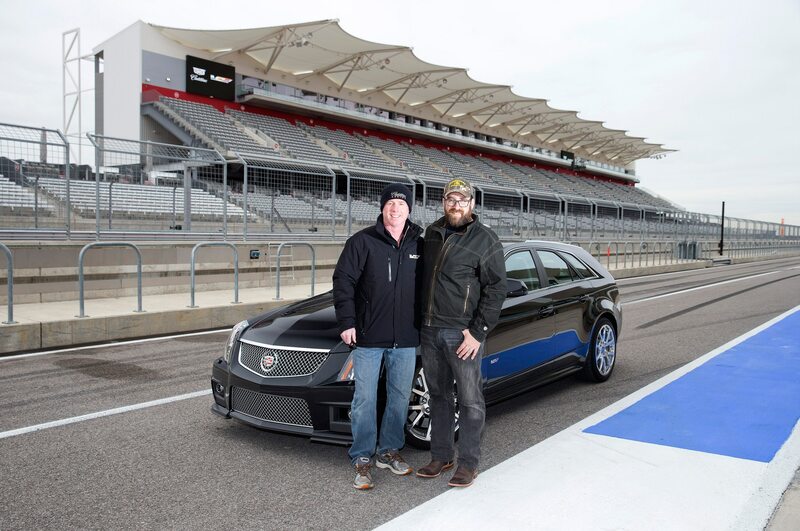 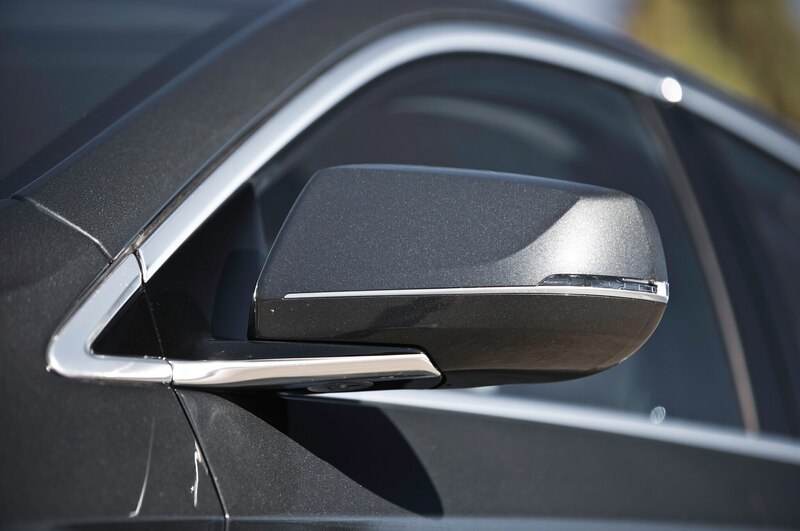 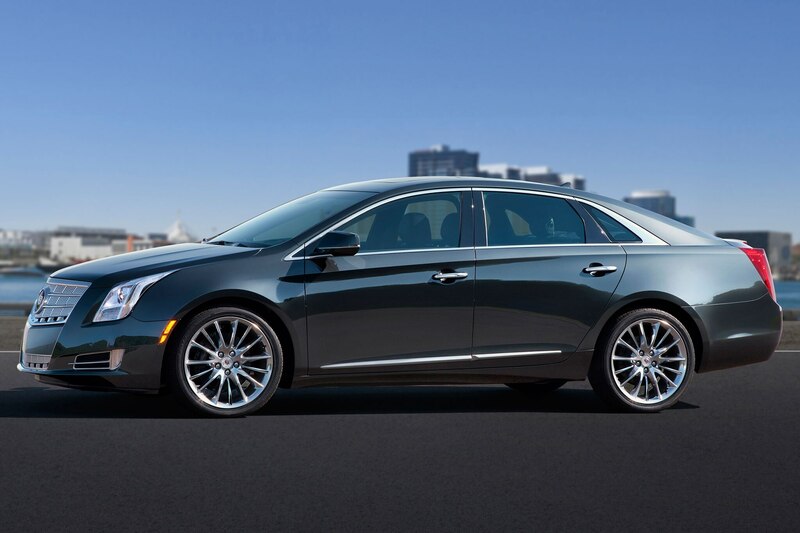 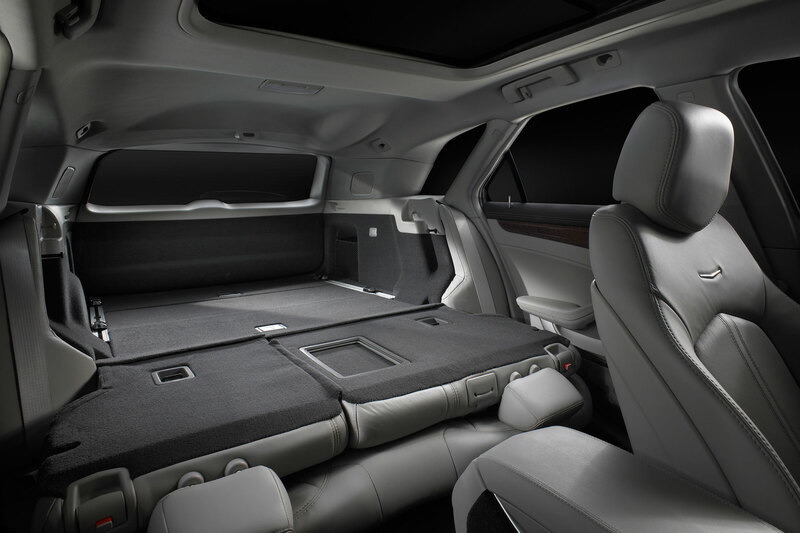 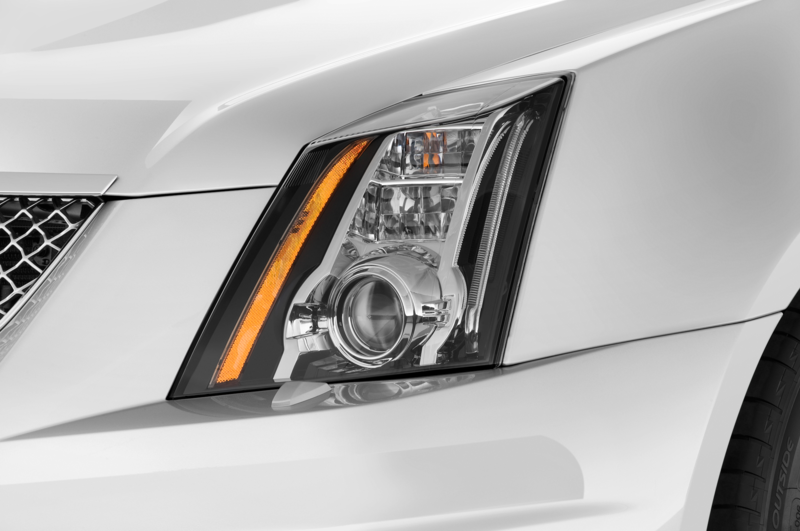 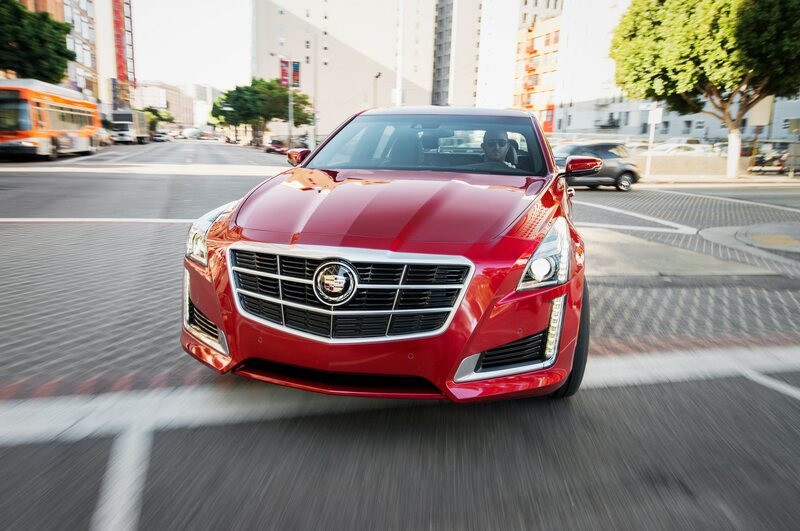 The big sedan, which may either have a proper name or be called LTS, will use General Motors’ new, large, rear-wheel-drive Omega platform and will go on sale in 2015. 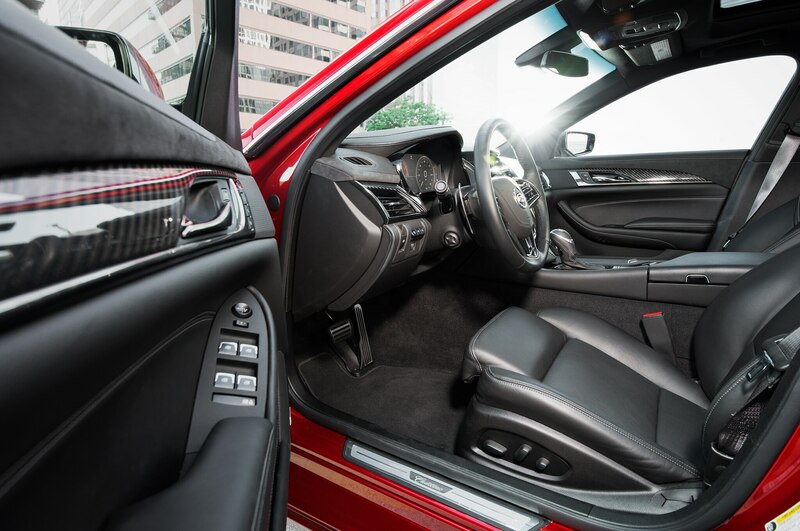 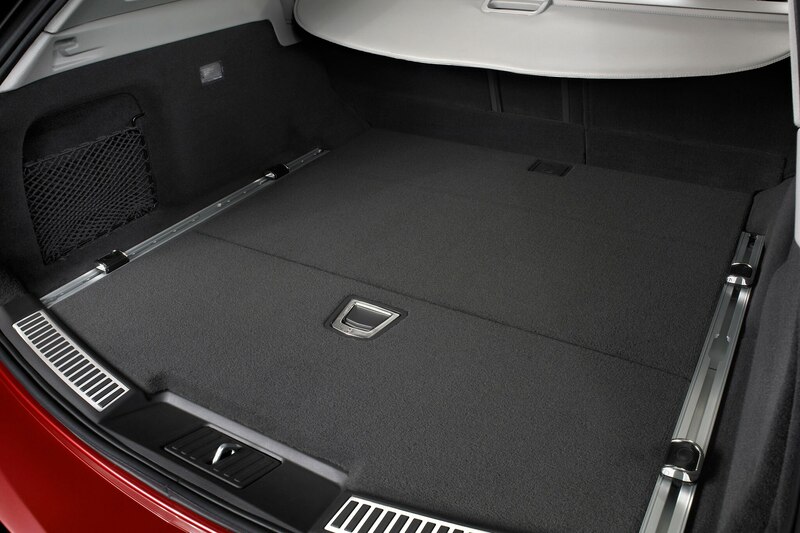 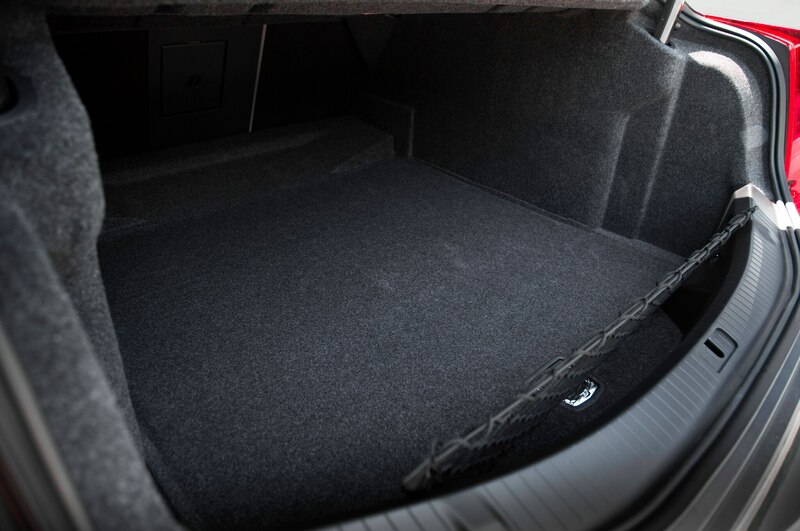 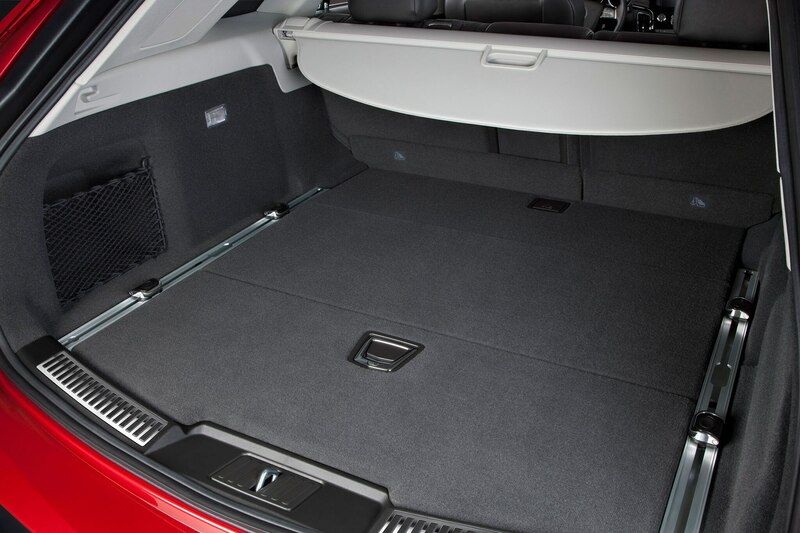 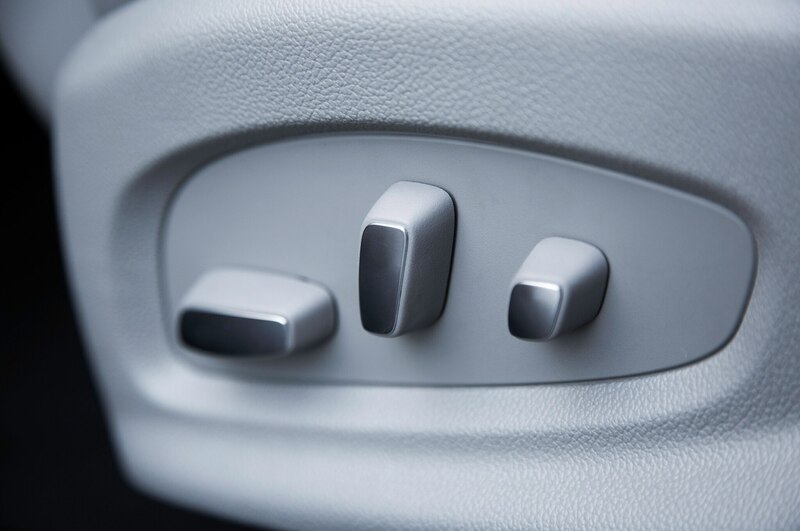 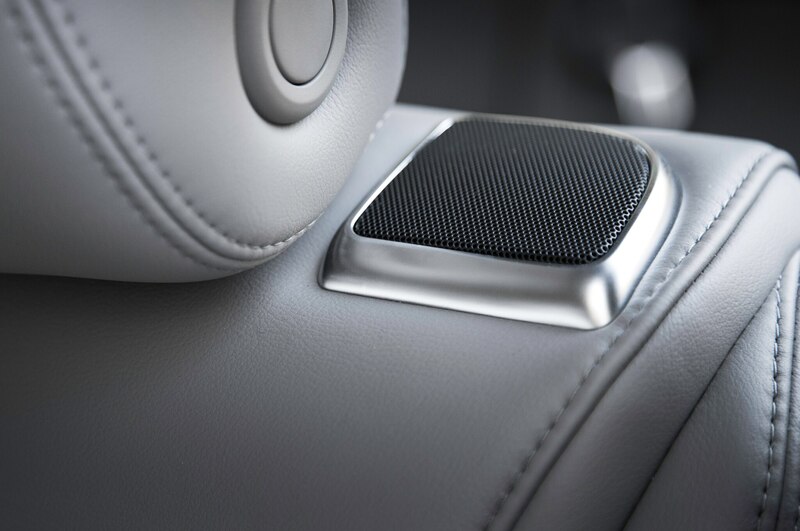 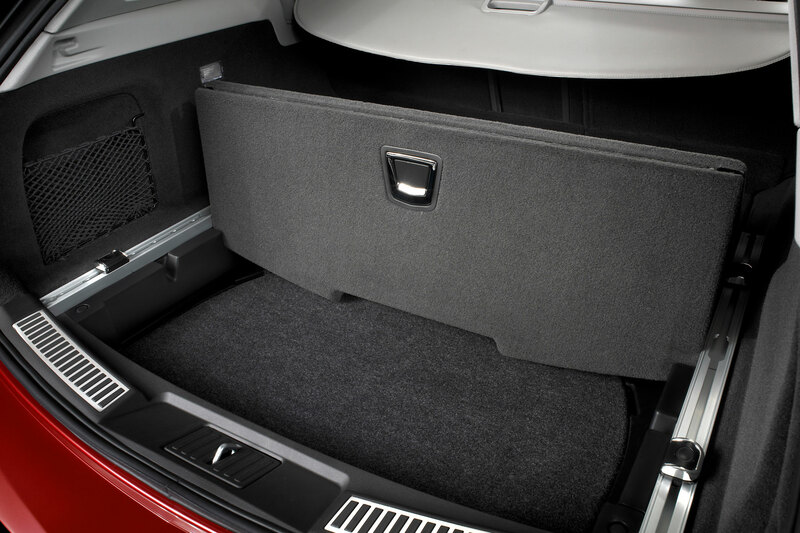 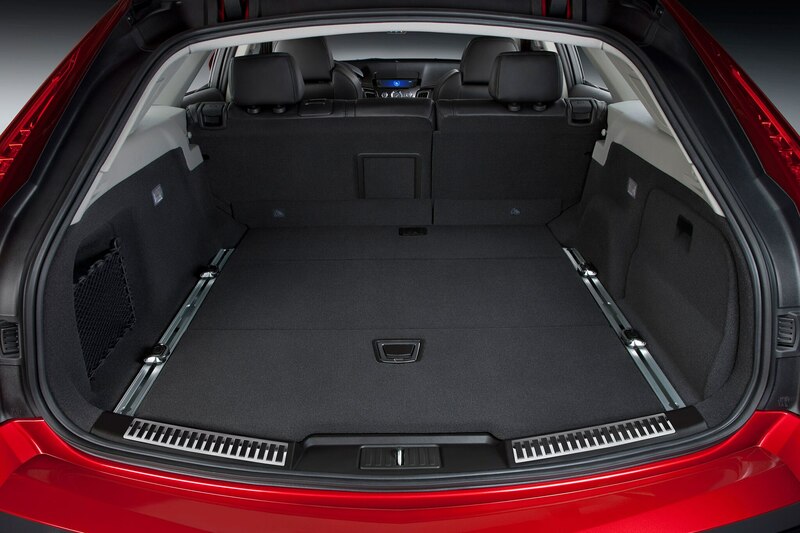 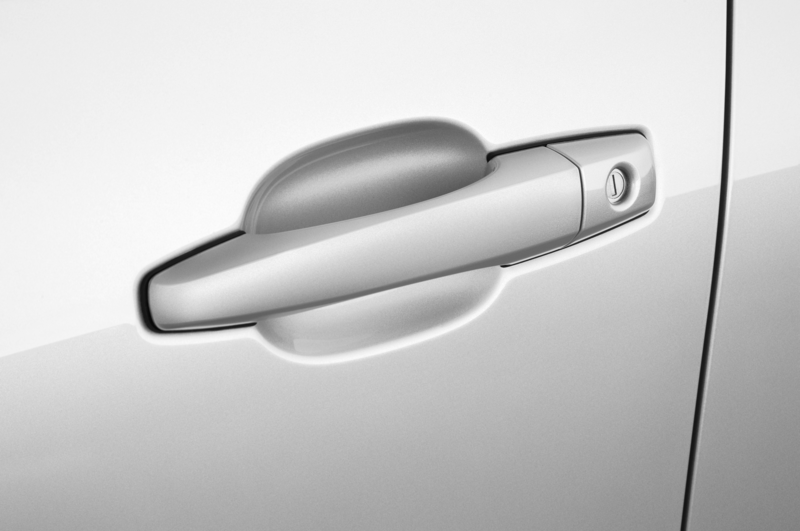 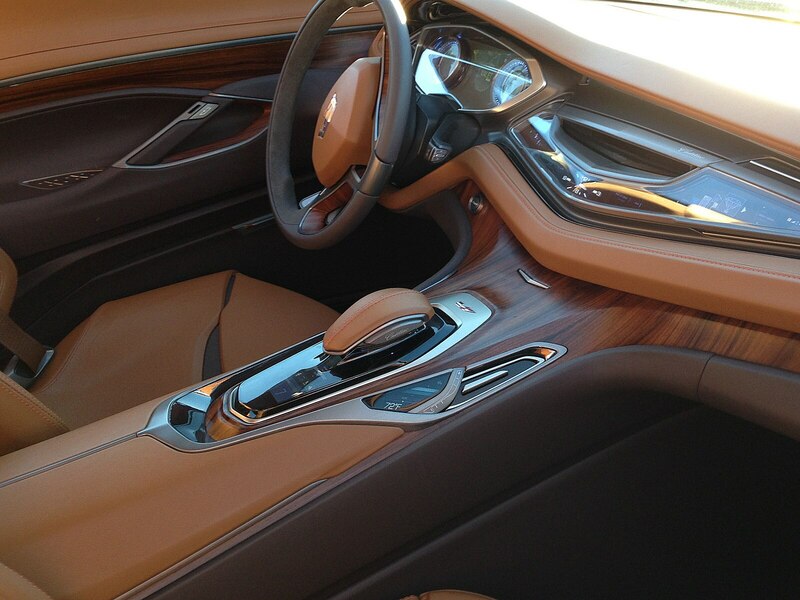 A Buick halo car on the same platform provides sufficient volume to cement the business case. 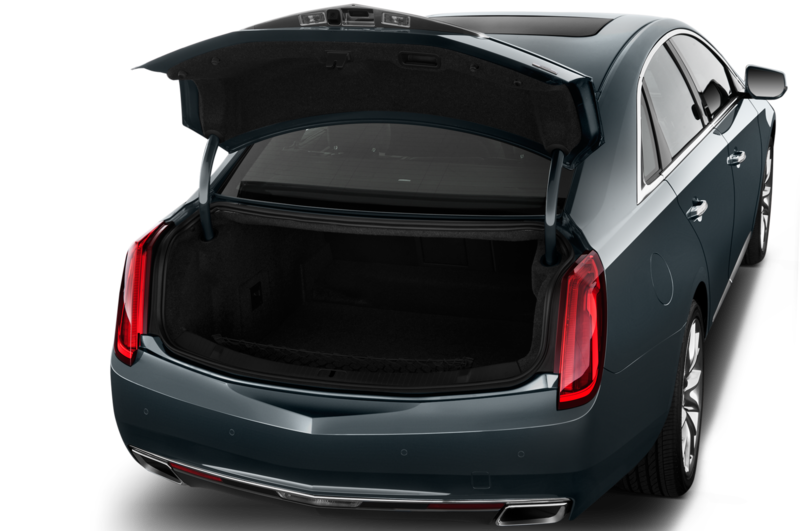 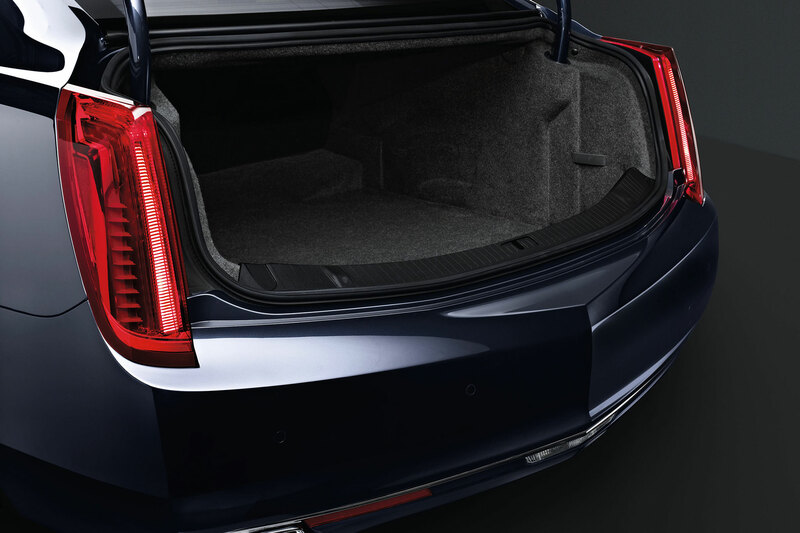 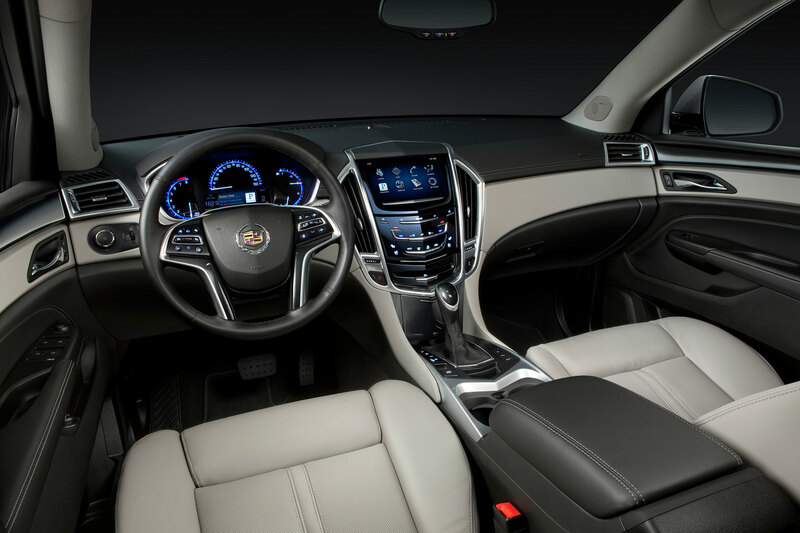 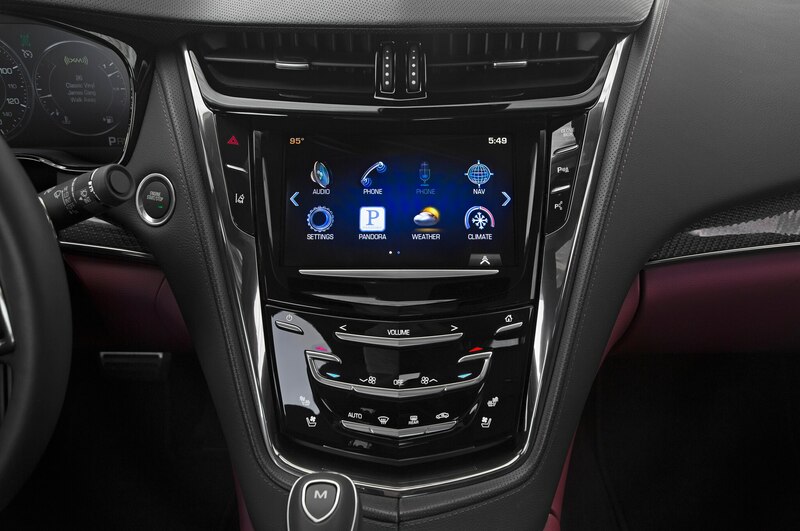 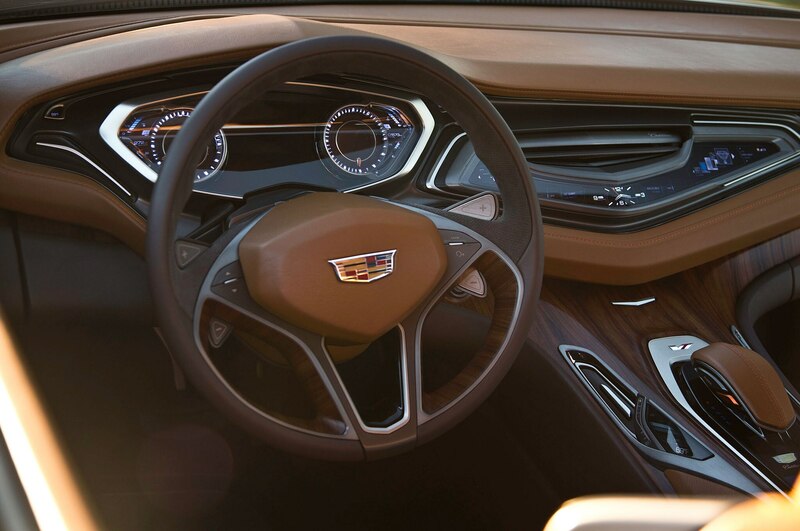 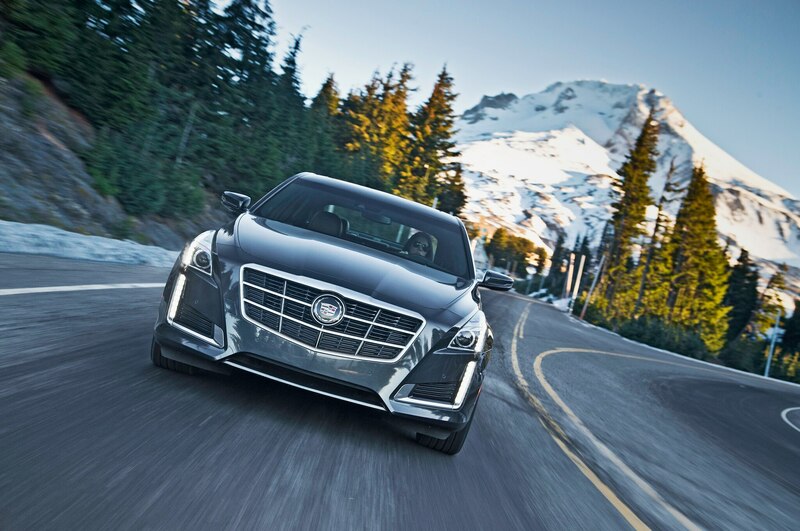 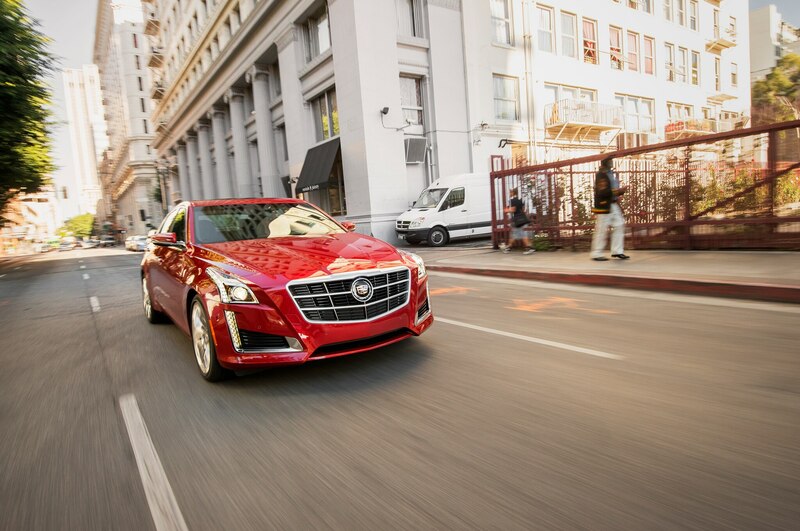 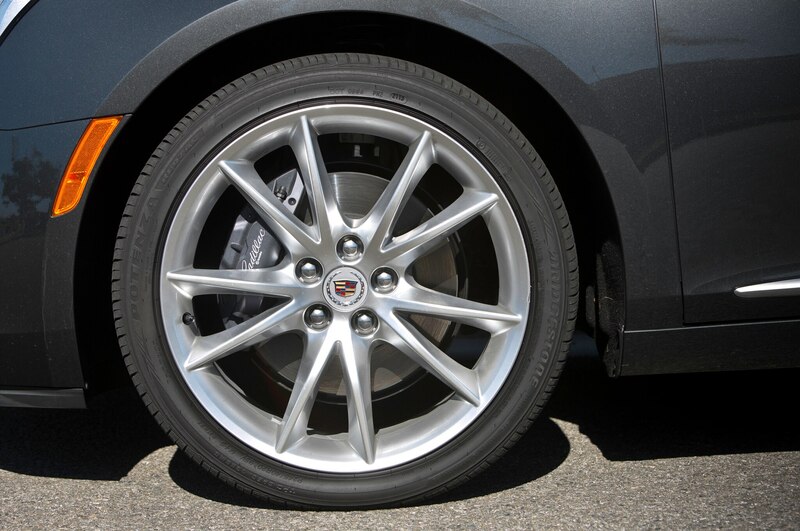 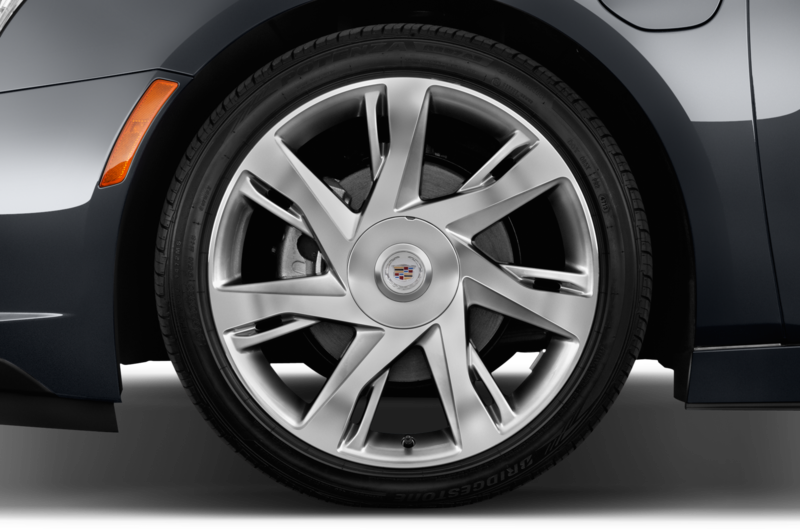 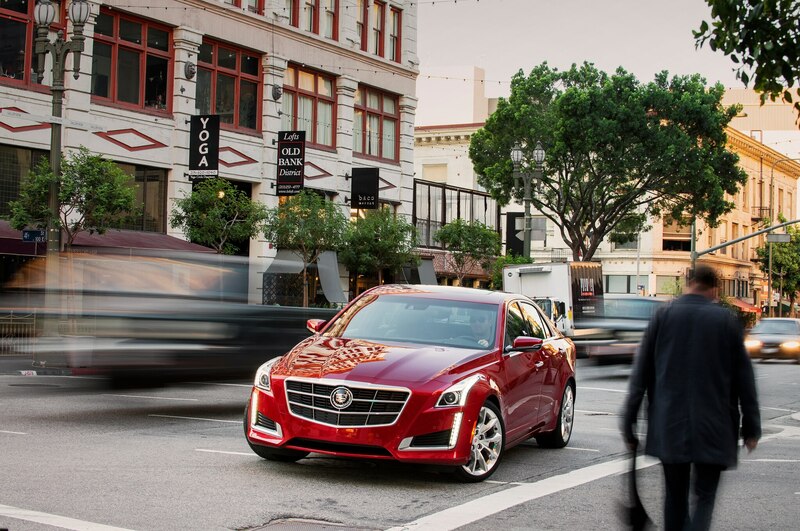 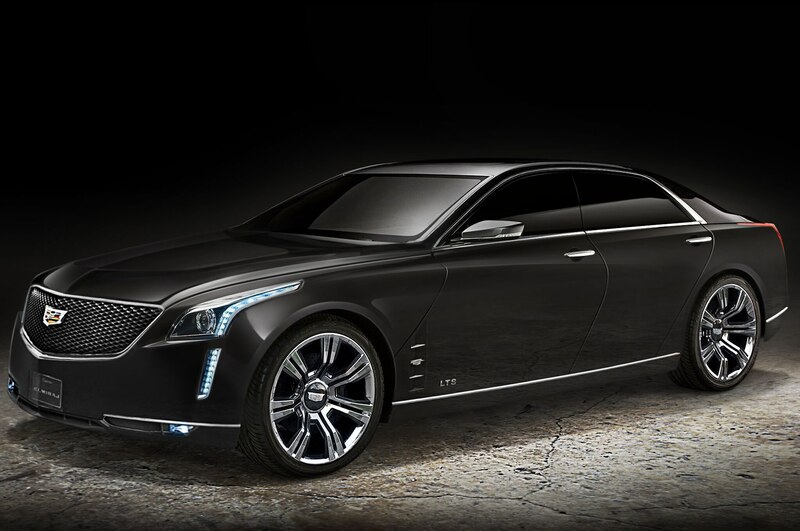 The Cadillac Elmiraj concept is just 1.5 inches shorter in length than the new S-class, and although the 121-inch wheelbase is 3.6 inches shorter, it might be closer in production. 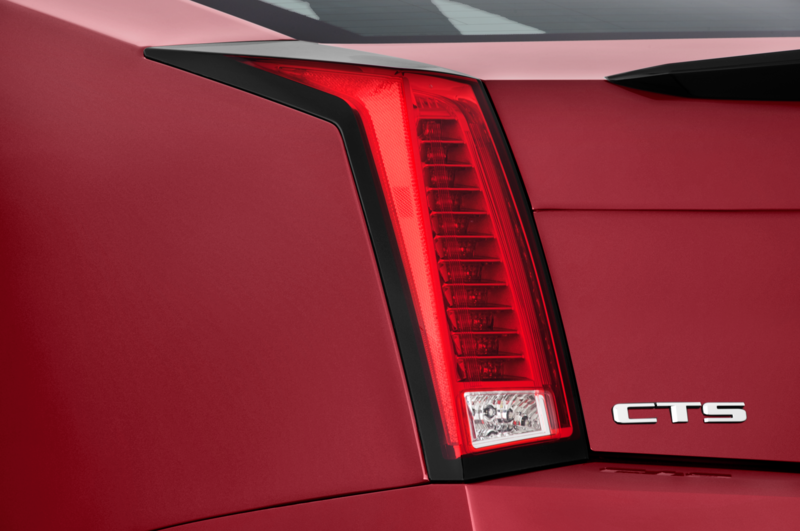 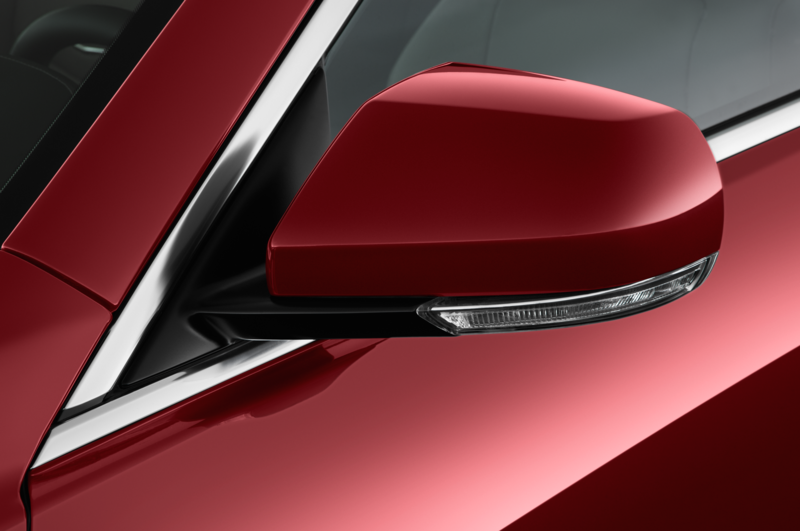 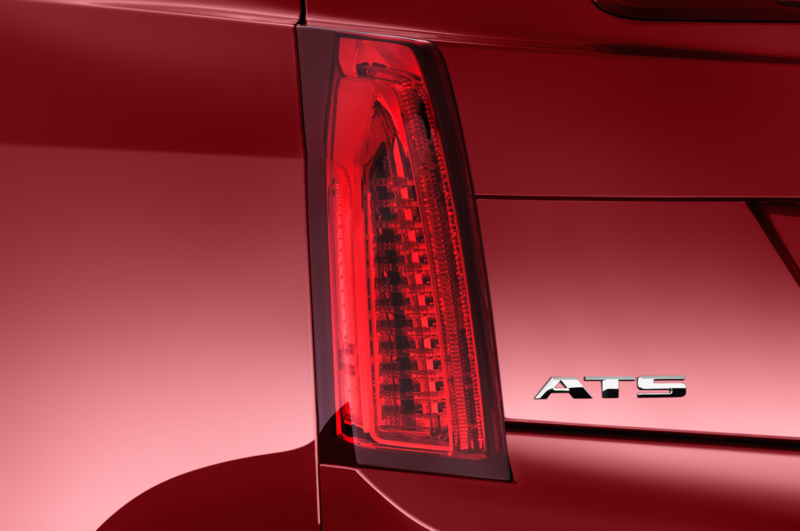 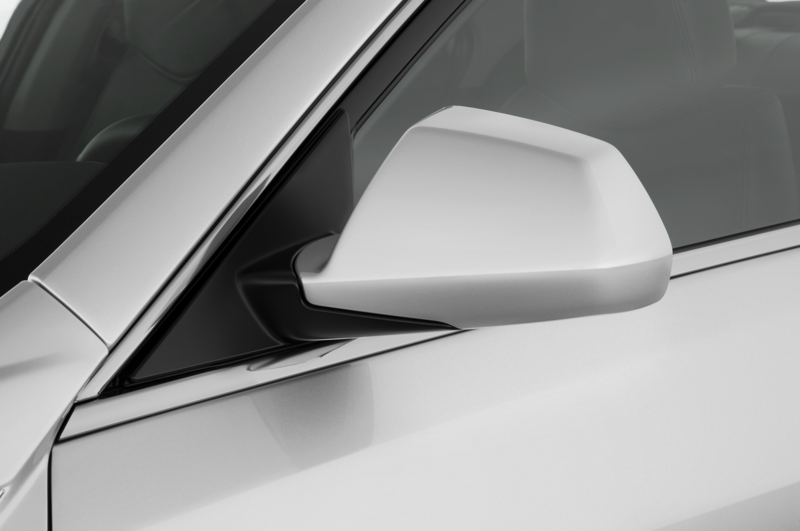 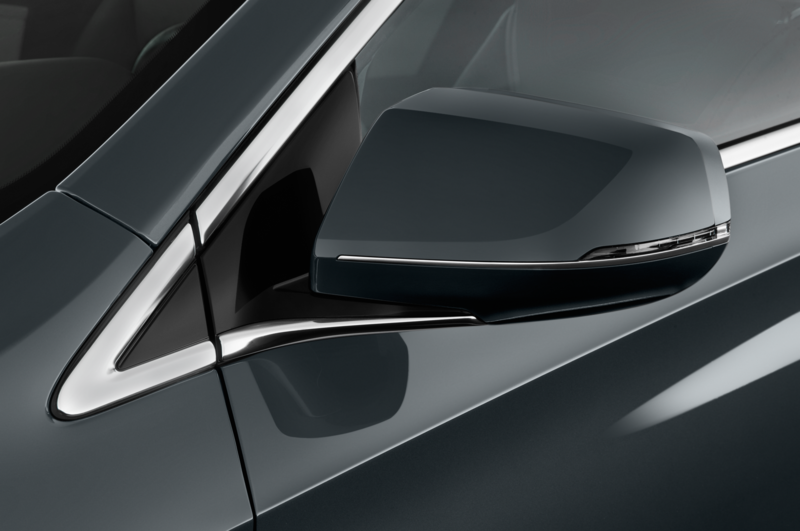 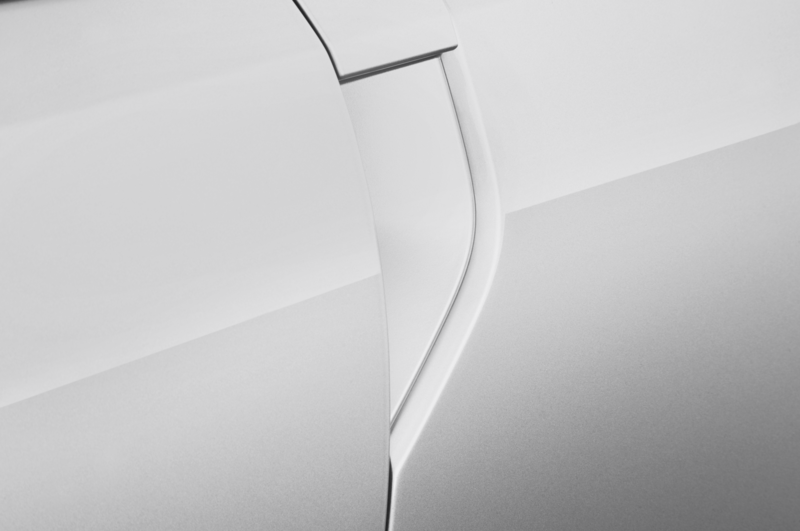 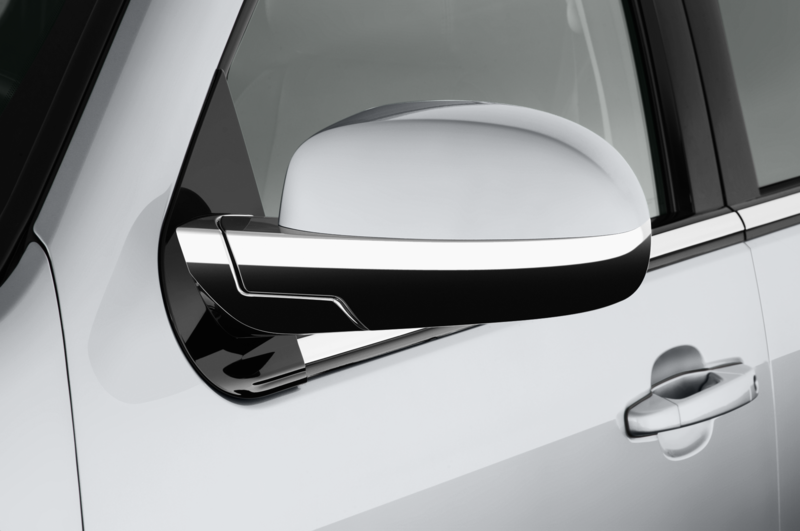 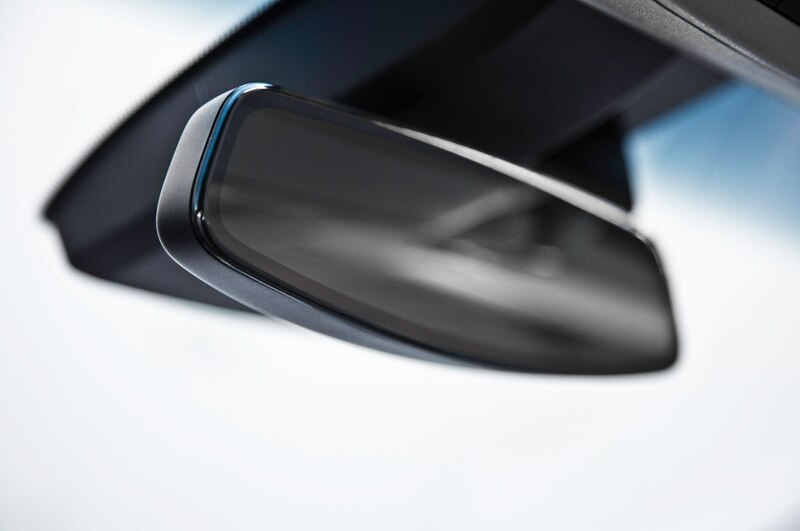 Compared with the concept, the LTS will have a higher roofline and a longer front overhang. 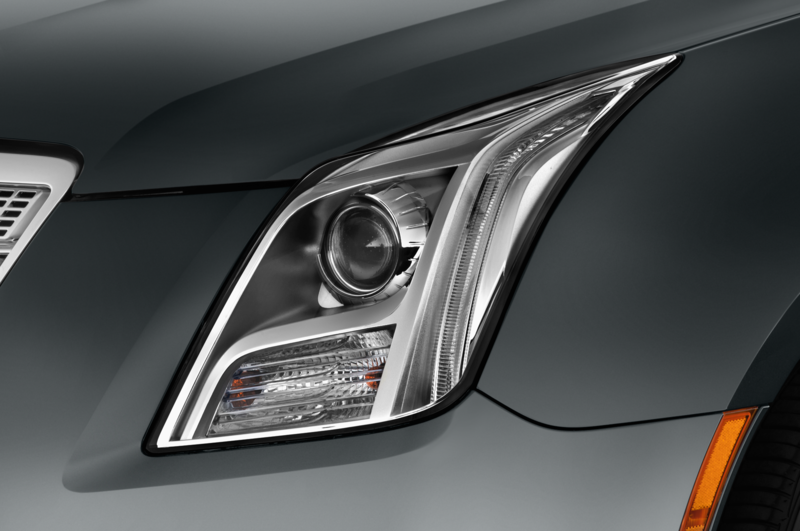 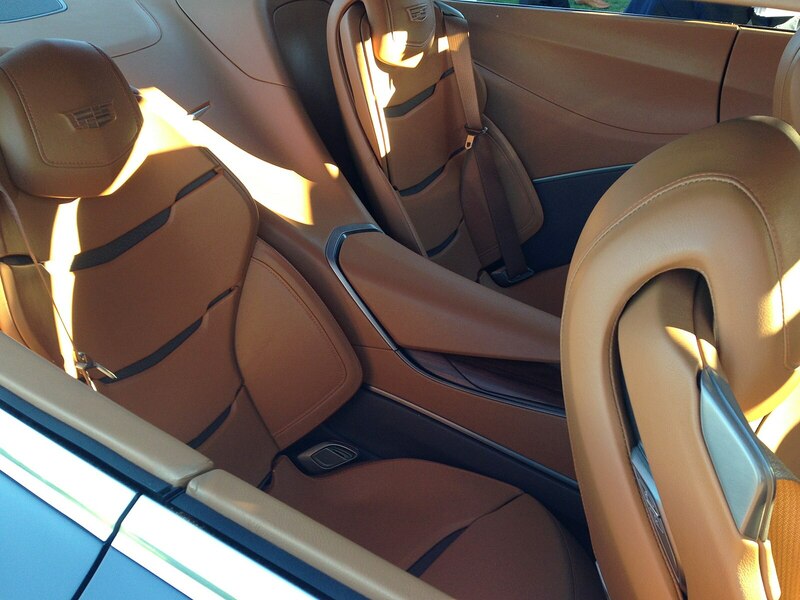 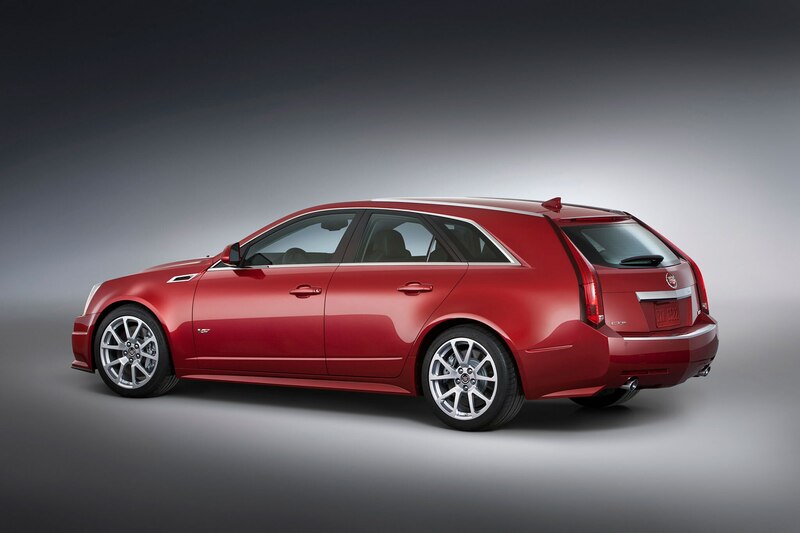 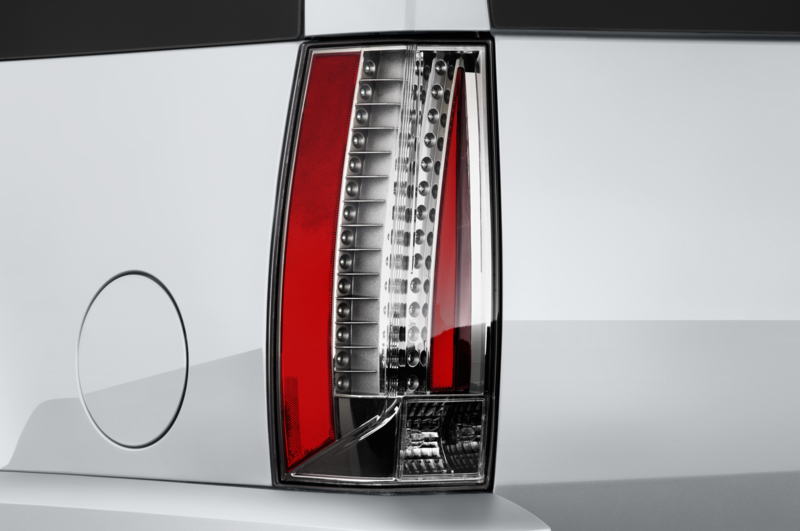 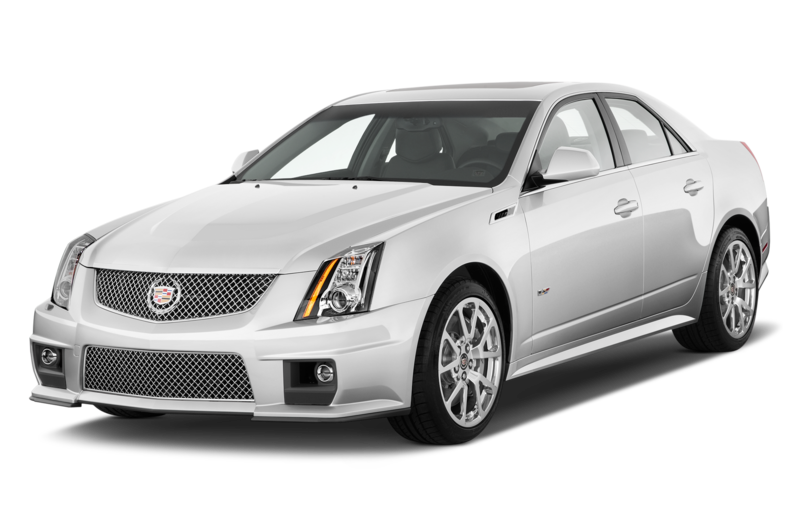 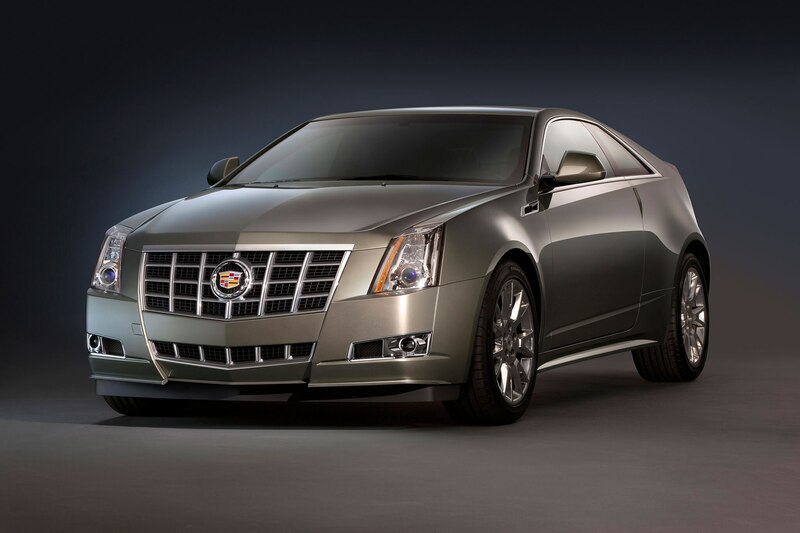 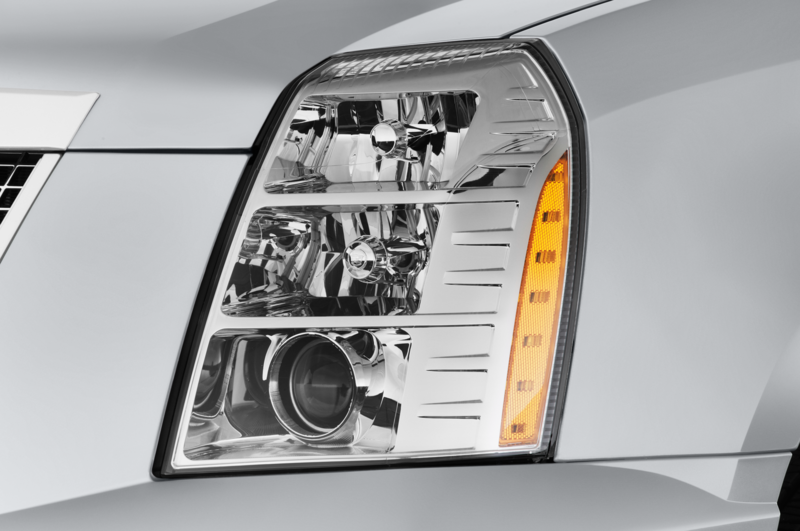 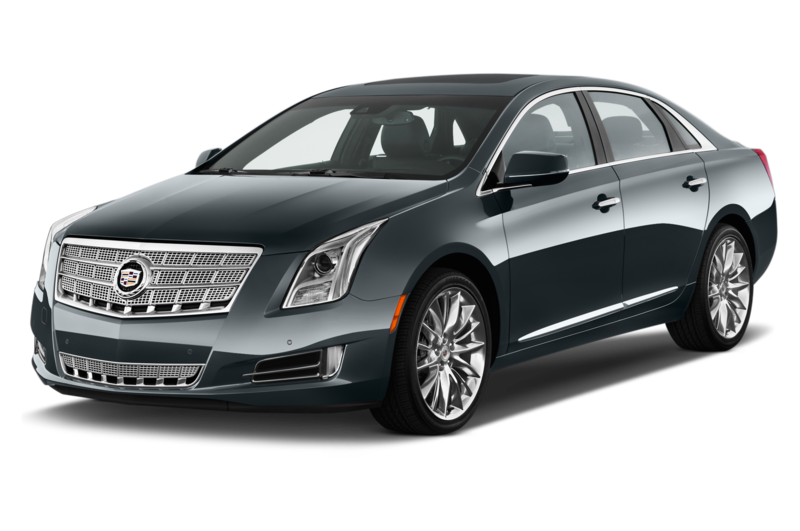 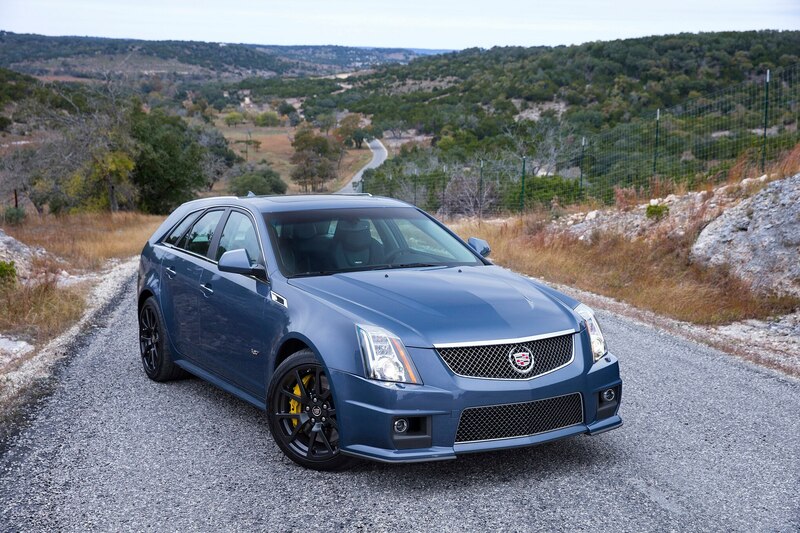 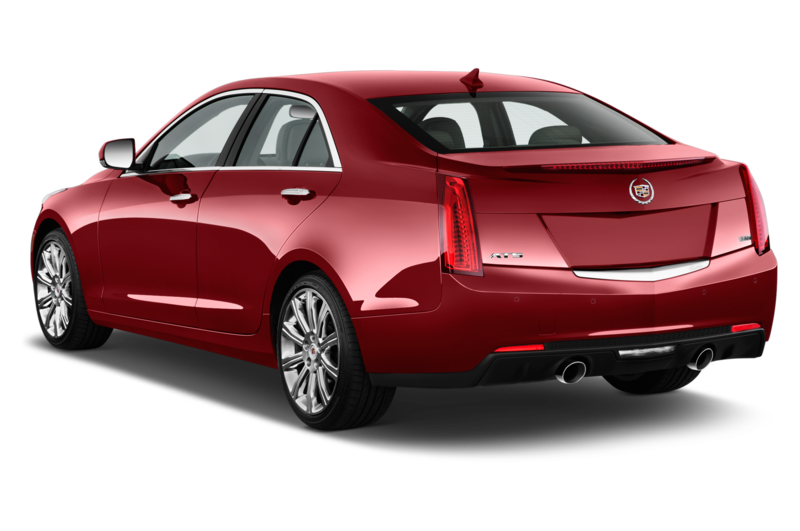 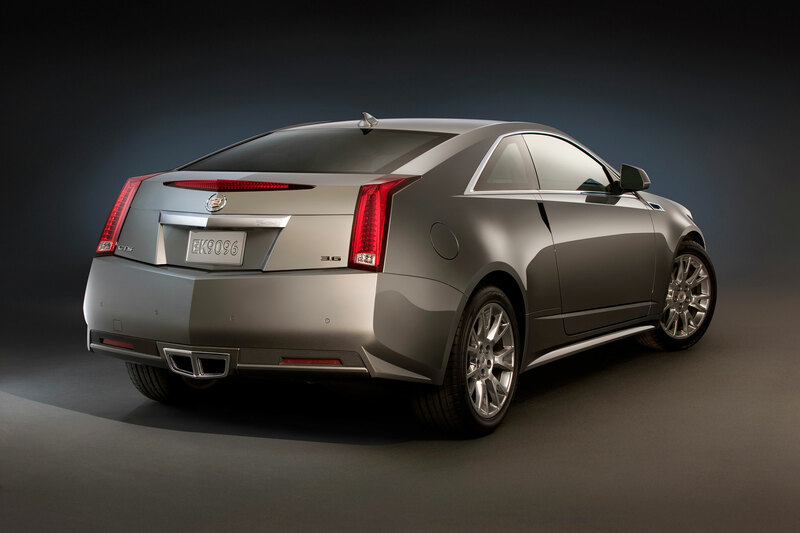 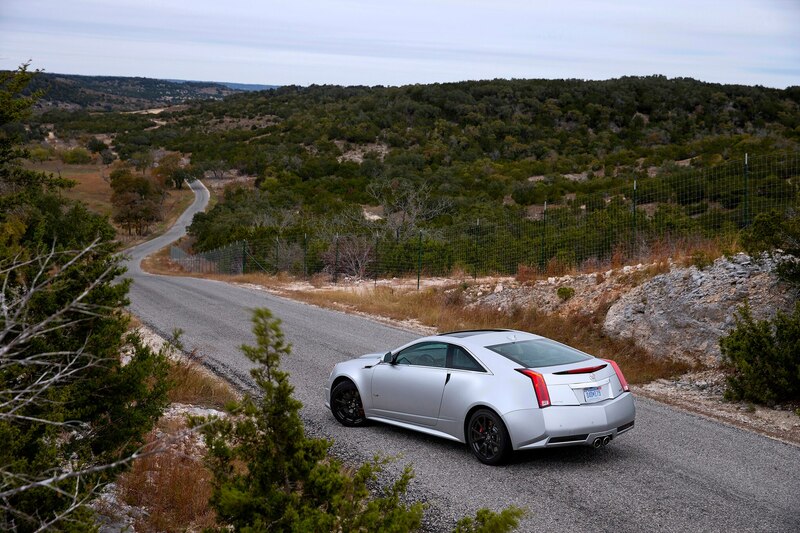 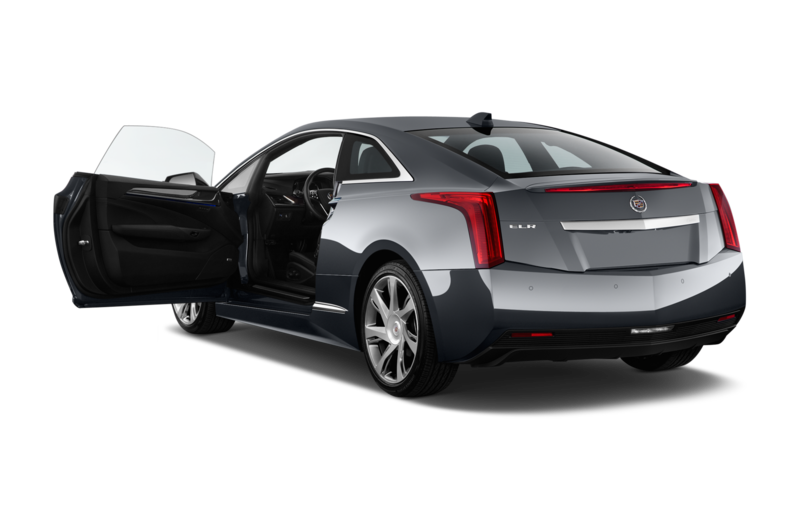 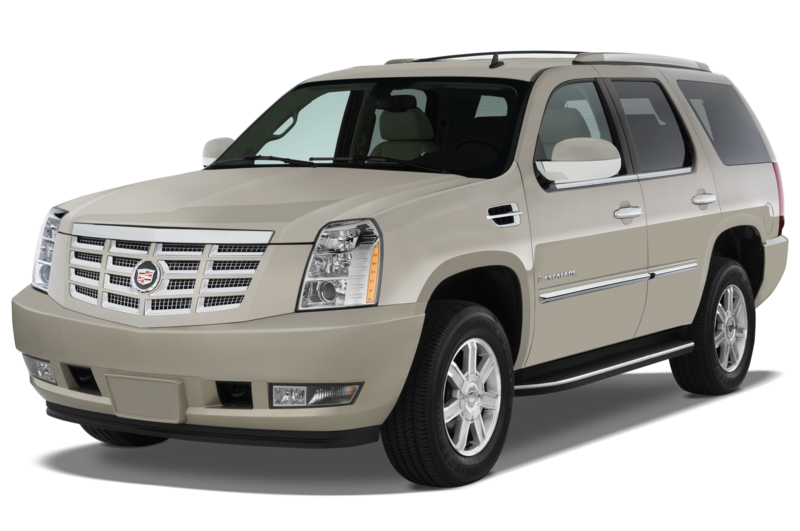 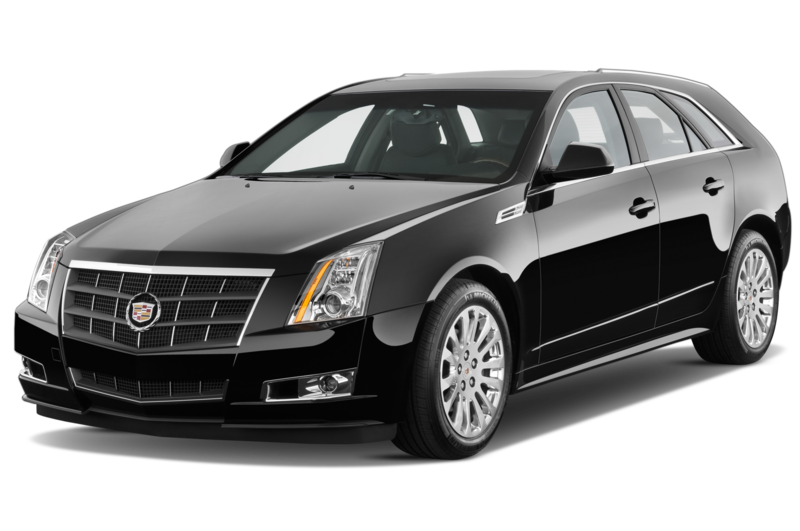 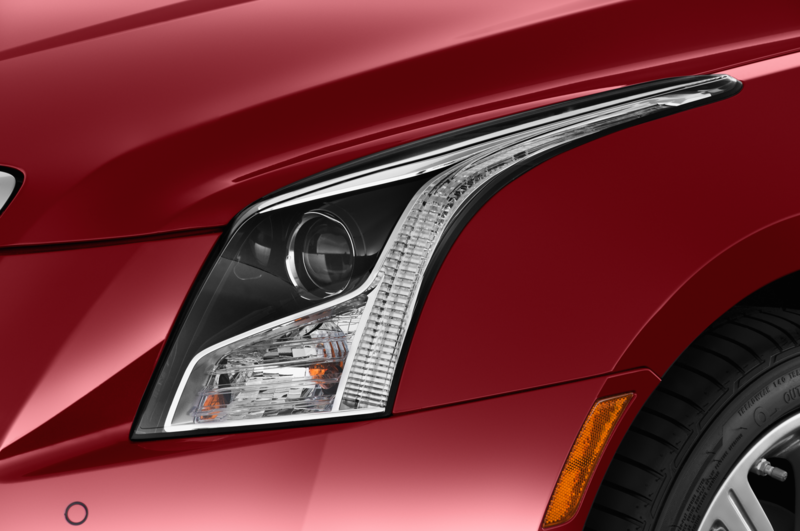 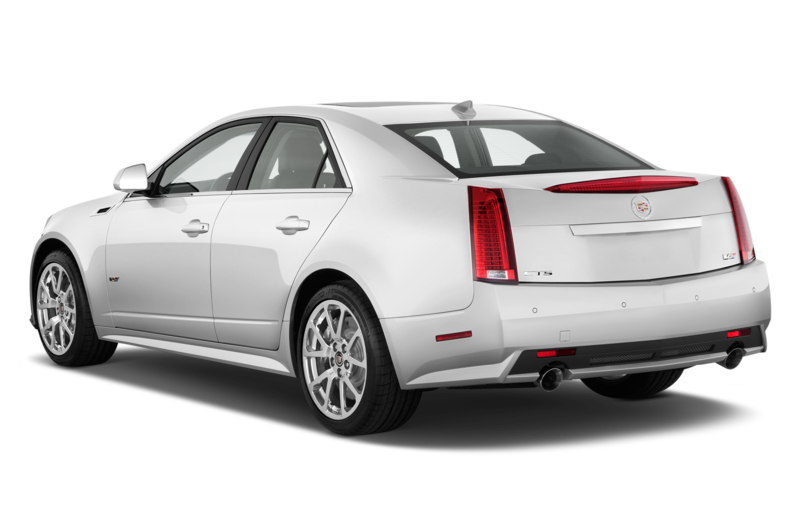 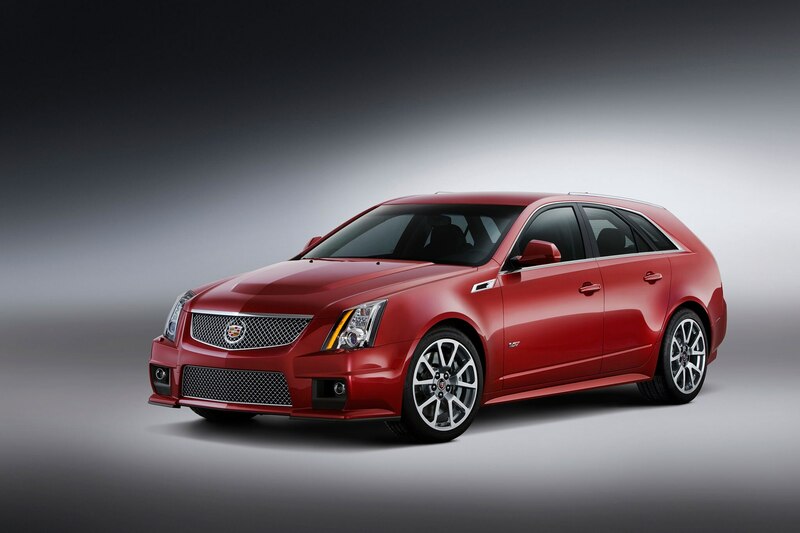 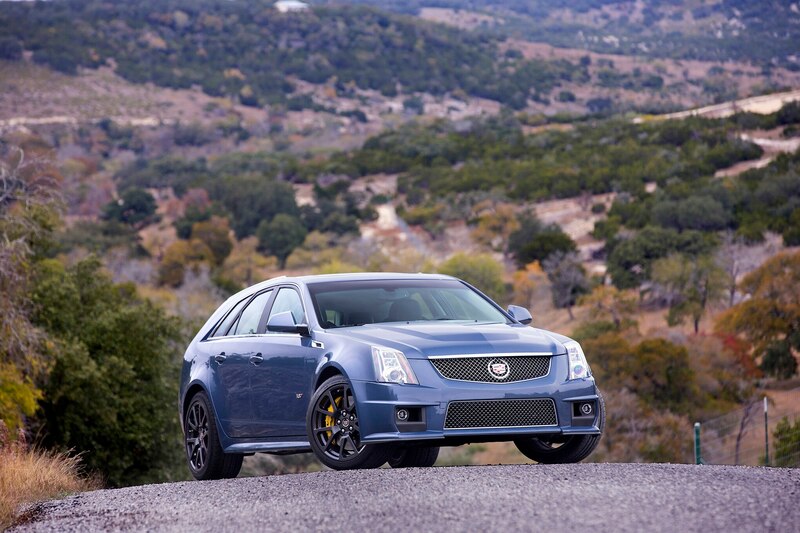 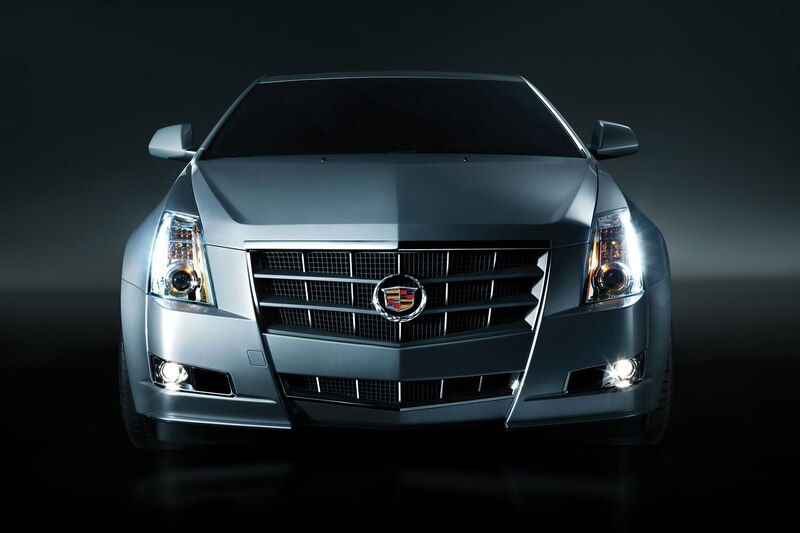 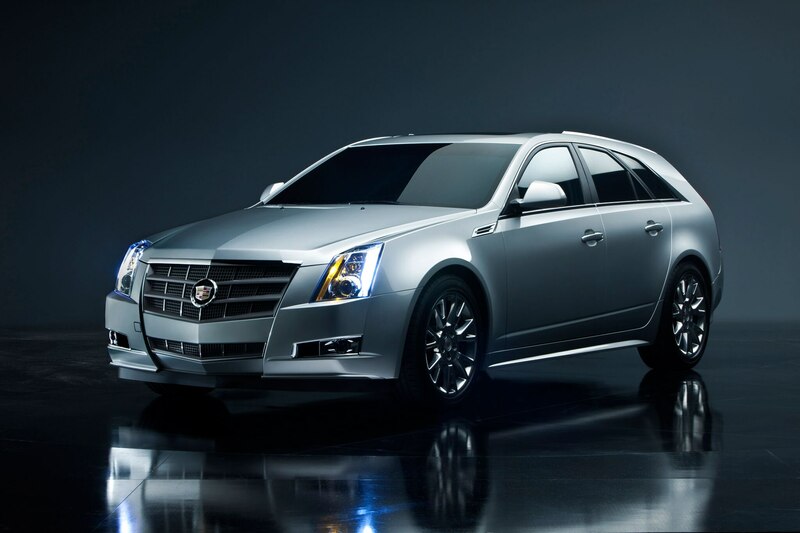 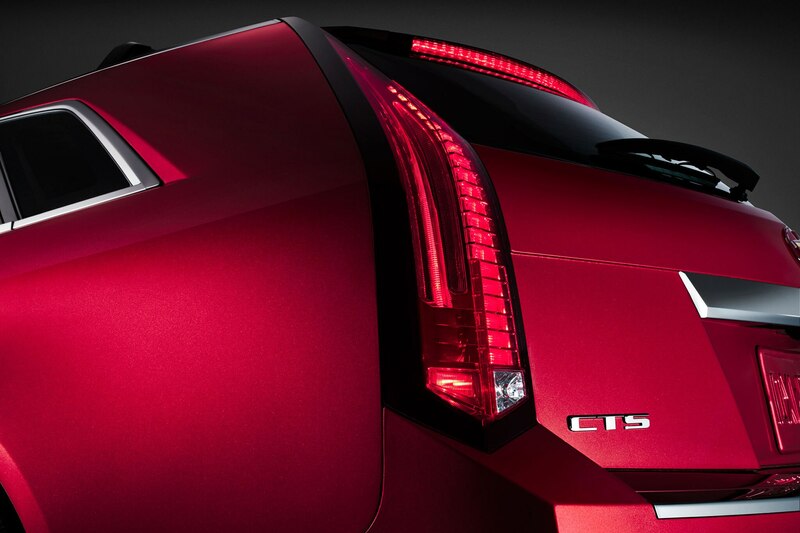 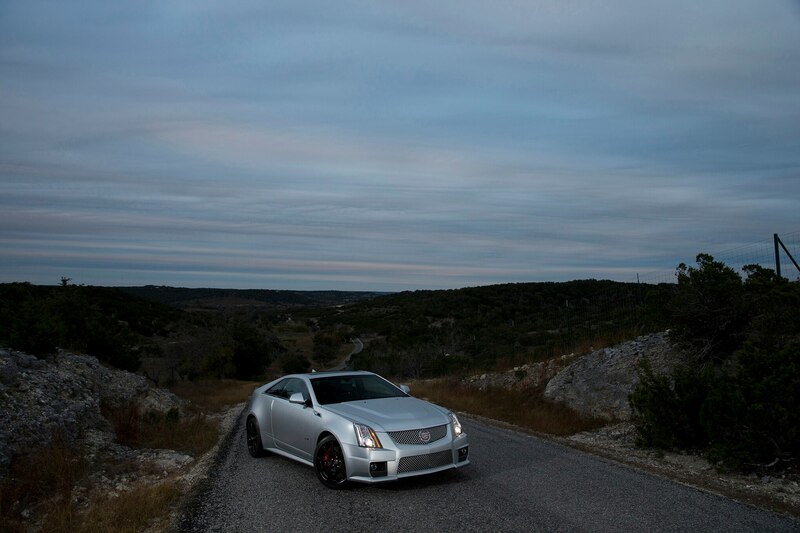 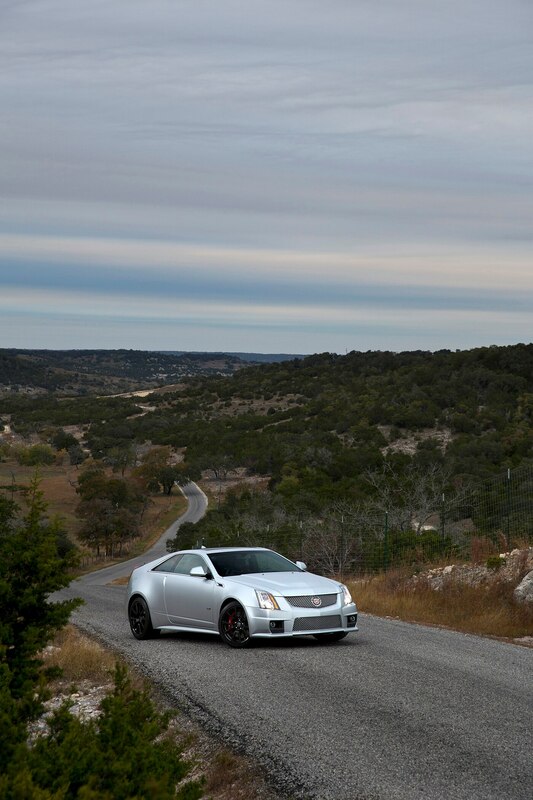 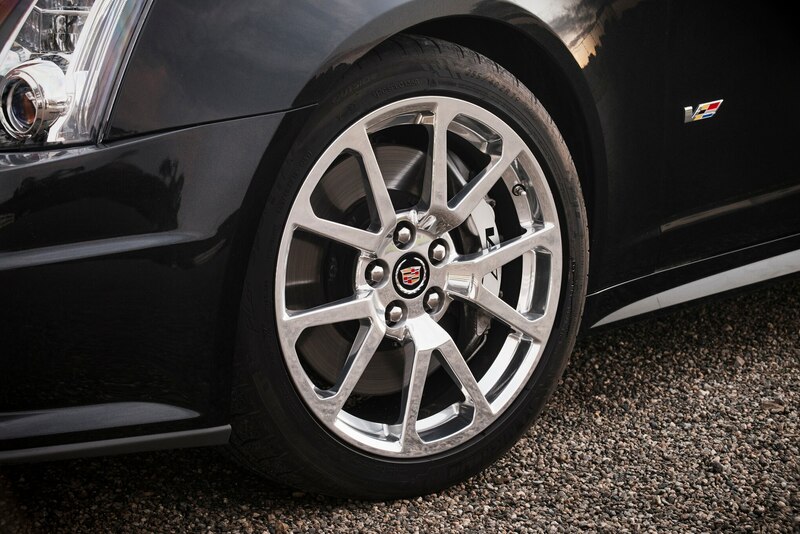 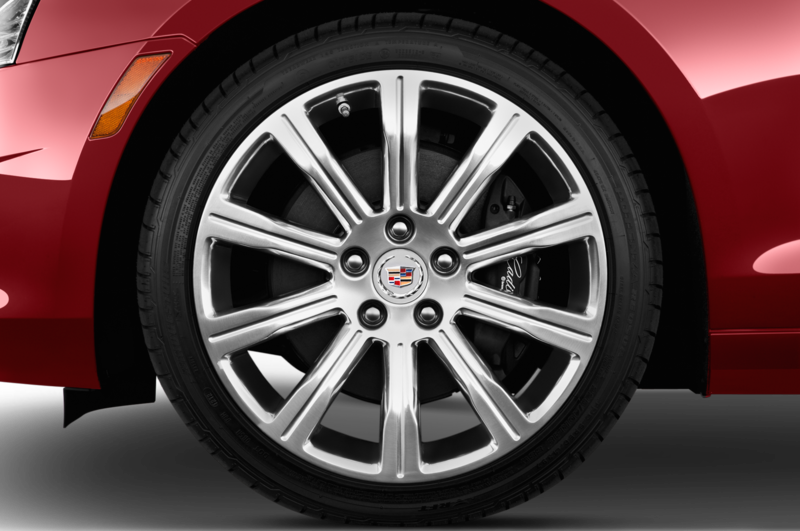 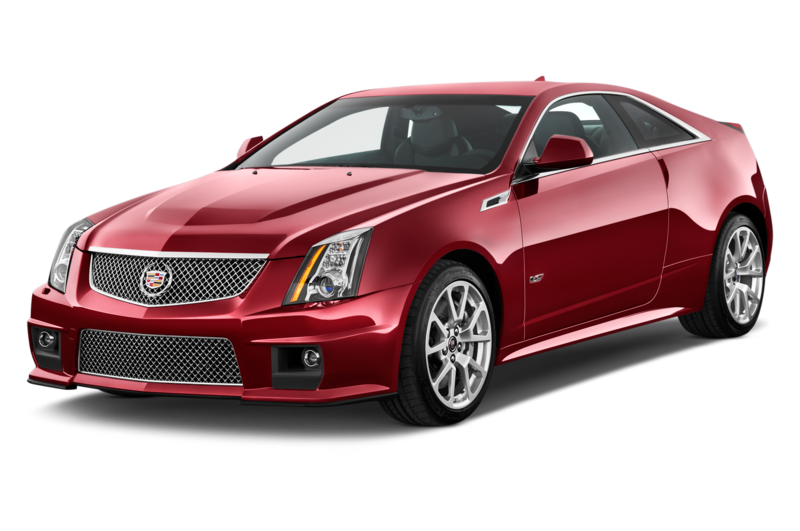 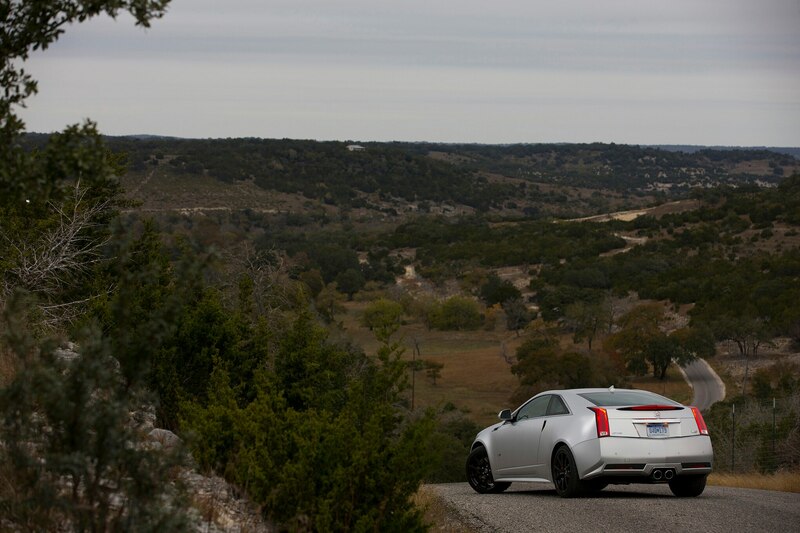 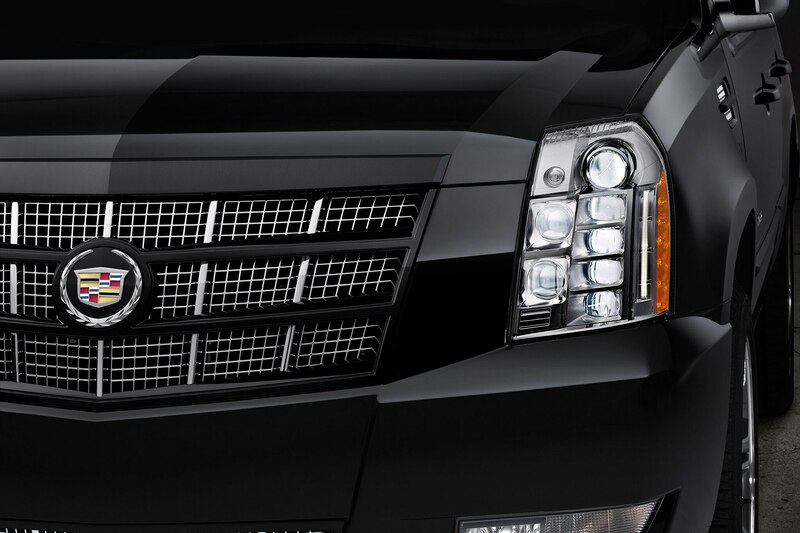 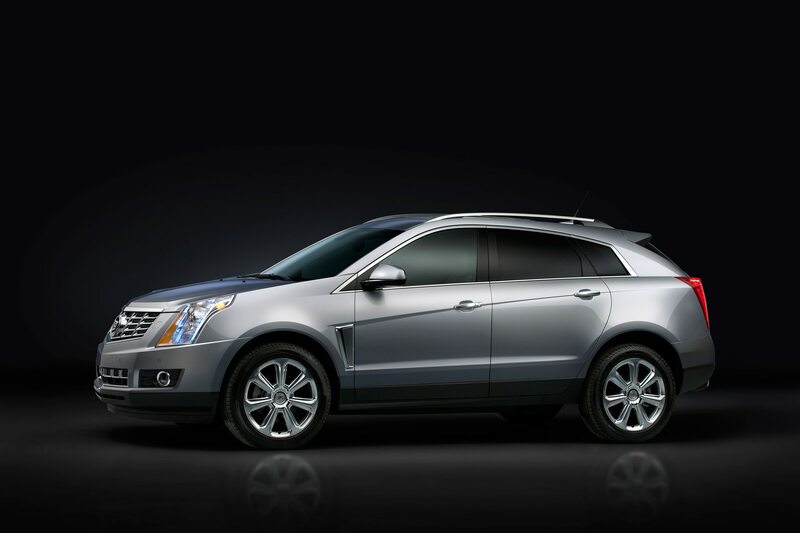 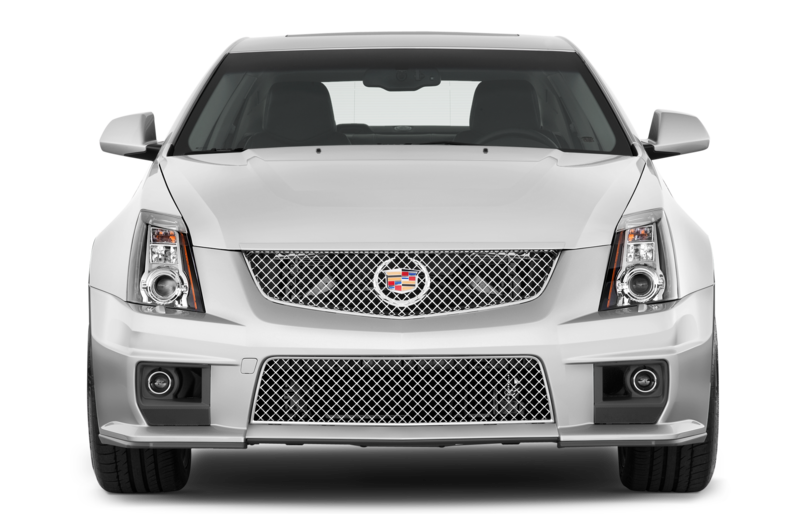 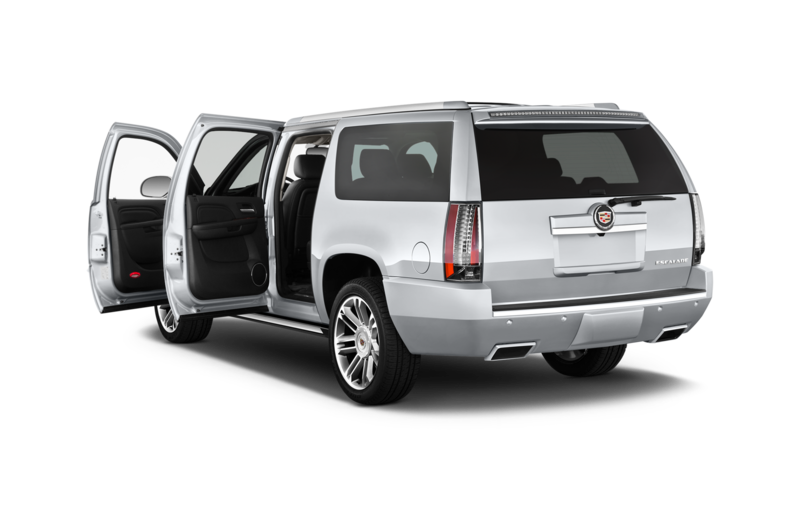 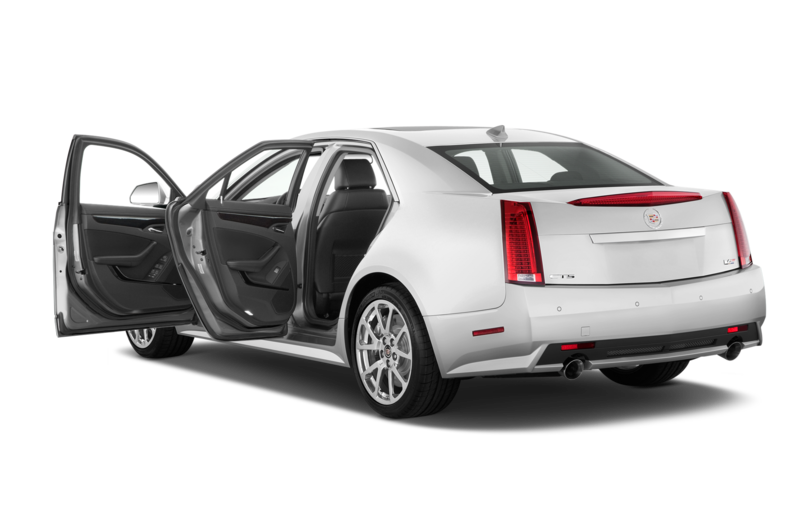 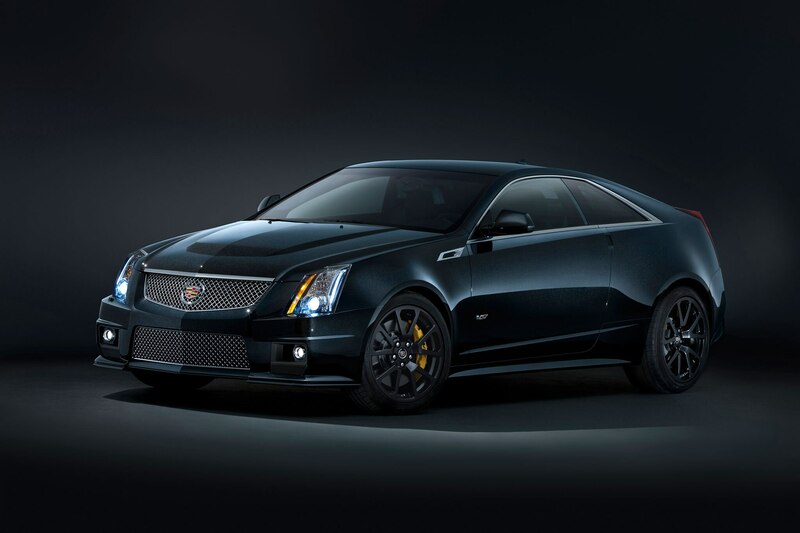 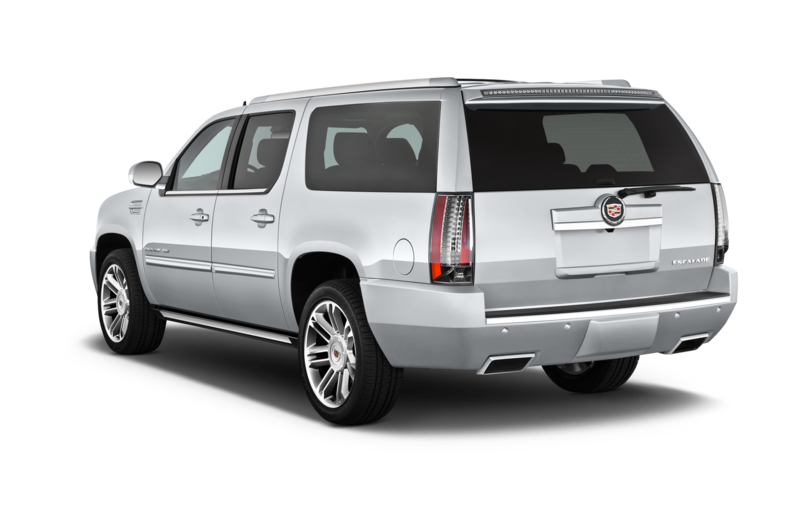 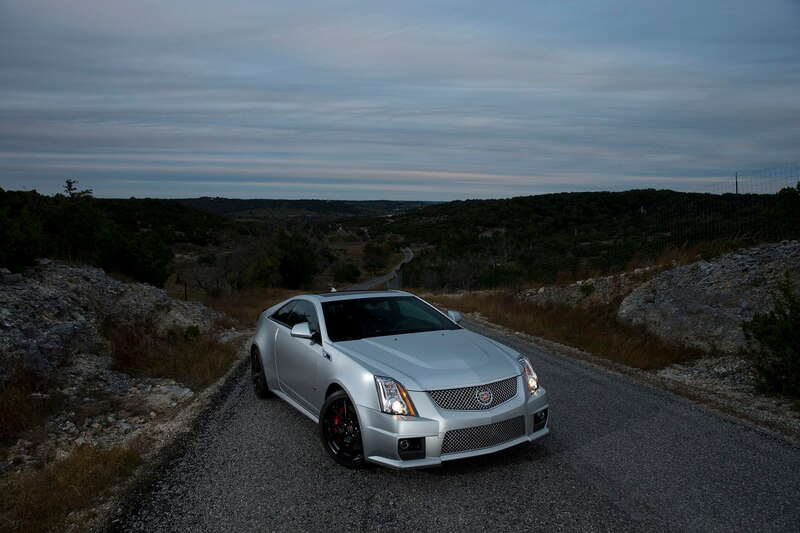 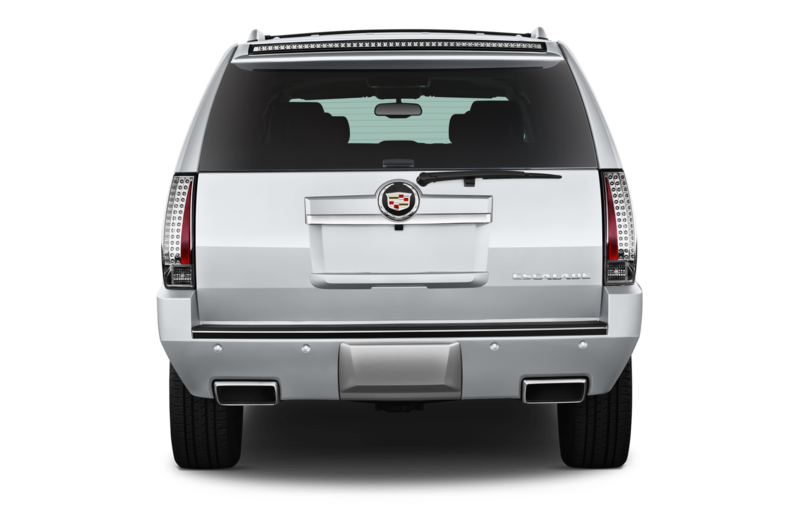 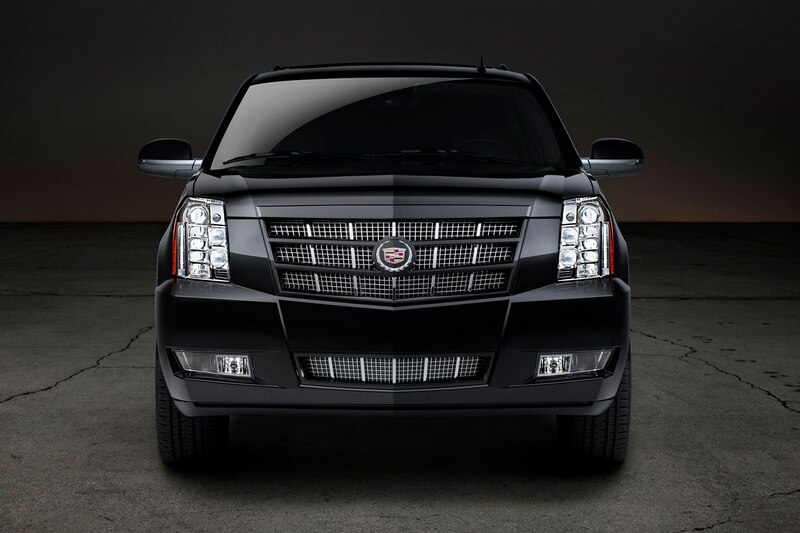 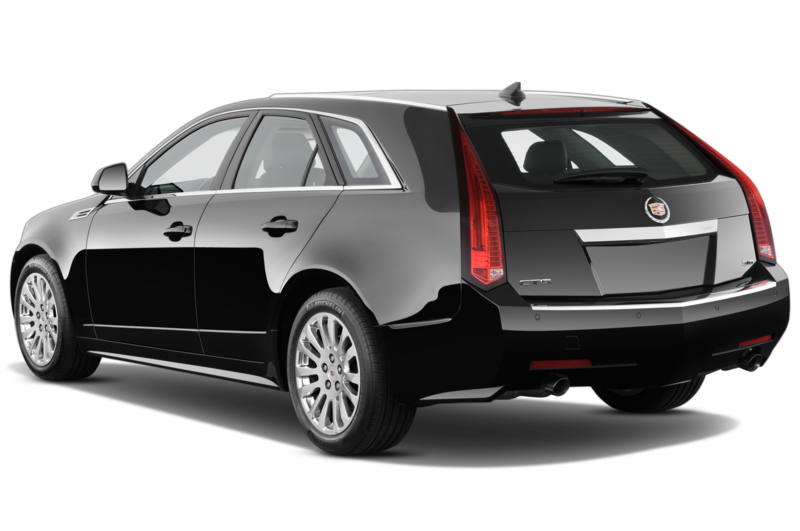 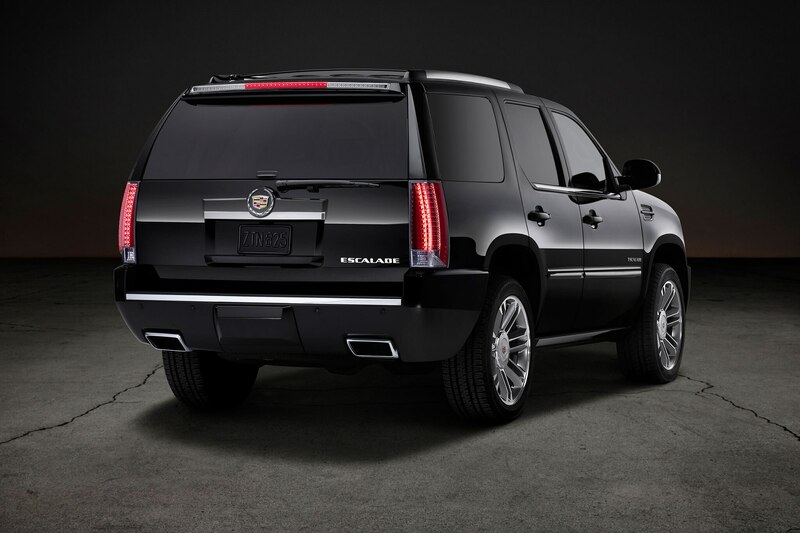 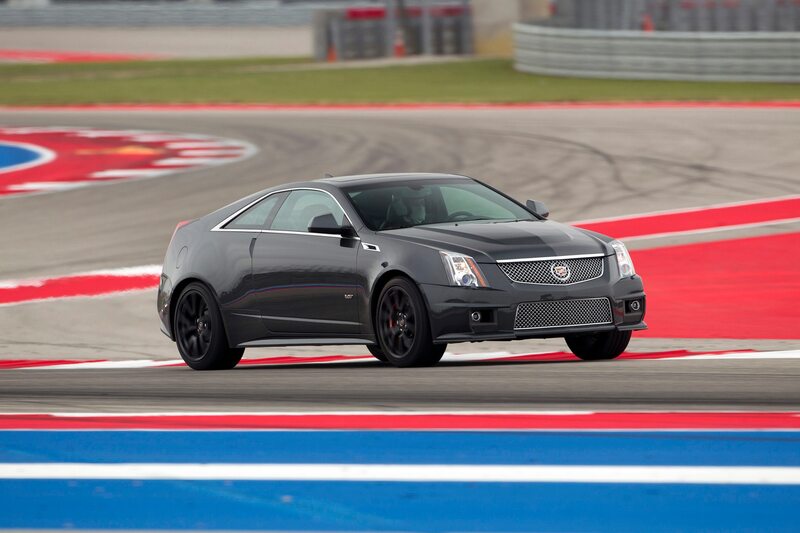 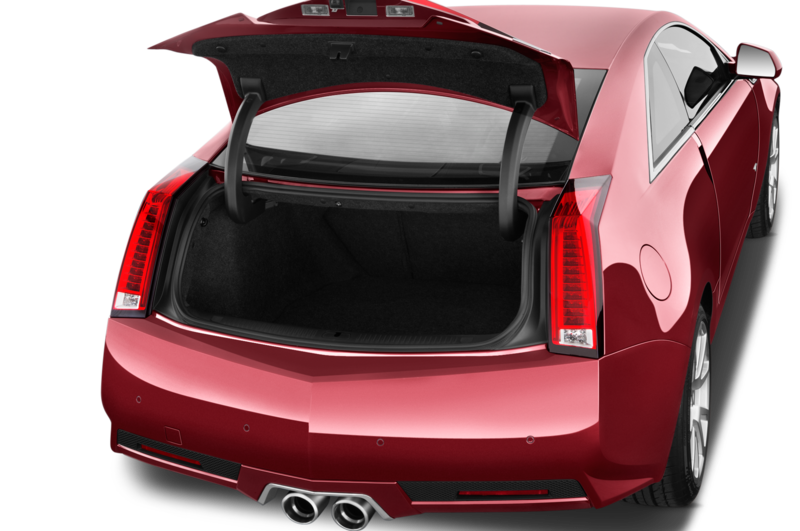 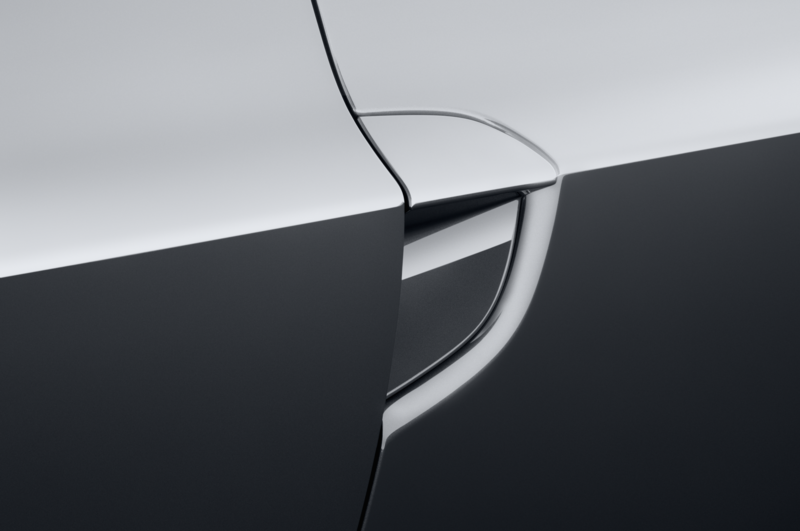 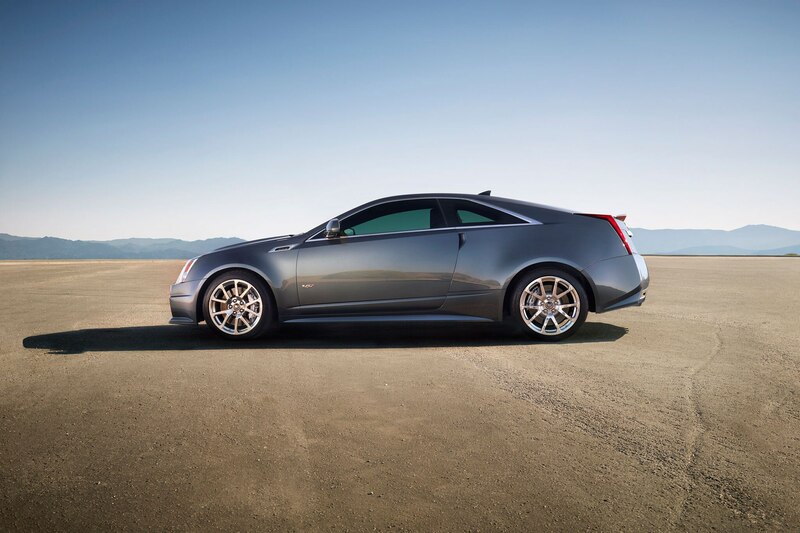 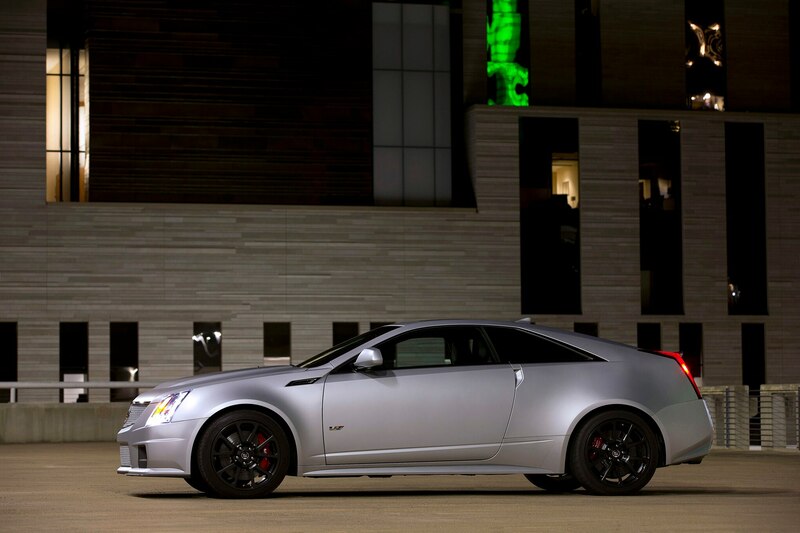 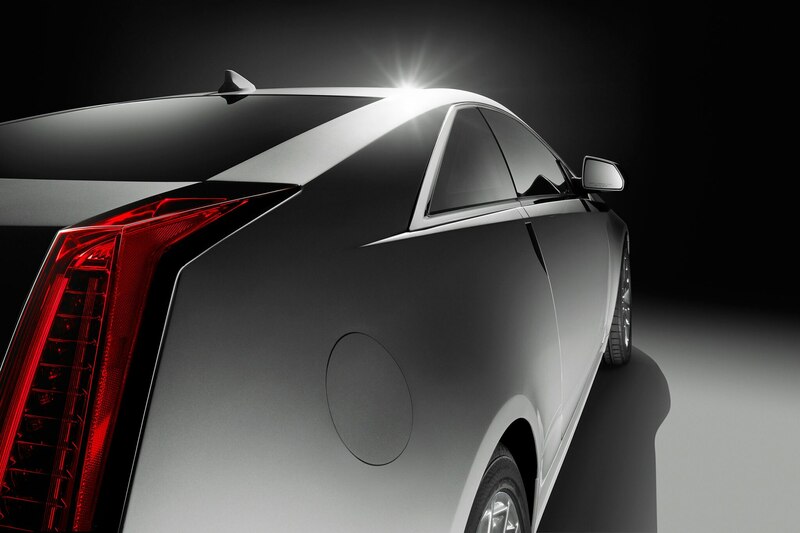 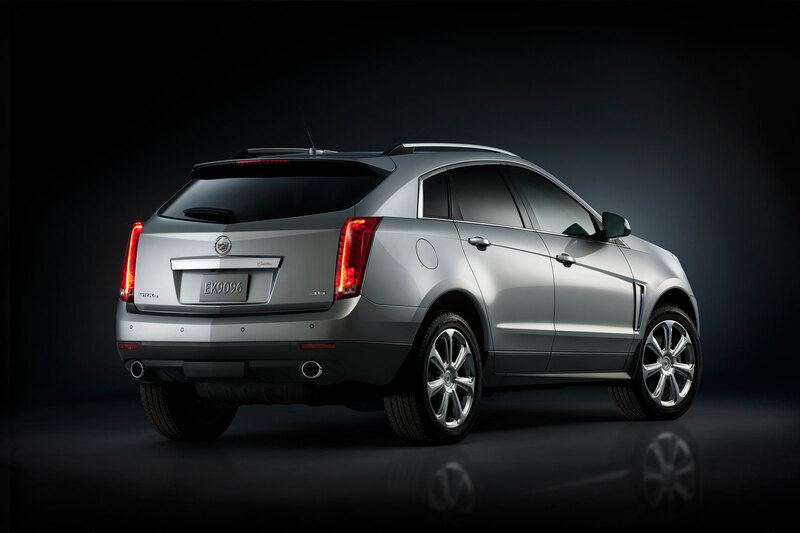 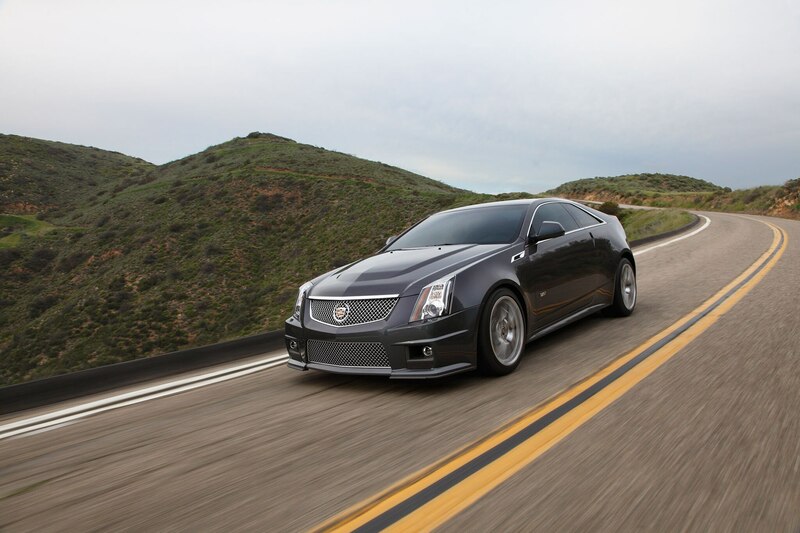 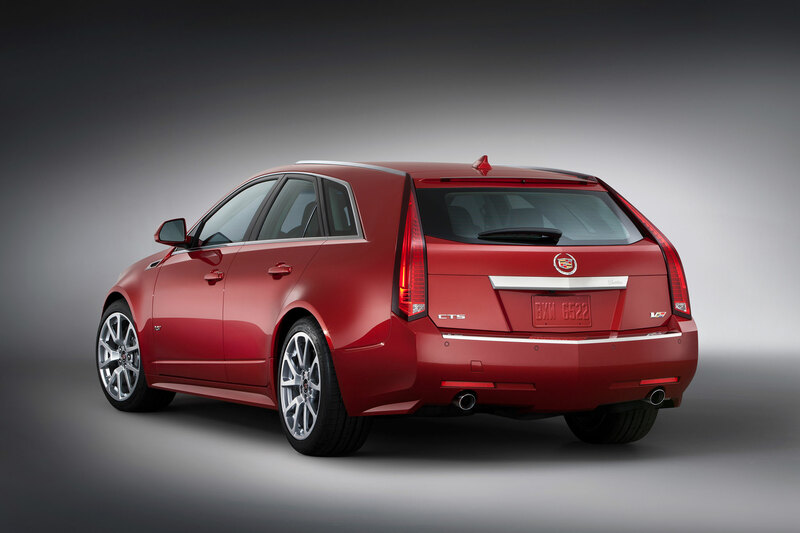 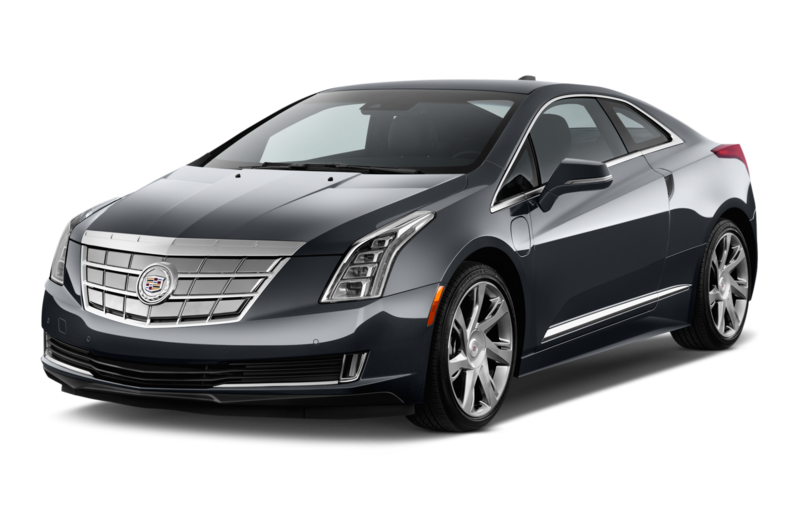 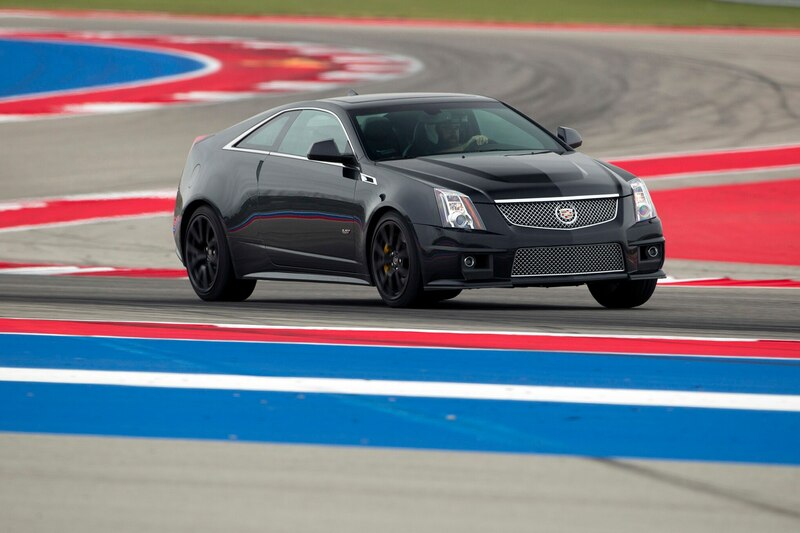 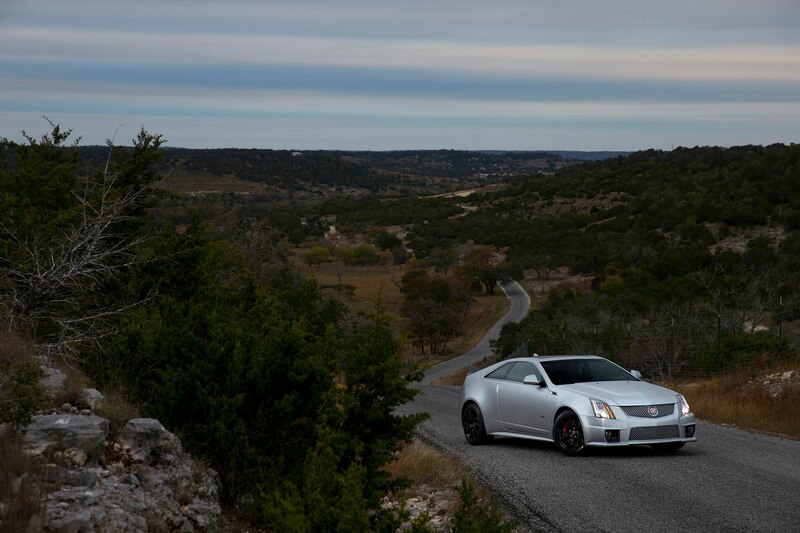 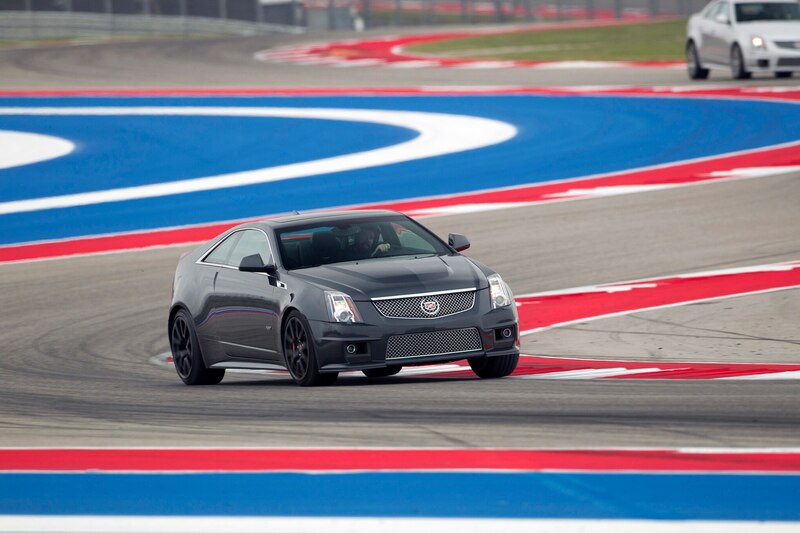 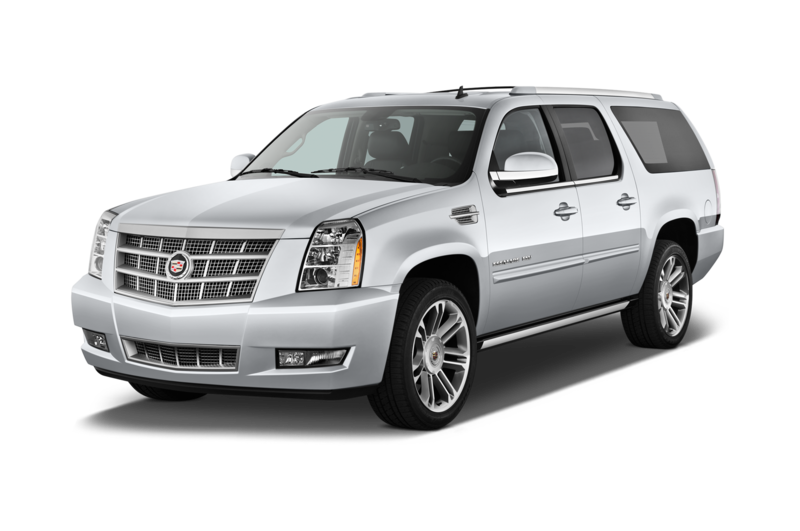 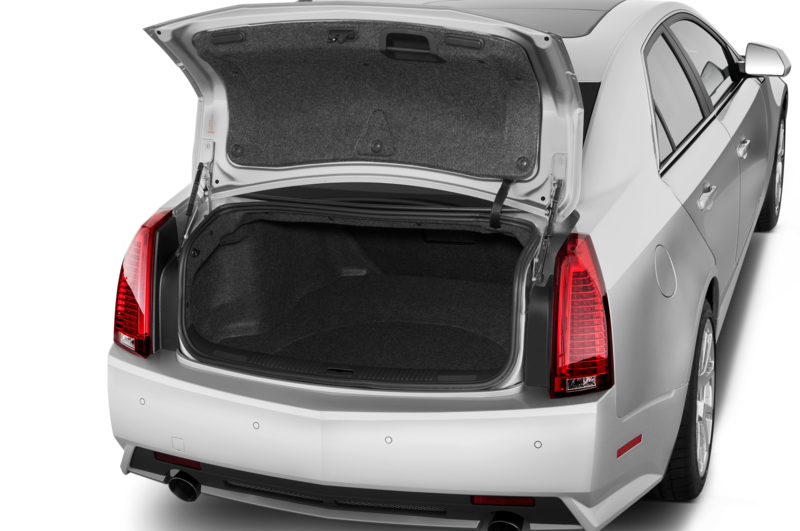 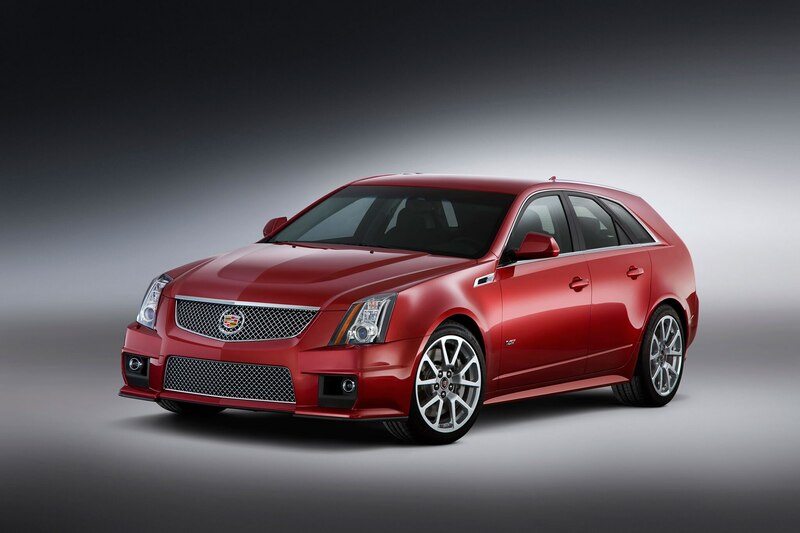 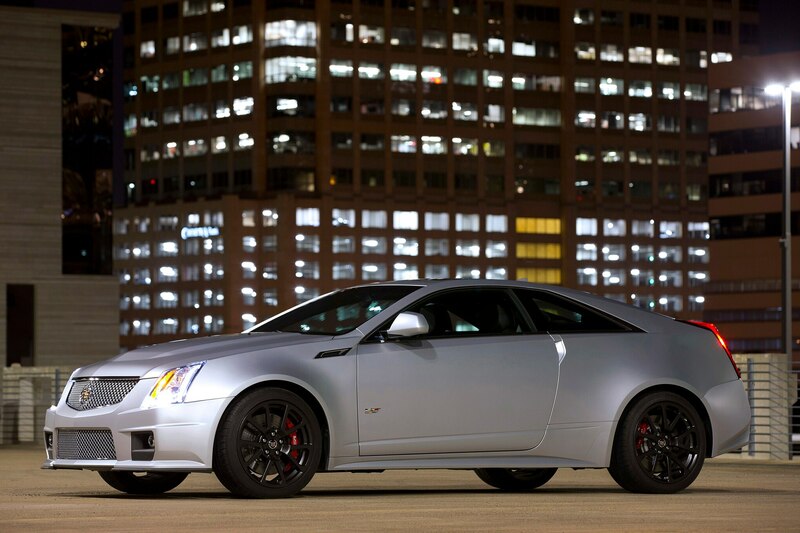 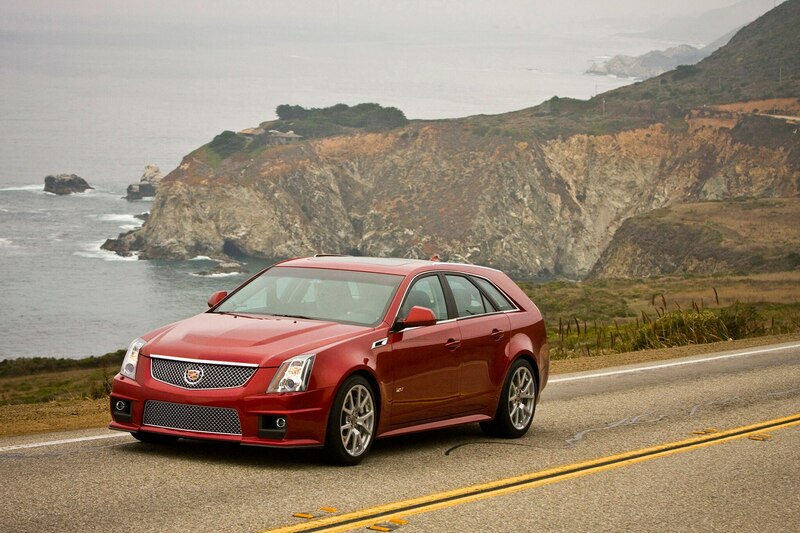 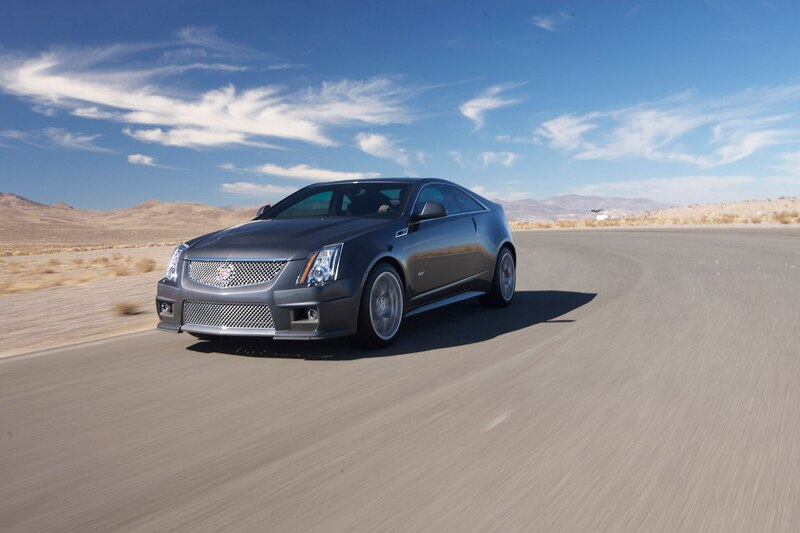 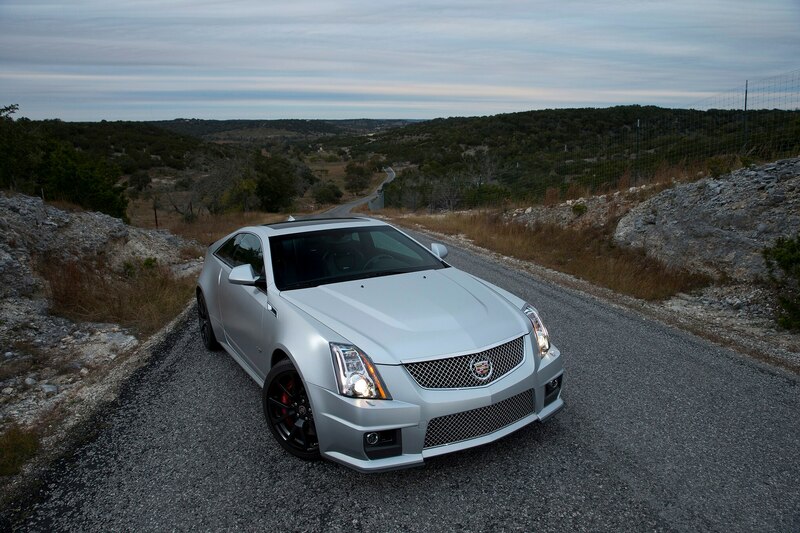 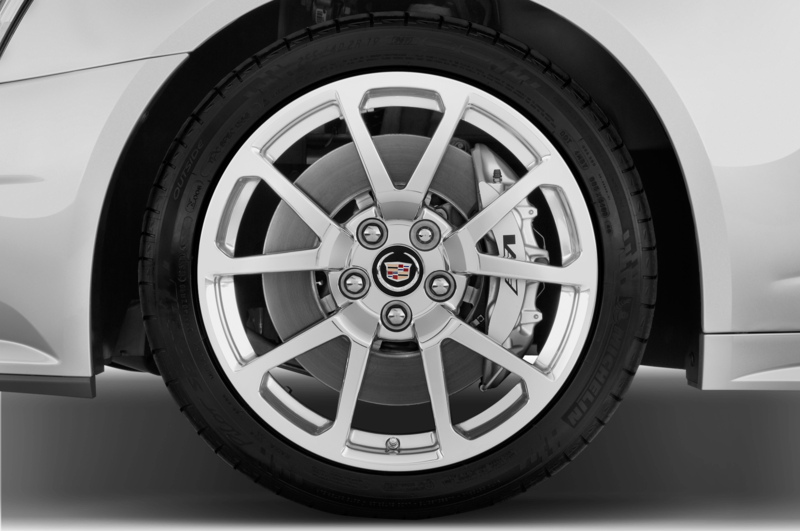 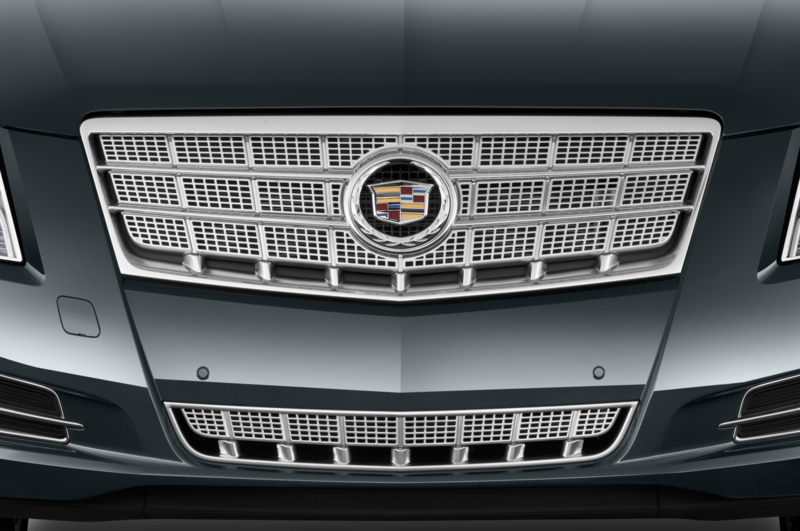 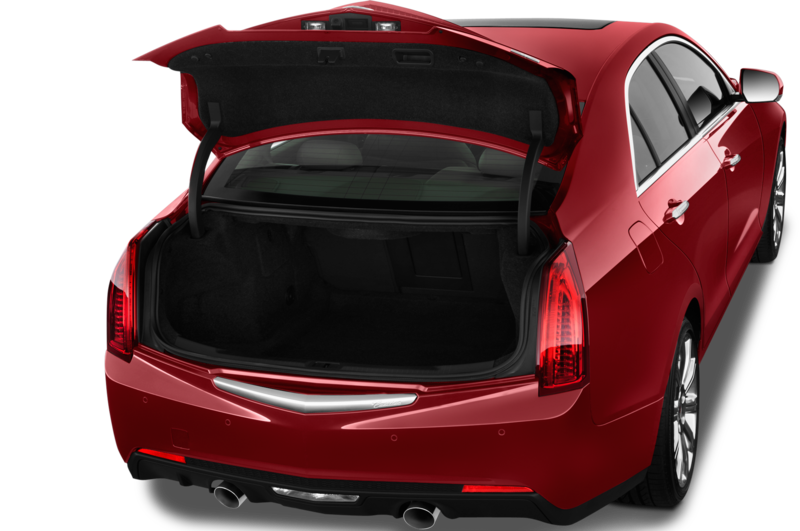 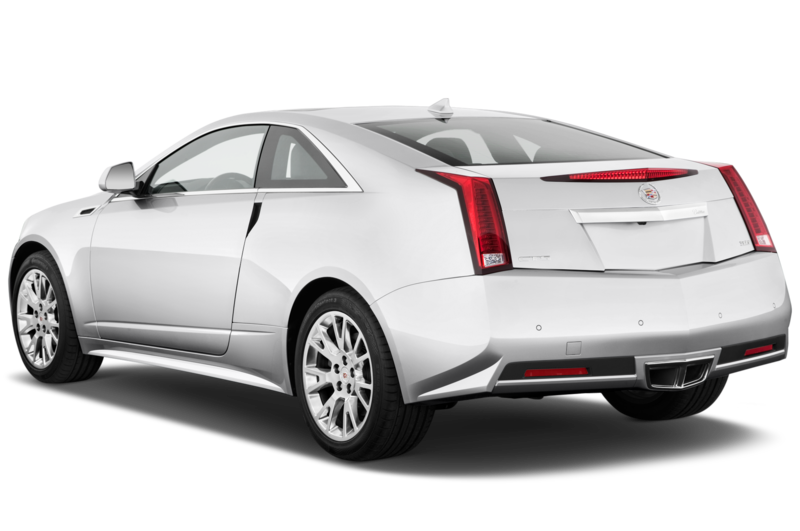 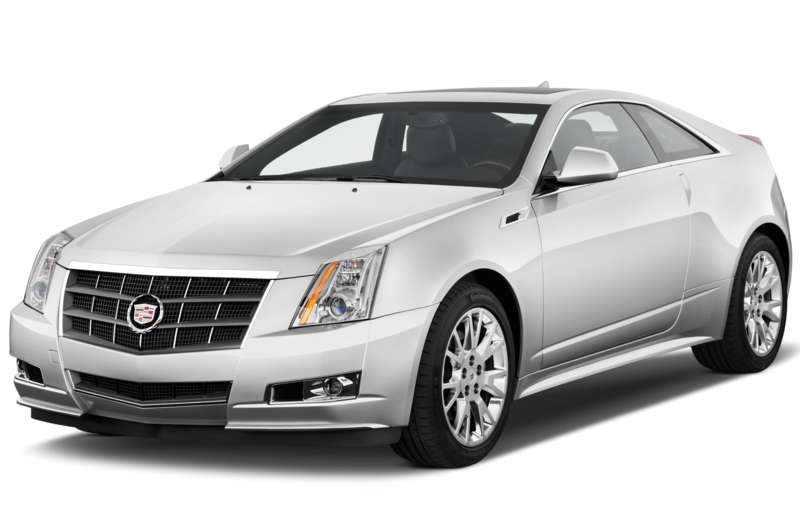 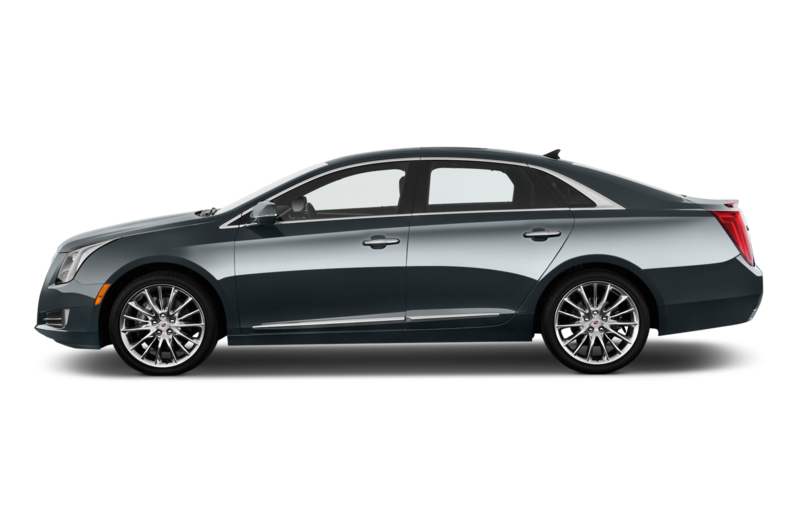 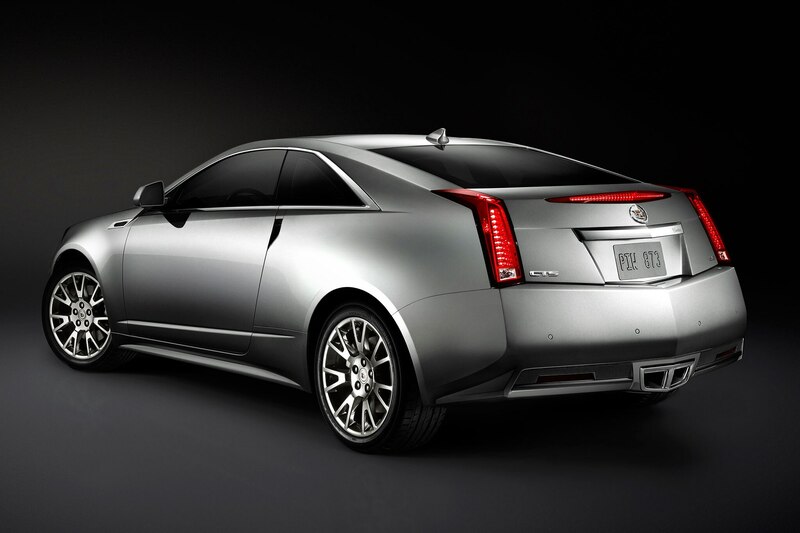 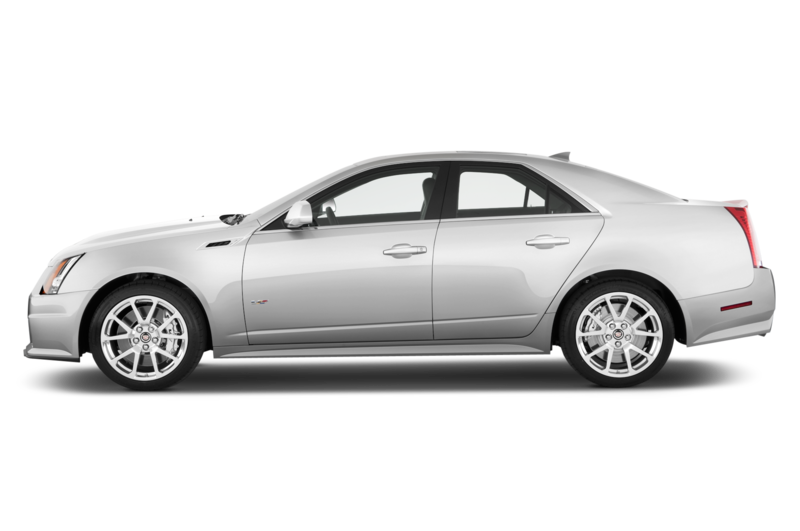 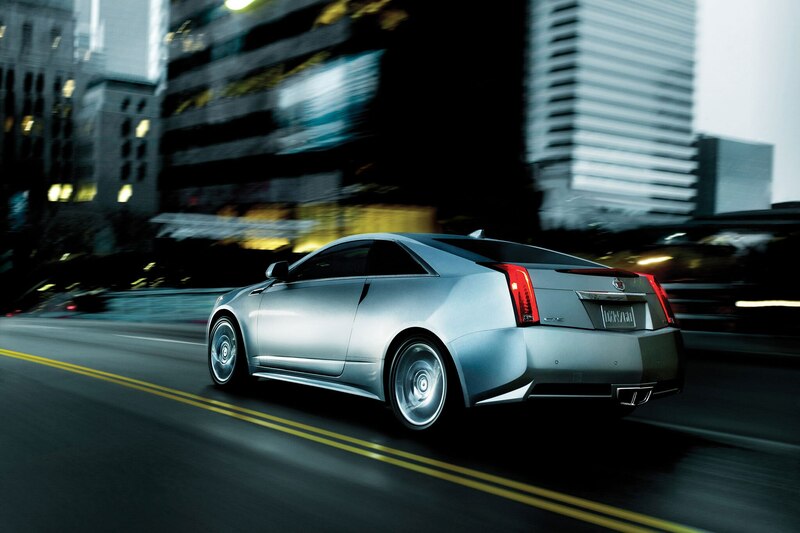 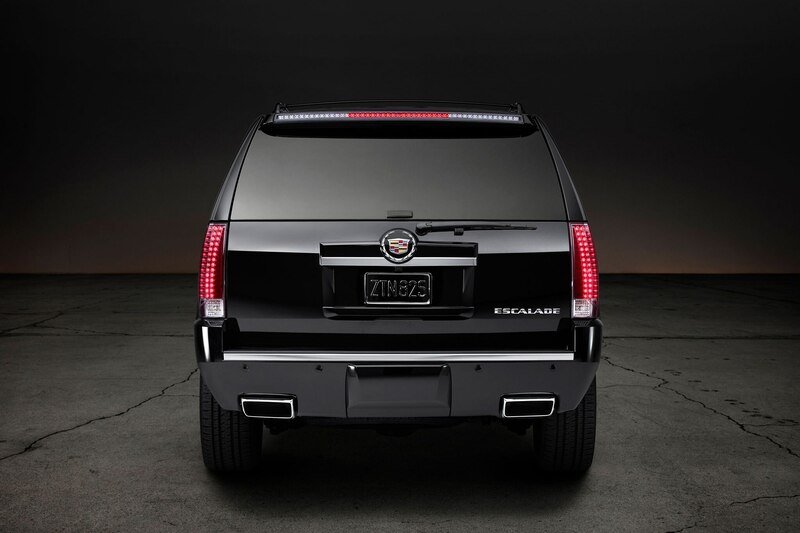 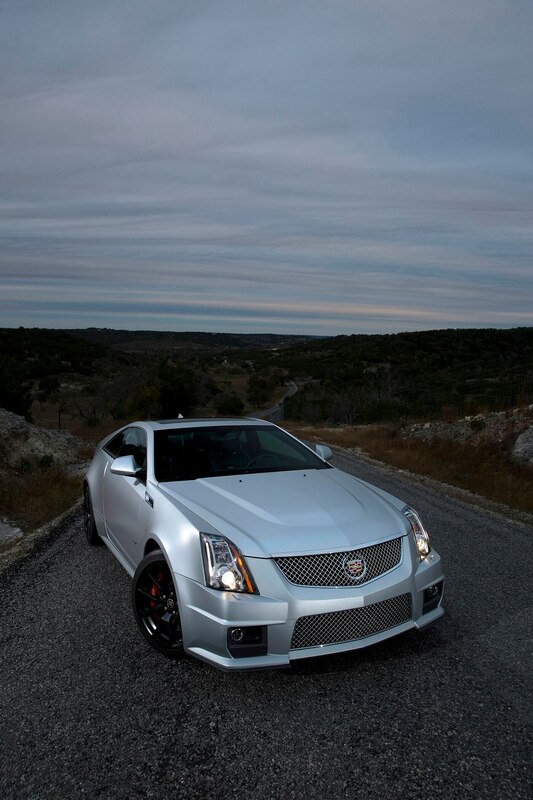 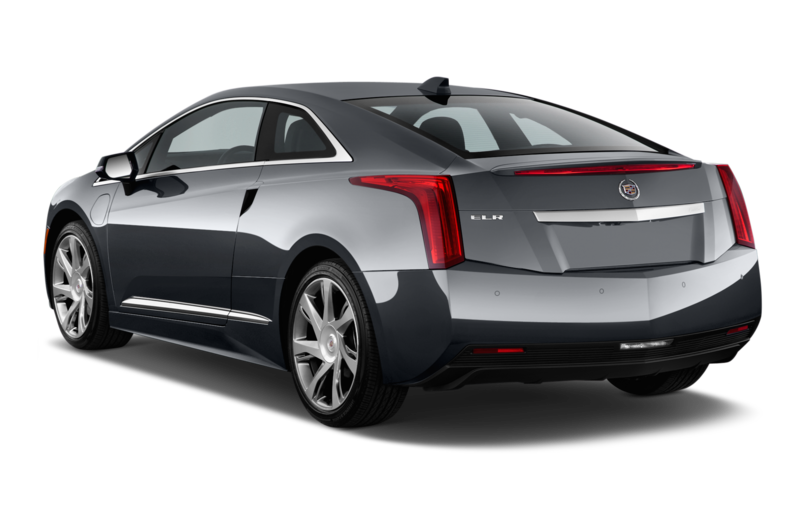 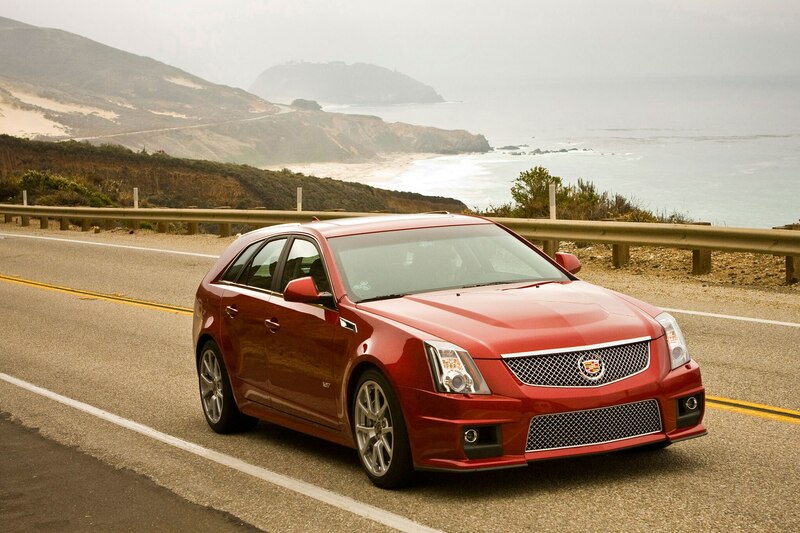 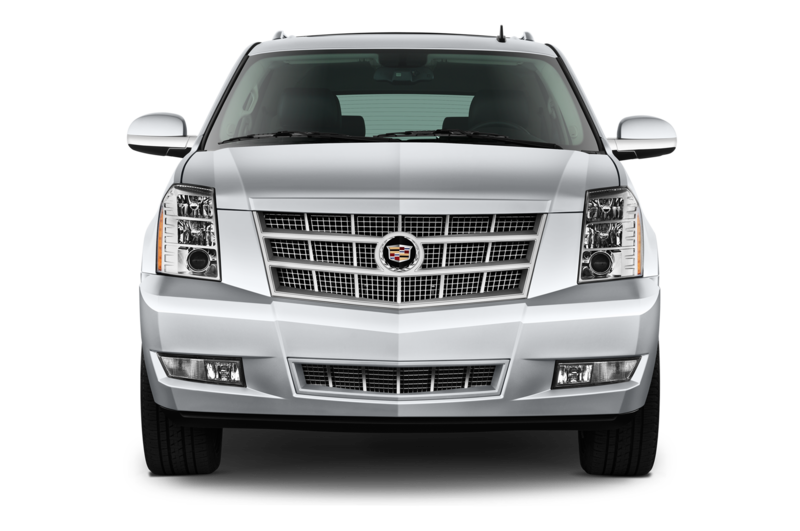 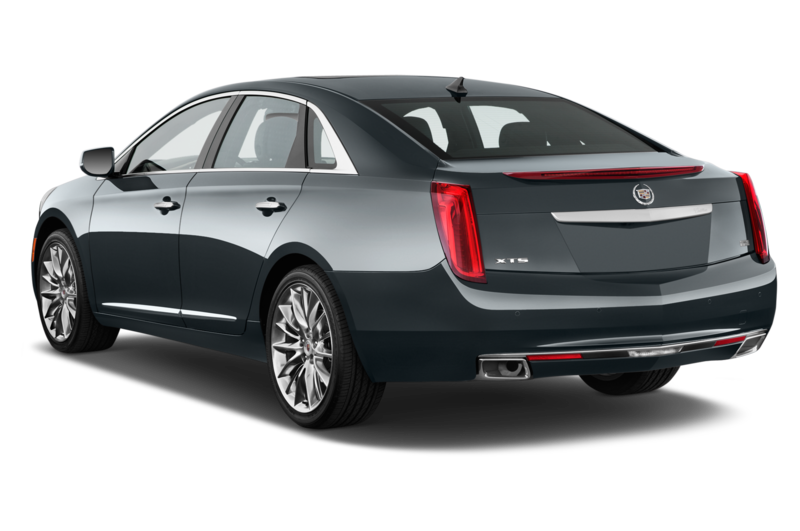 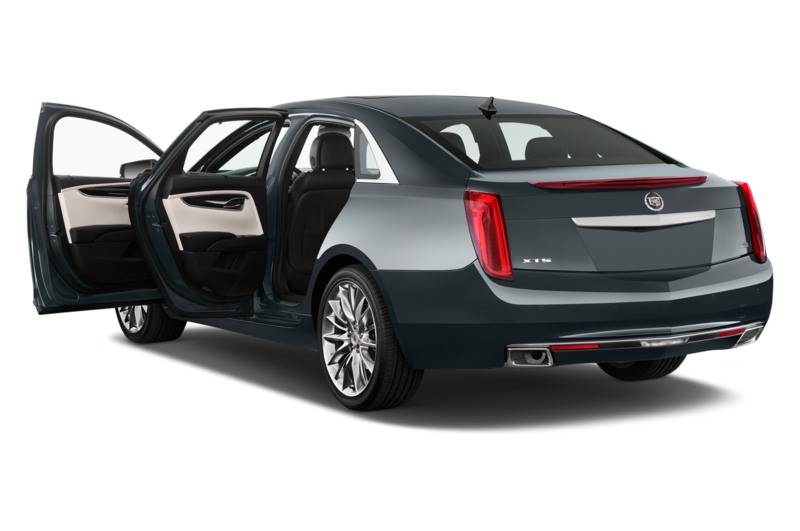 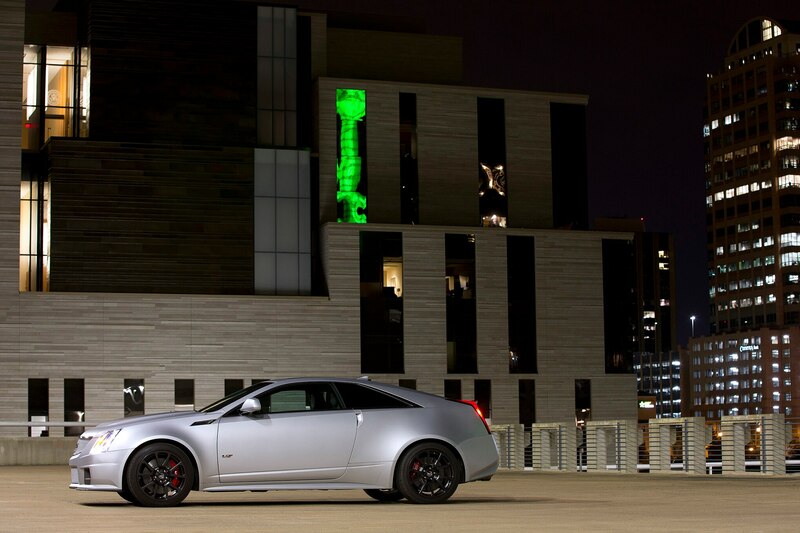 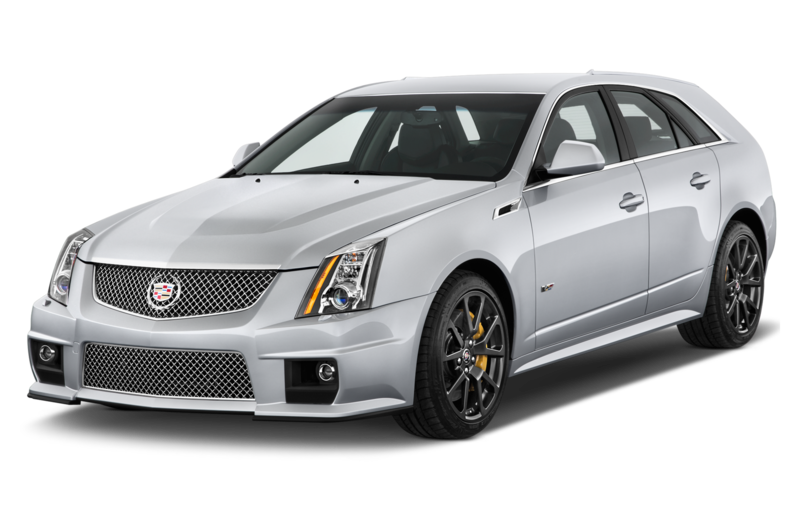 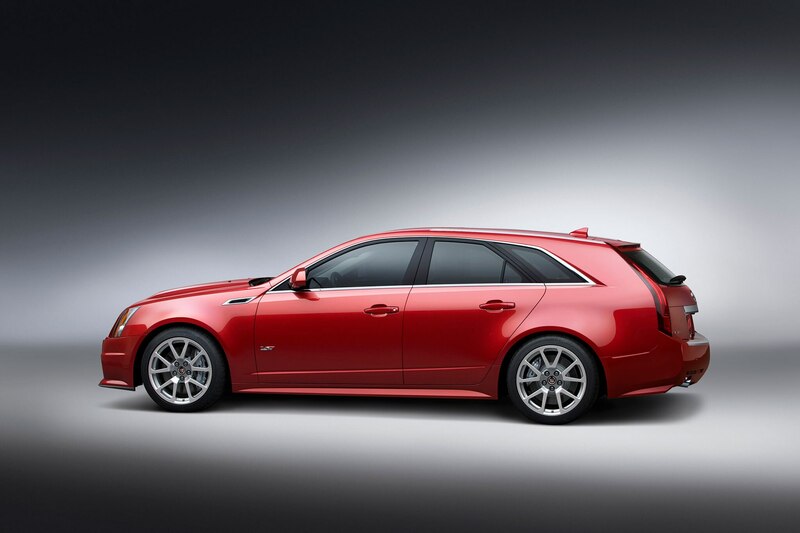 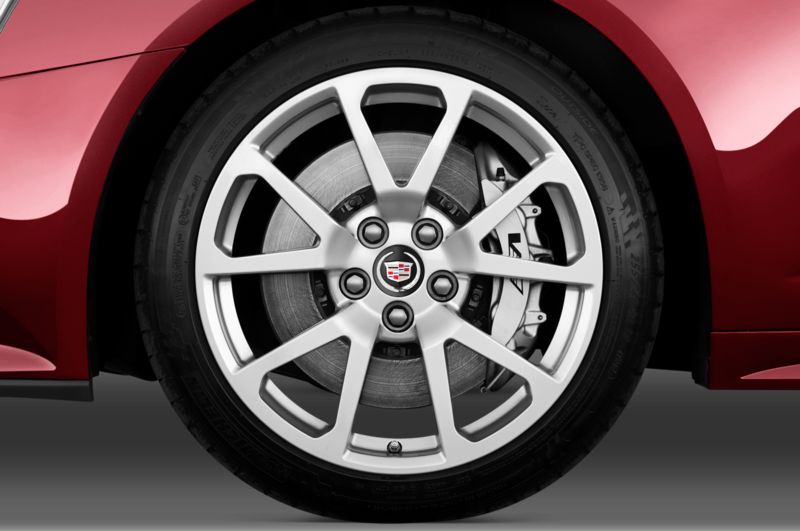 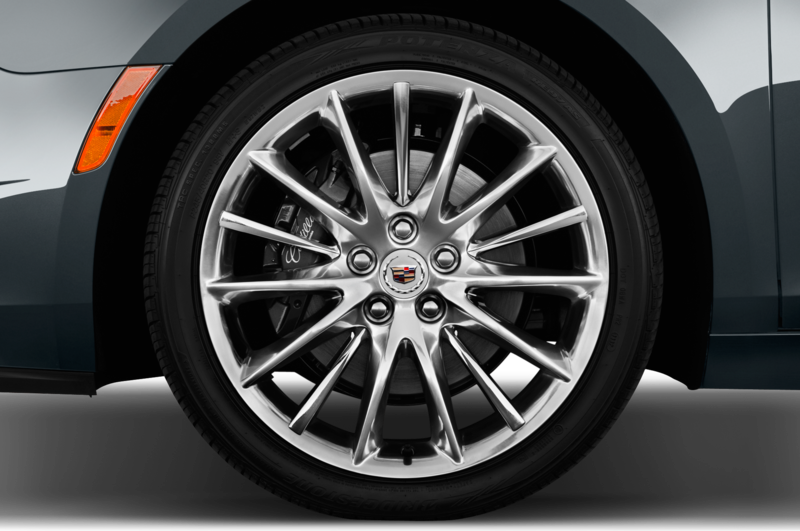 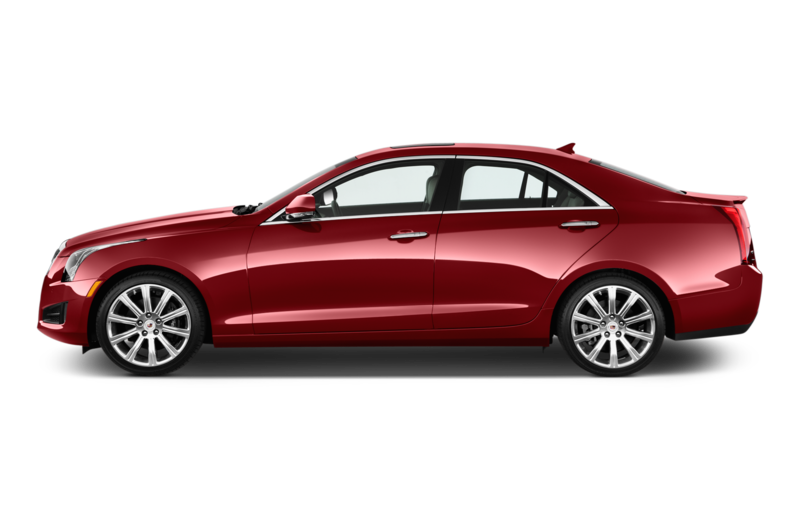 Like the Cadillac Elmiraj concept, the LTS will wear lots of aluminum and some carbon fiber, likely including the hood. 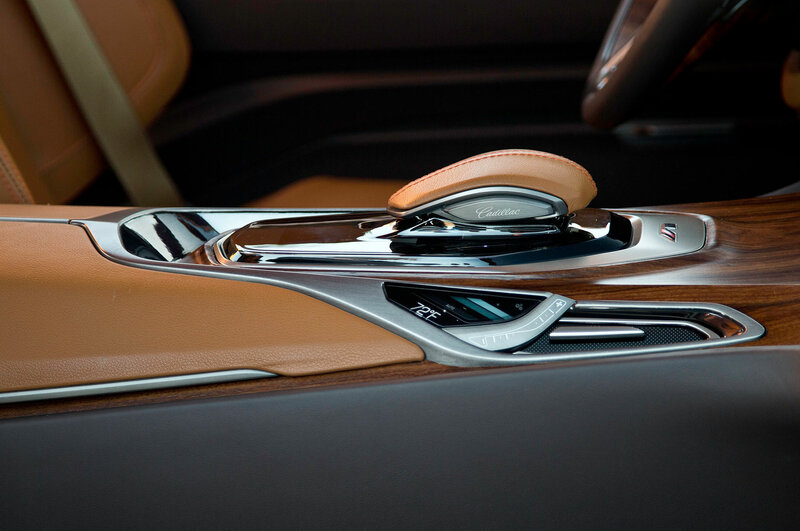 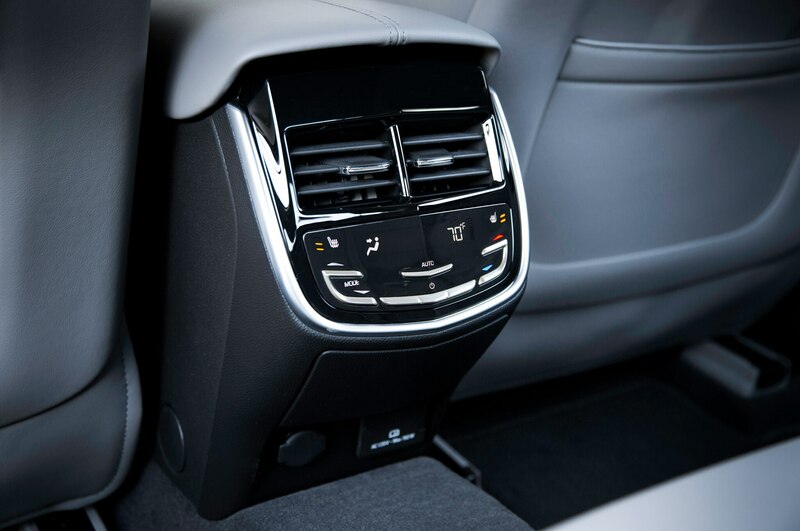 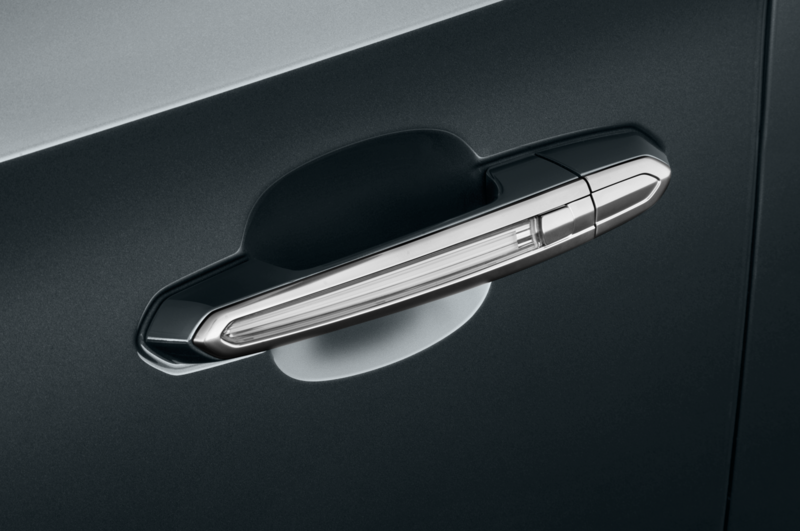 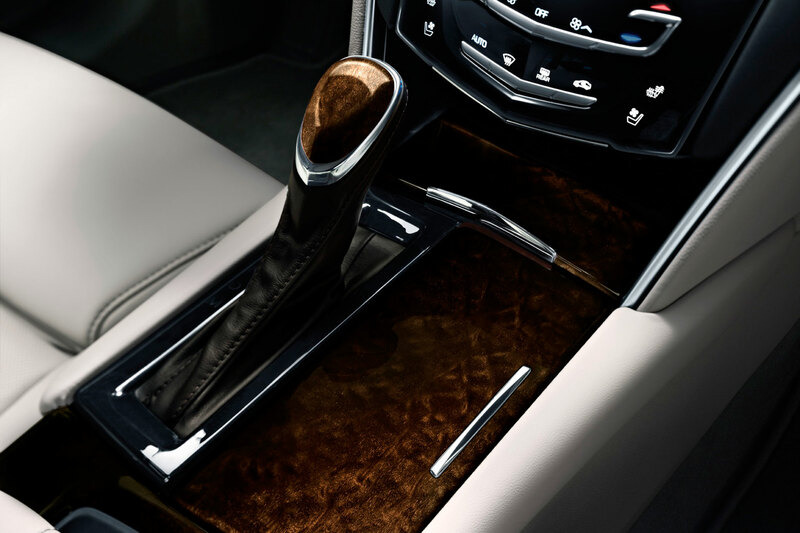 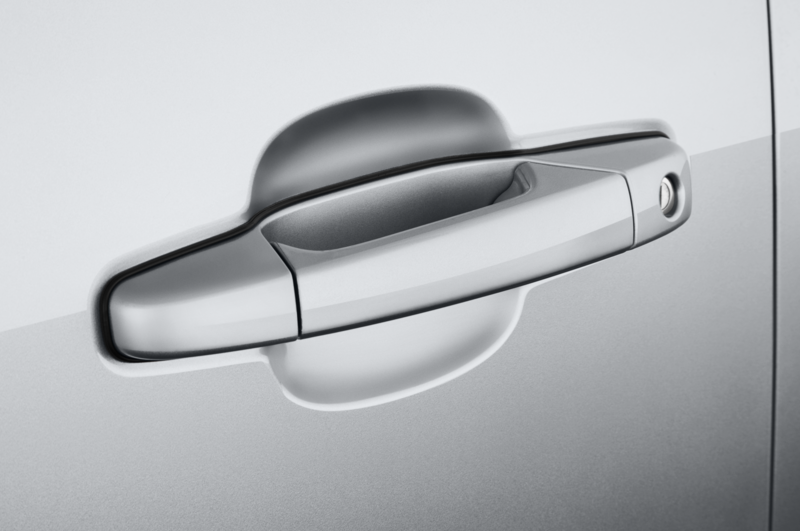 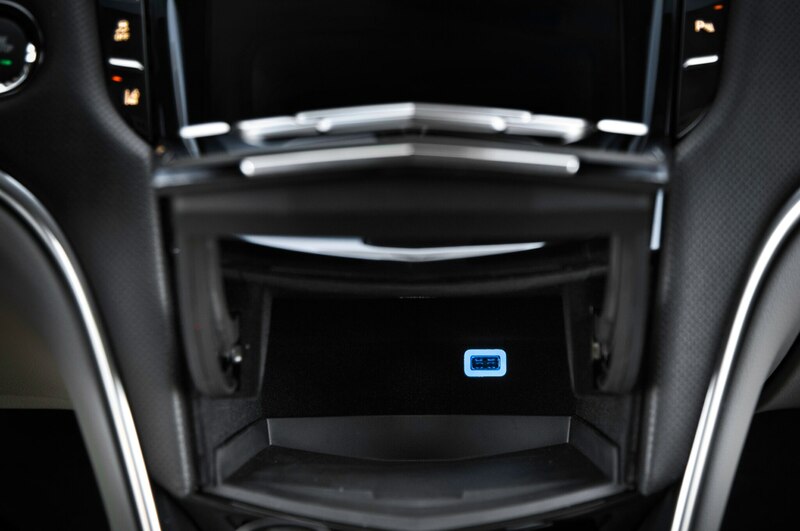 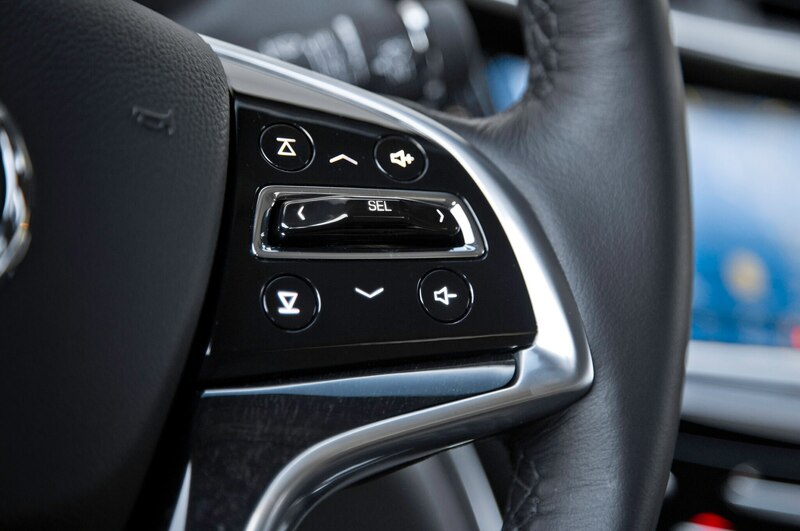 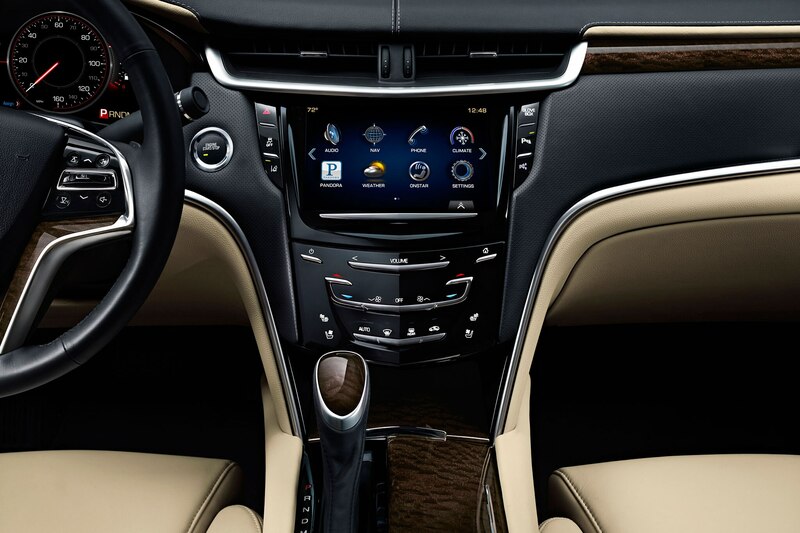 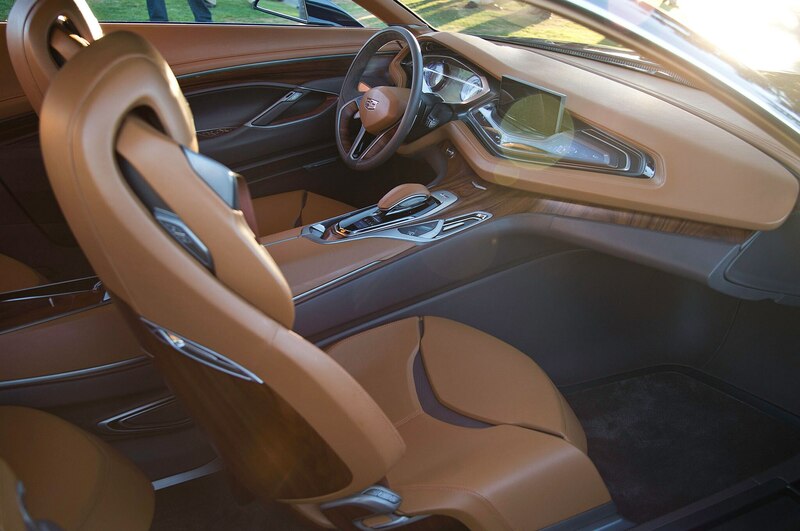 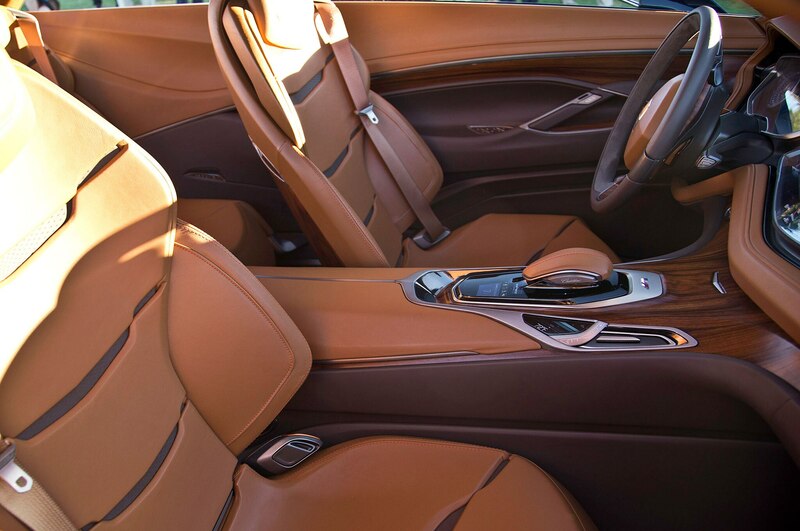 GM brass reportedly hasn’t signed off on the car’s interior, which advanced design director Clay Dean says was inspired by famous midcentury furniture designers Charles and Ray Eames. 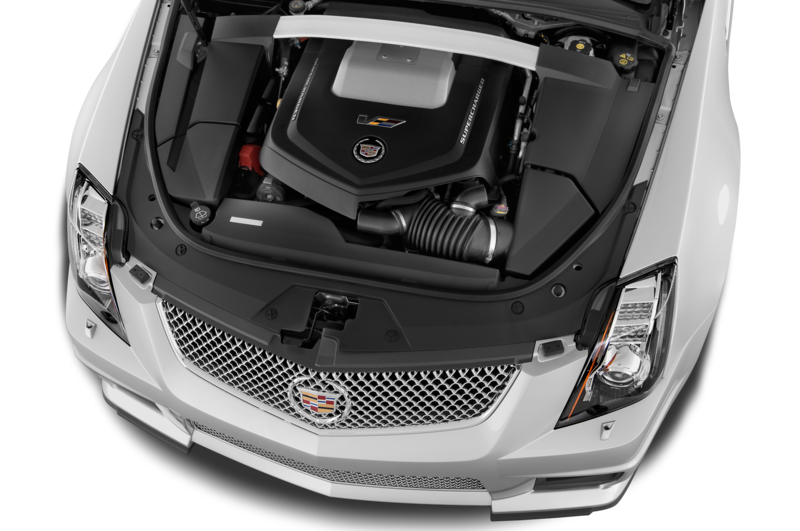 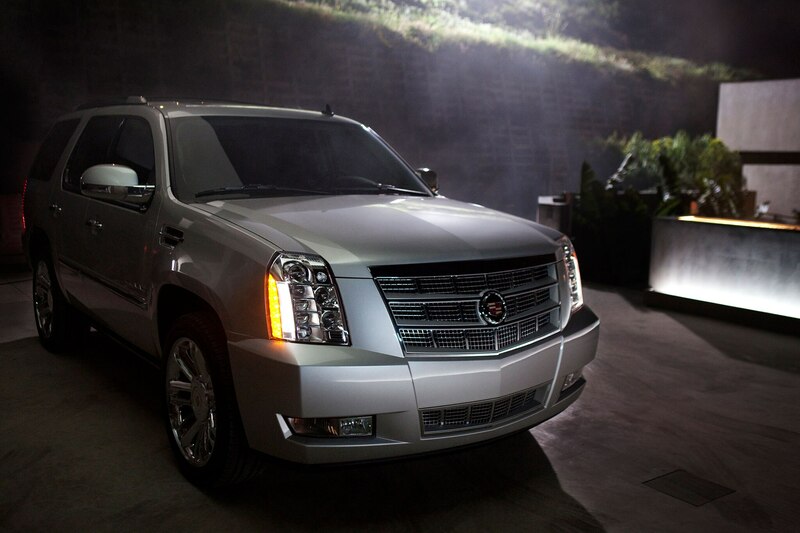 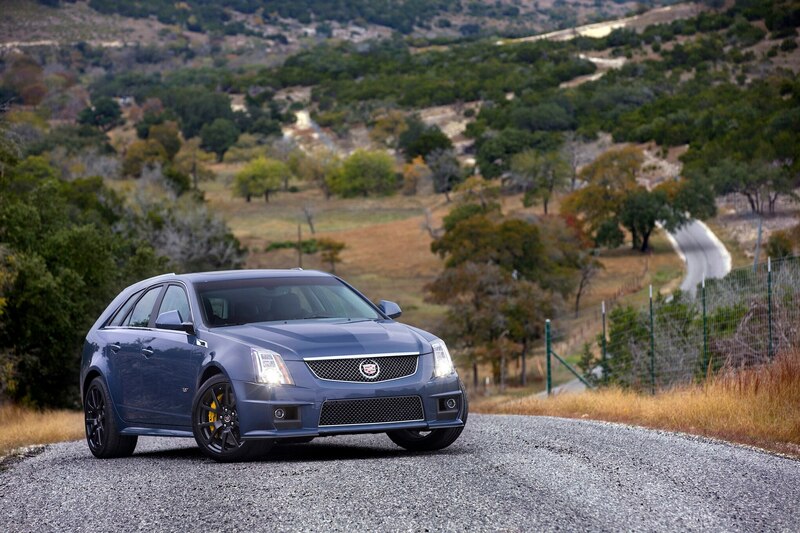 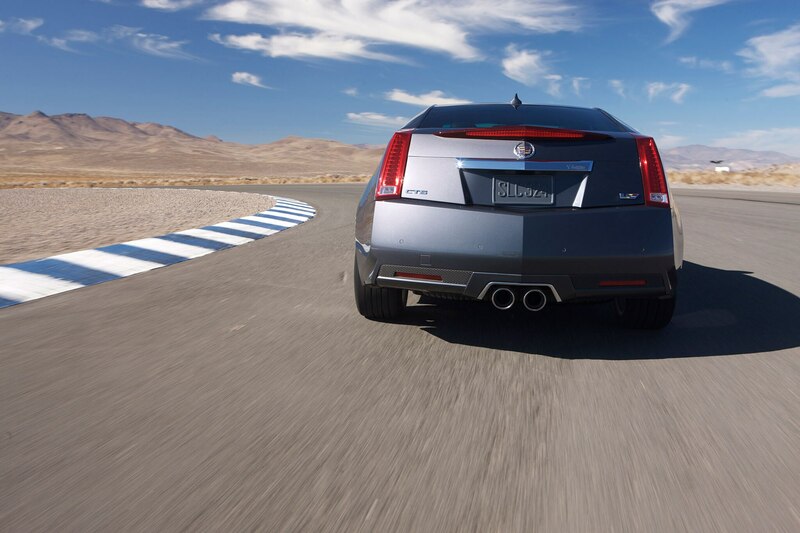 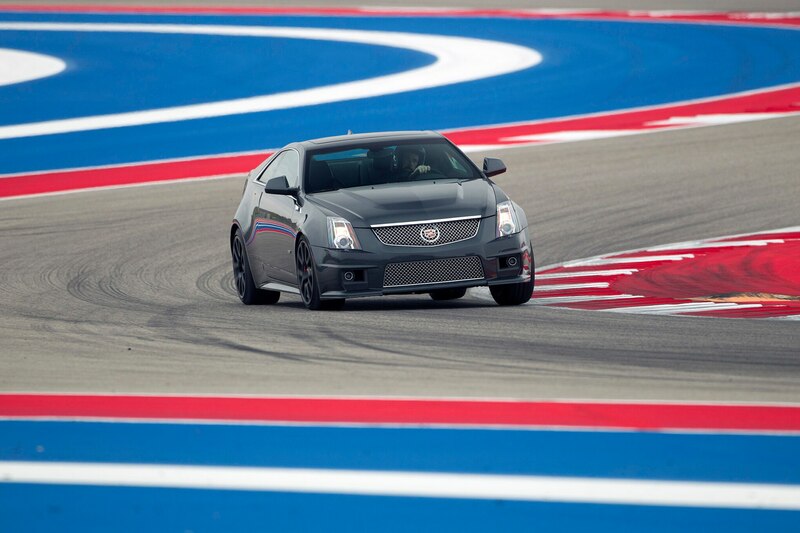 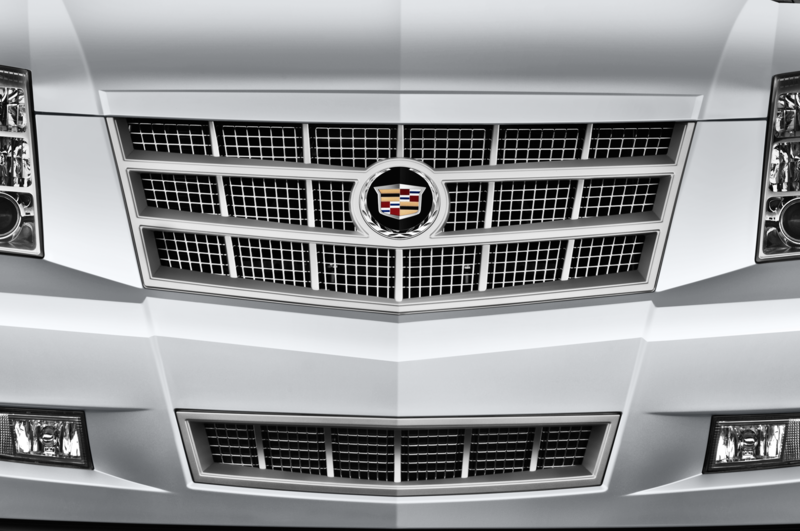 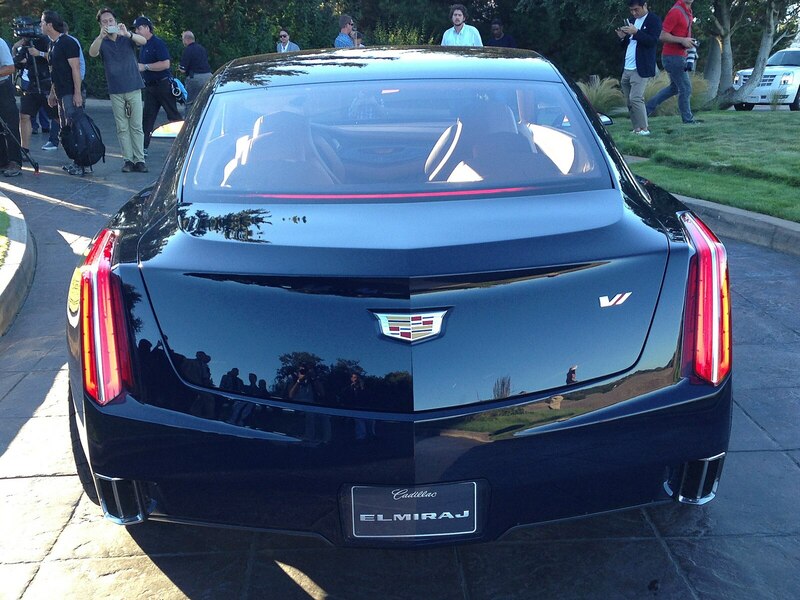 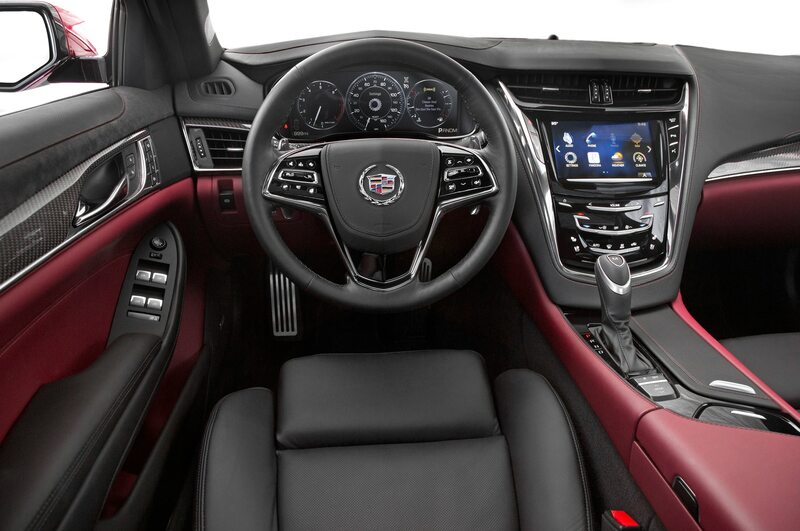 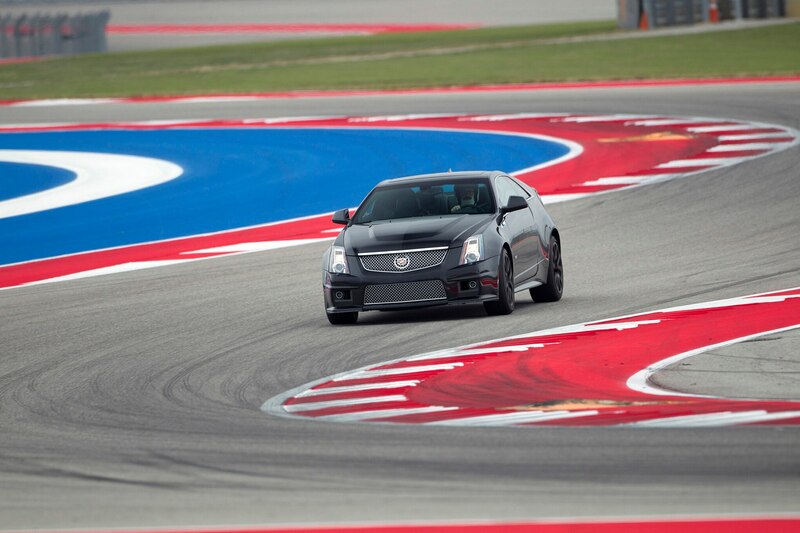 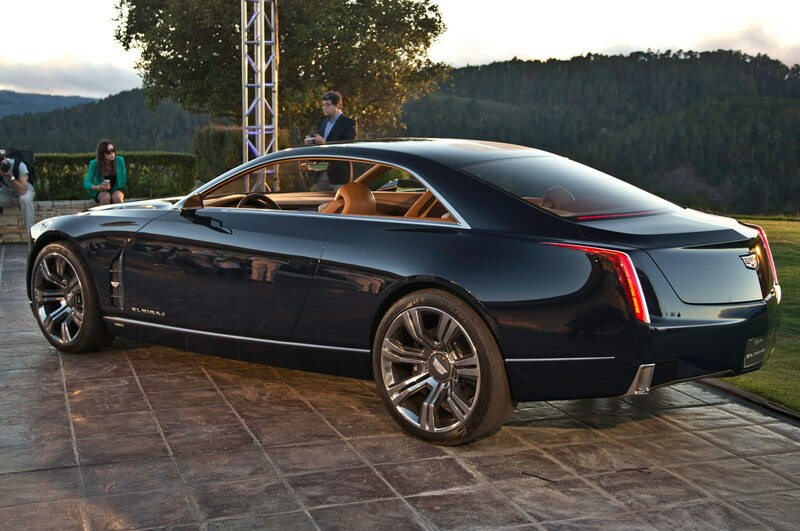 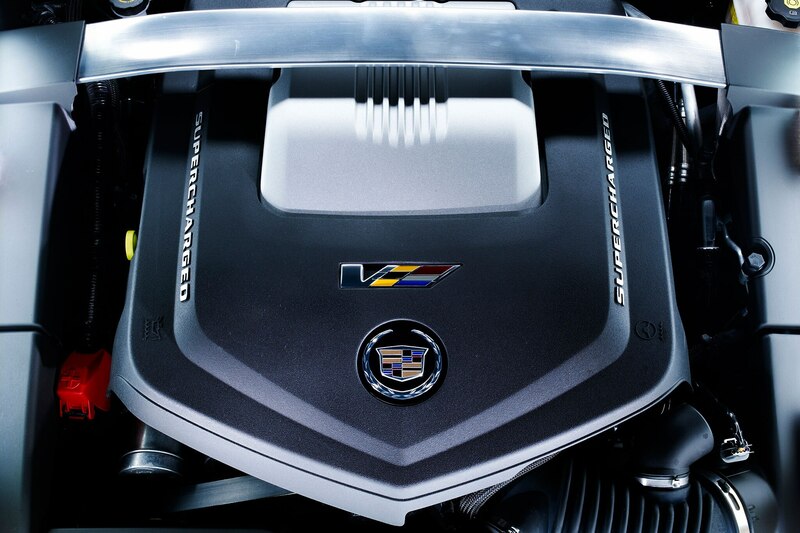 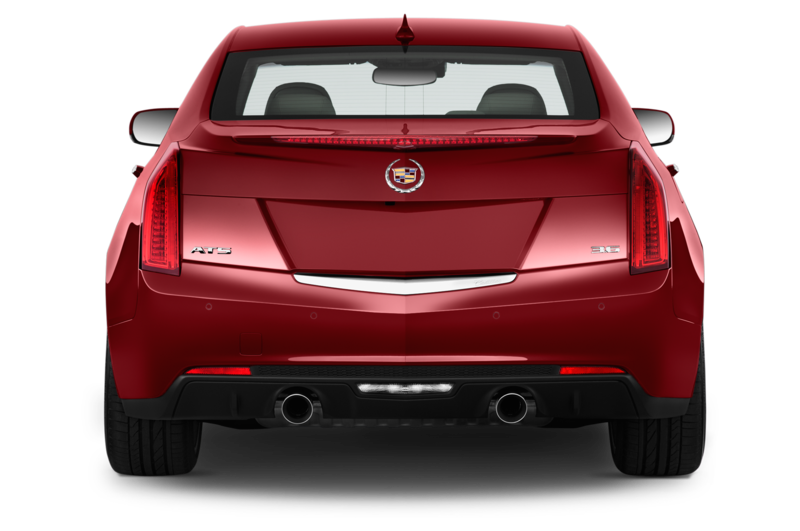 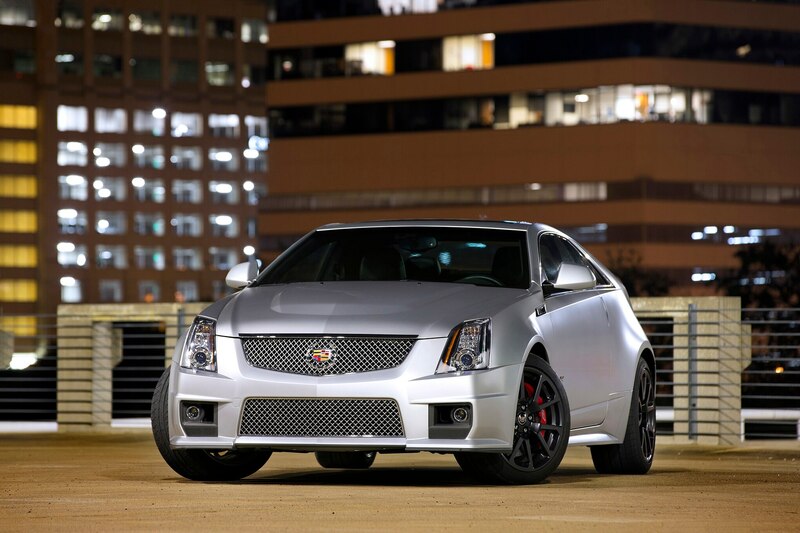 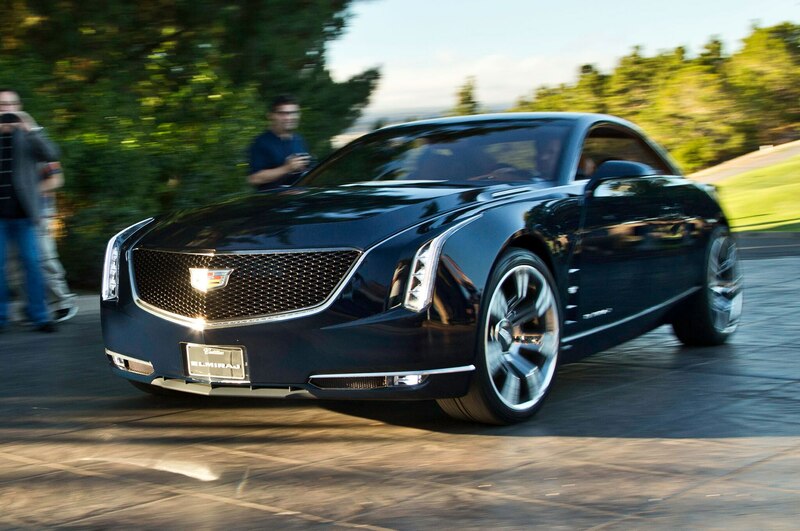 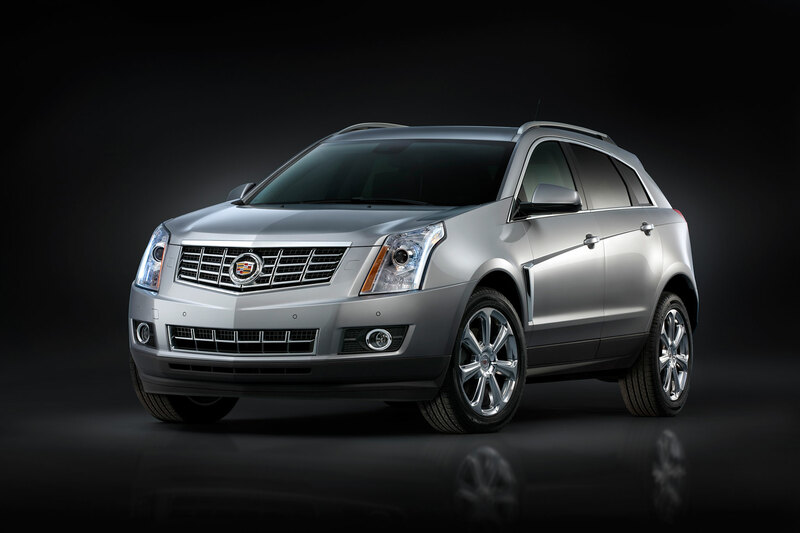 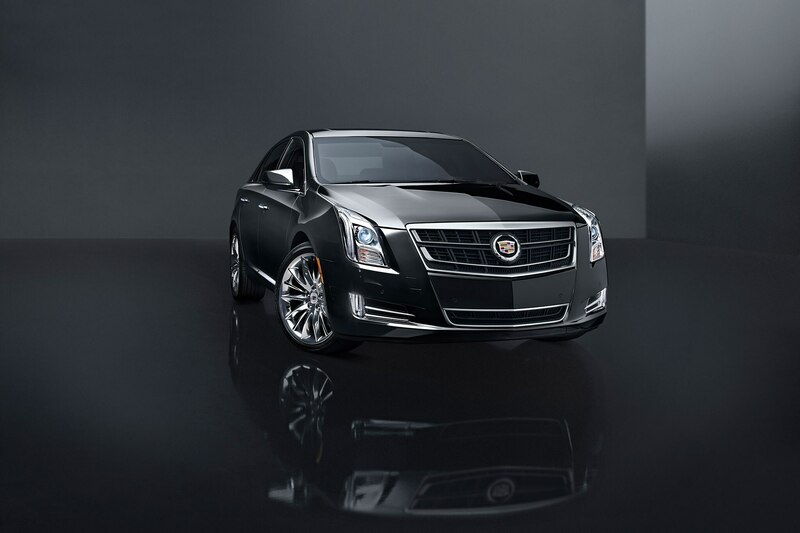 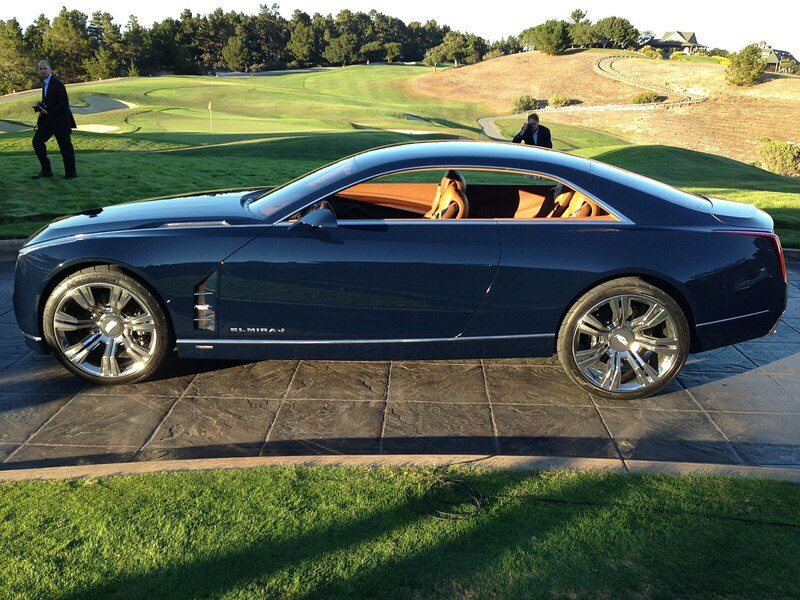 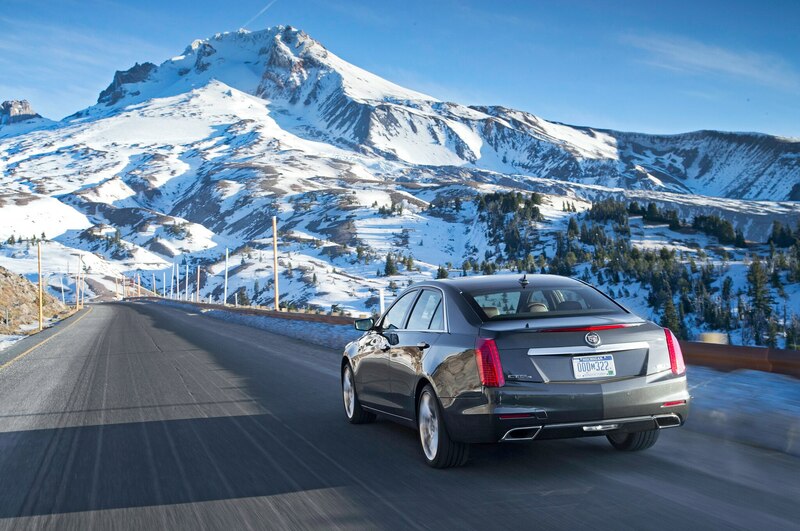 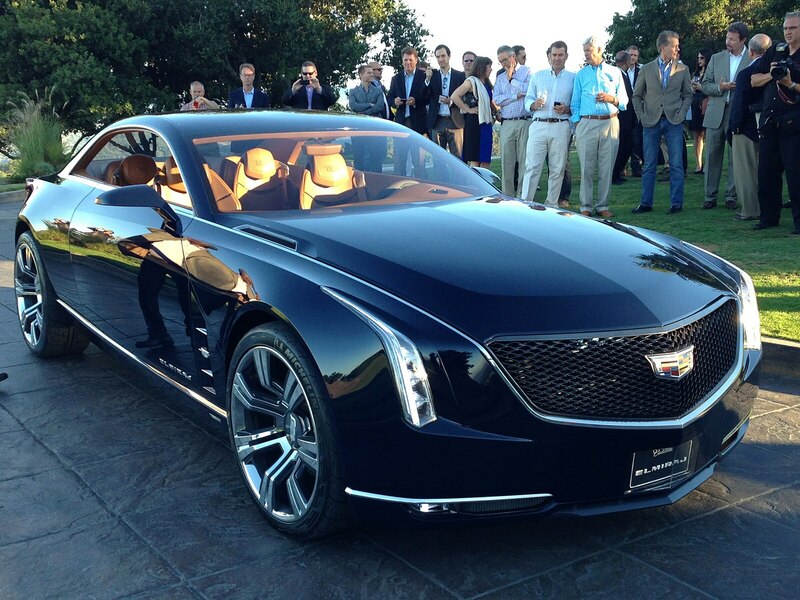 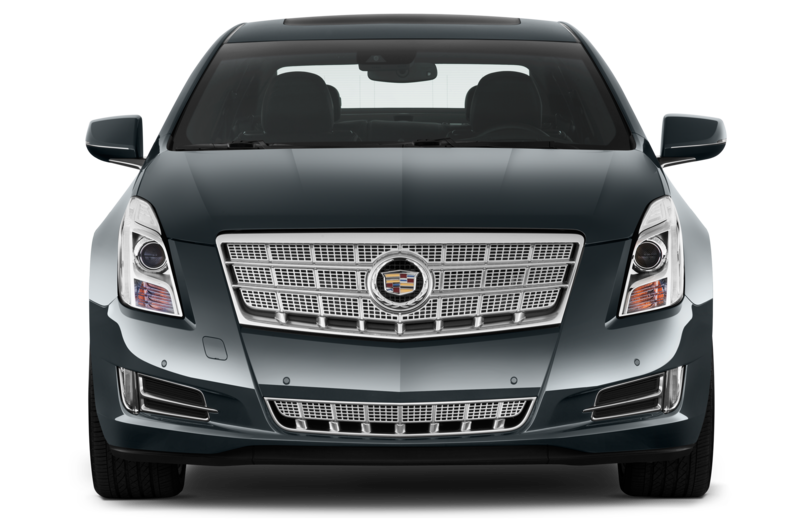 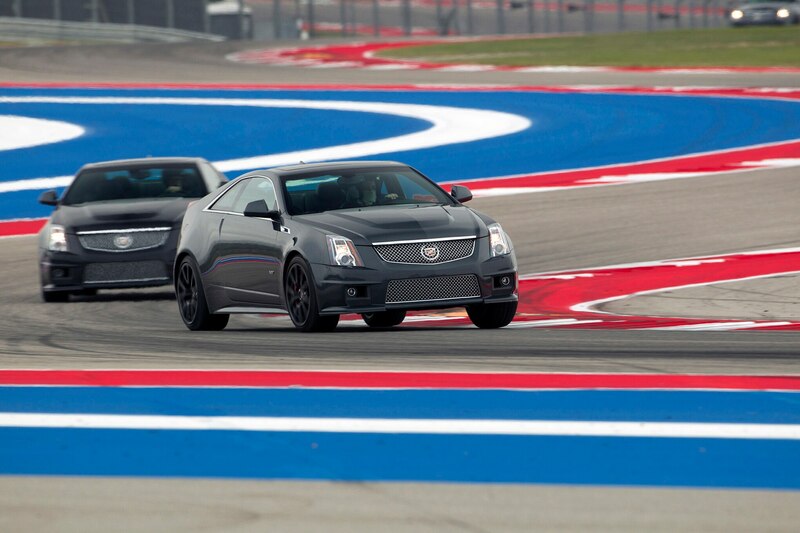 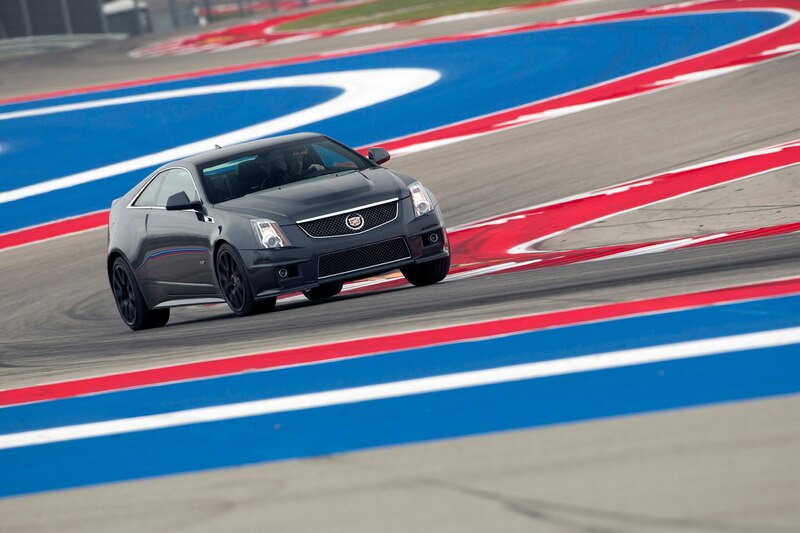 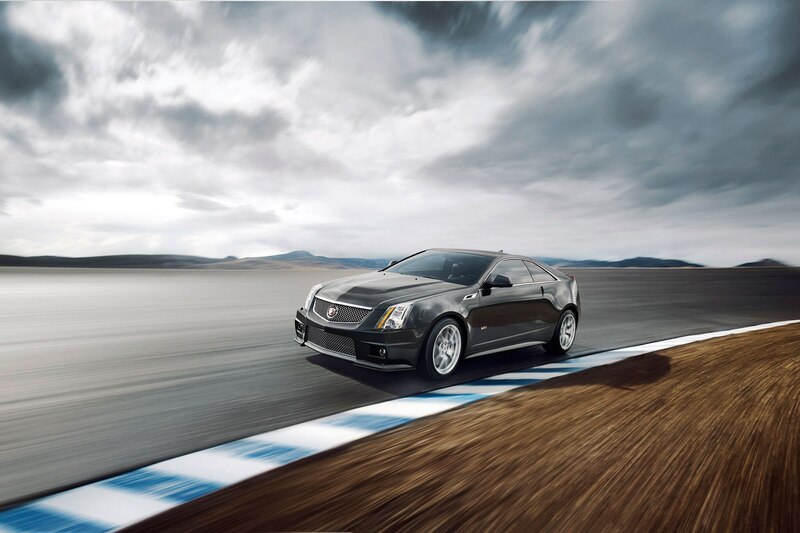 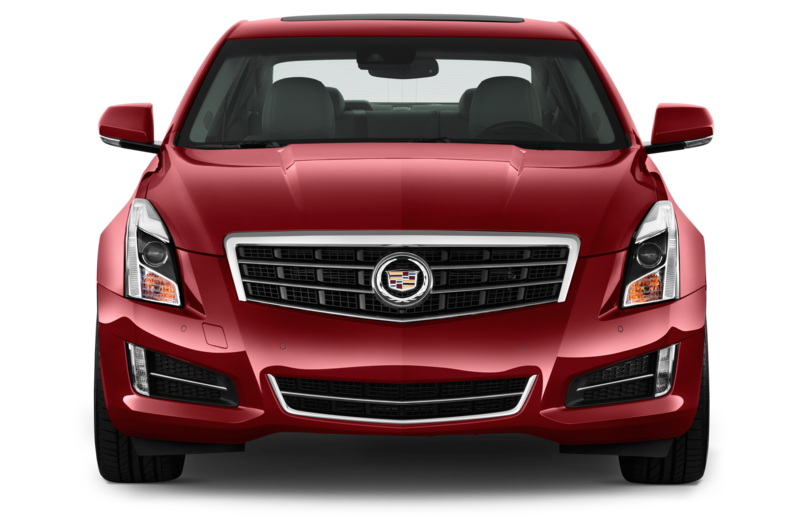 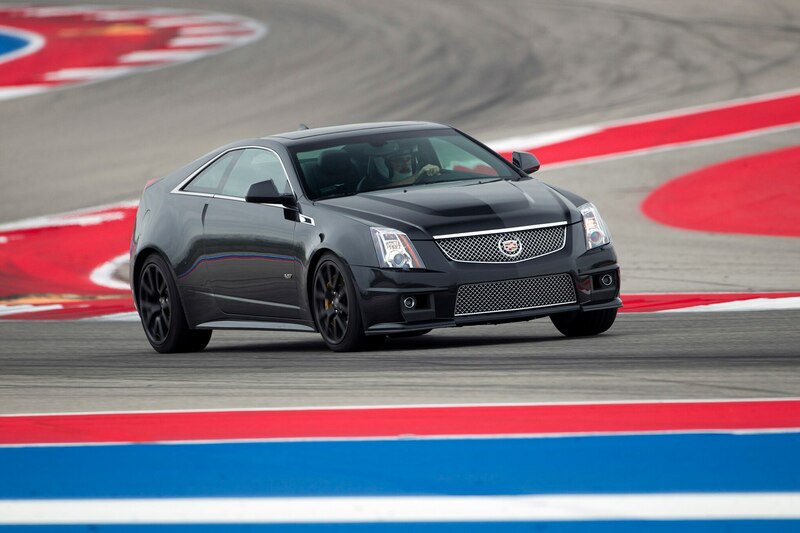 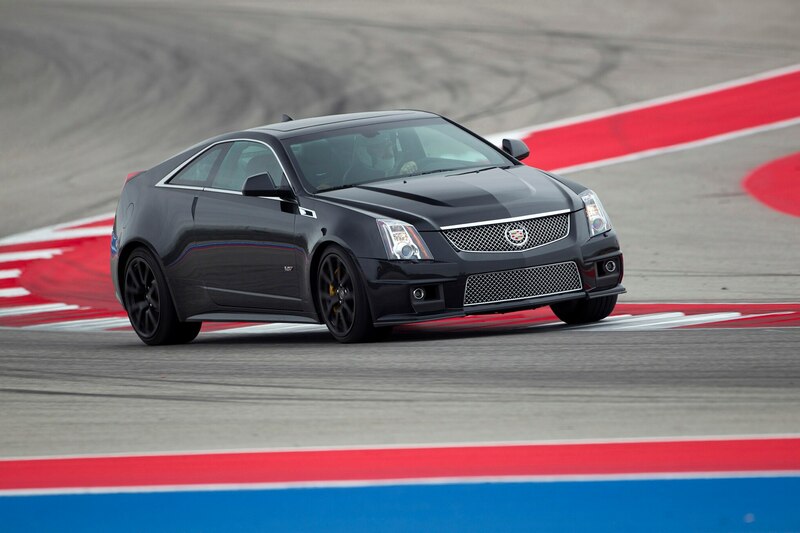 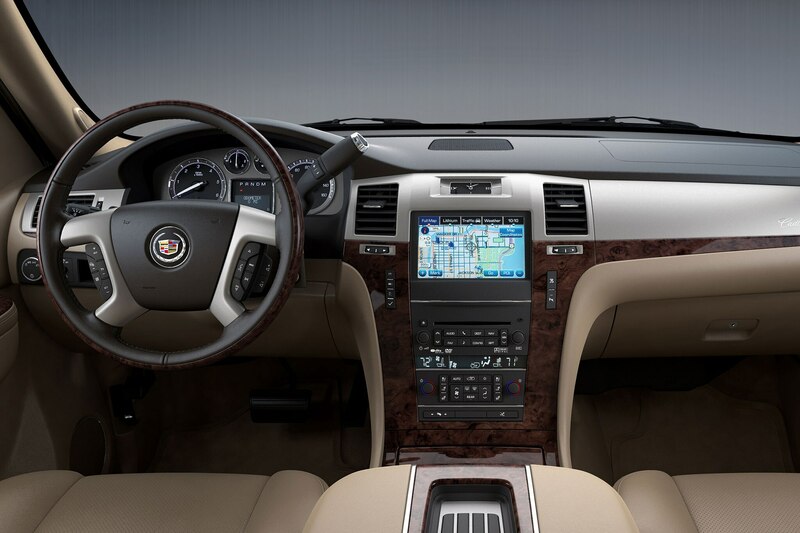 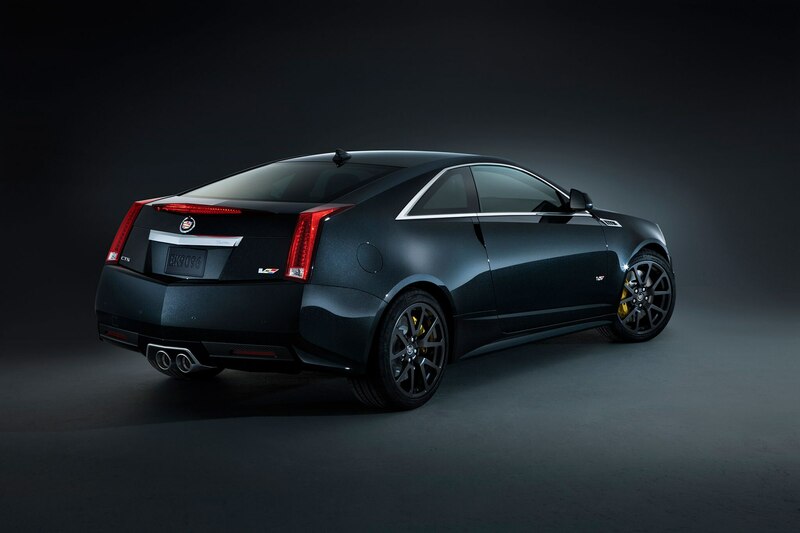 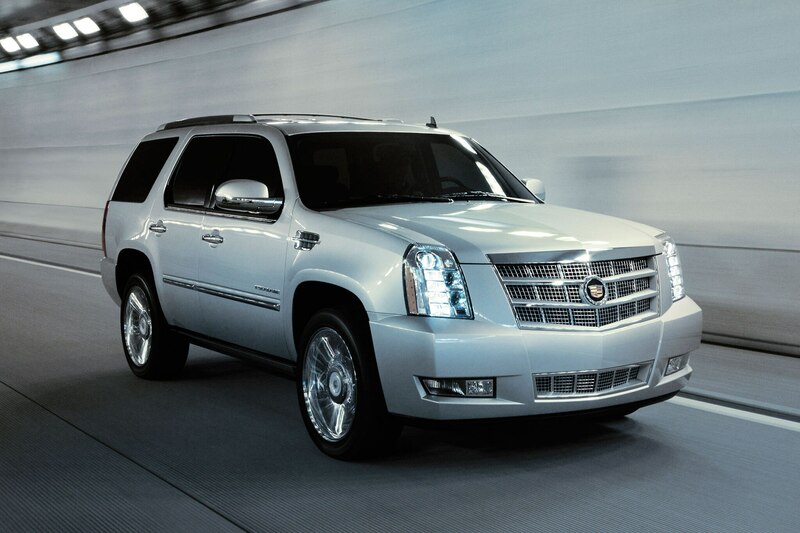 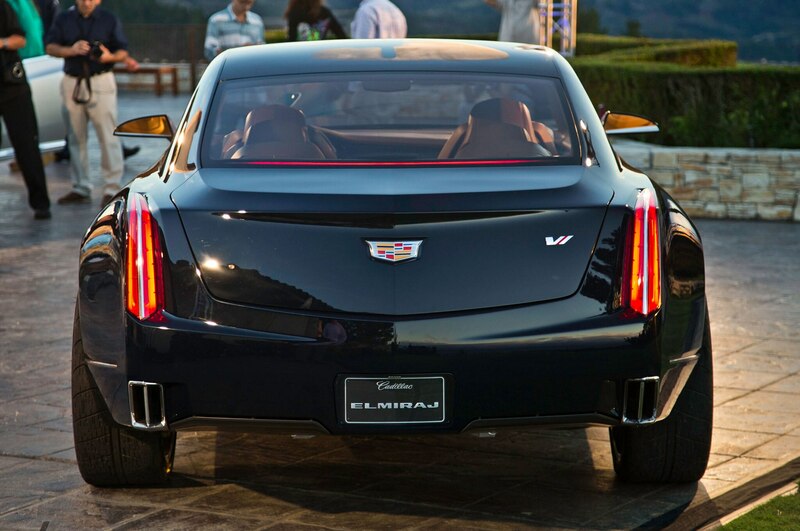 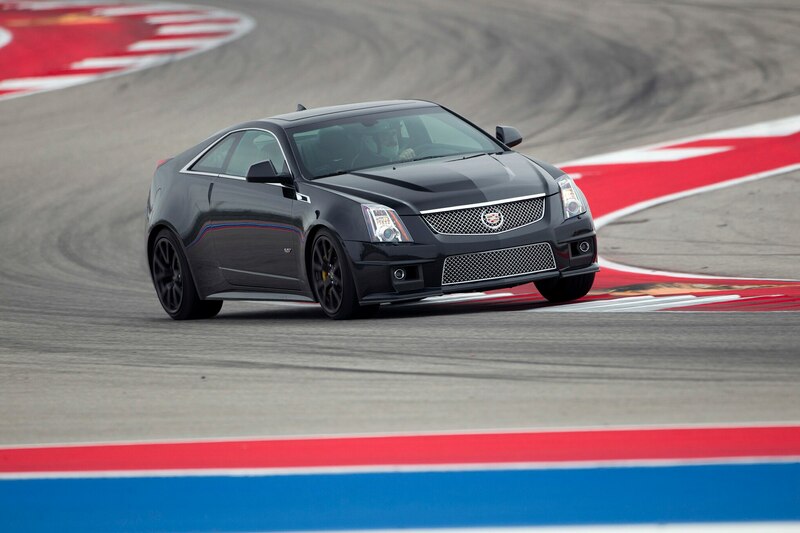 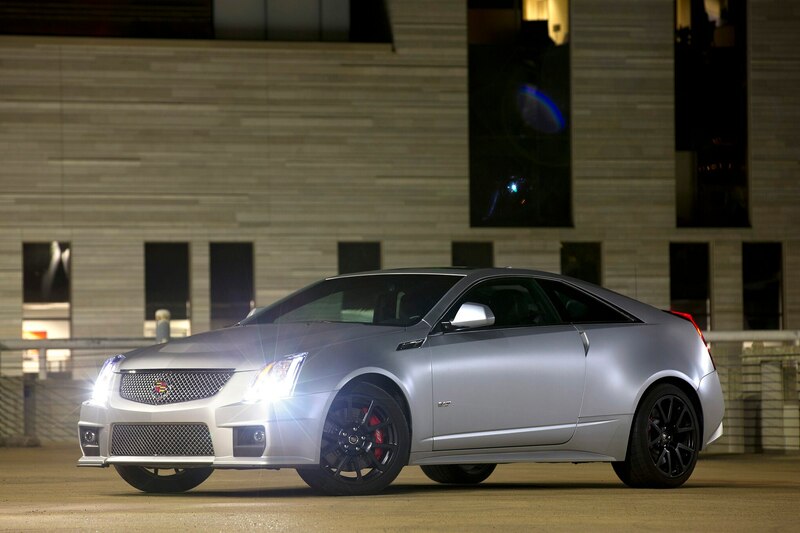 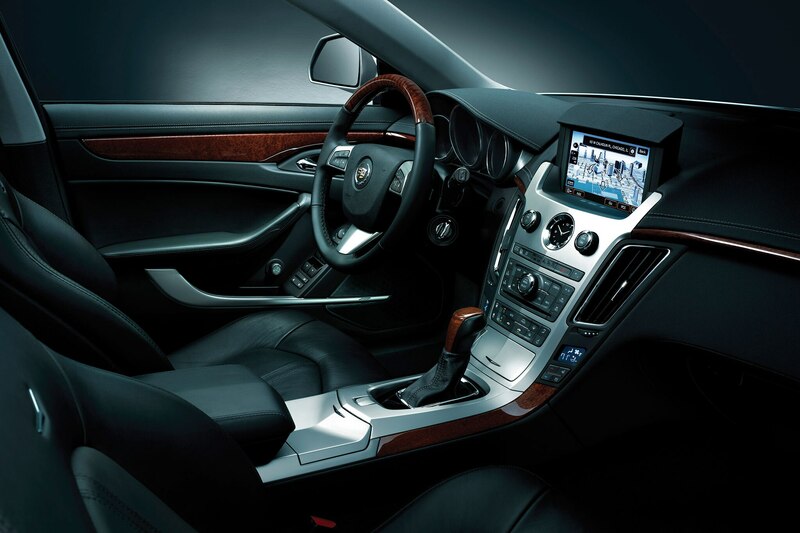 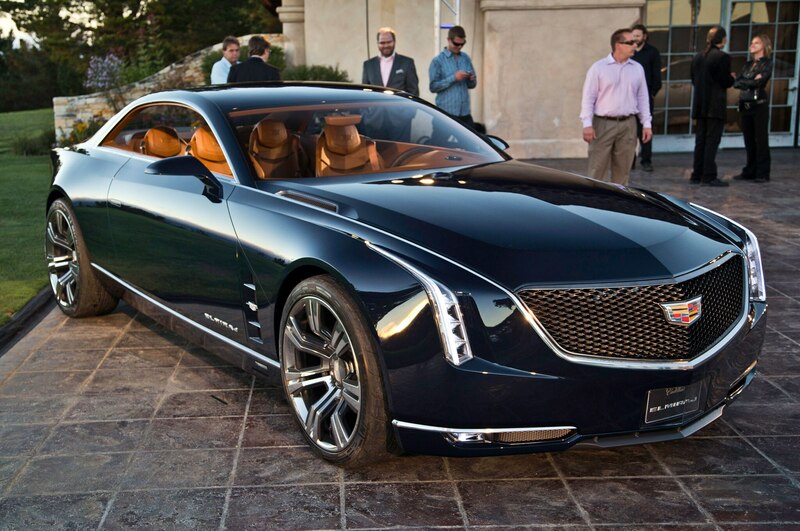 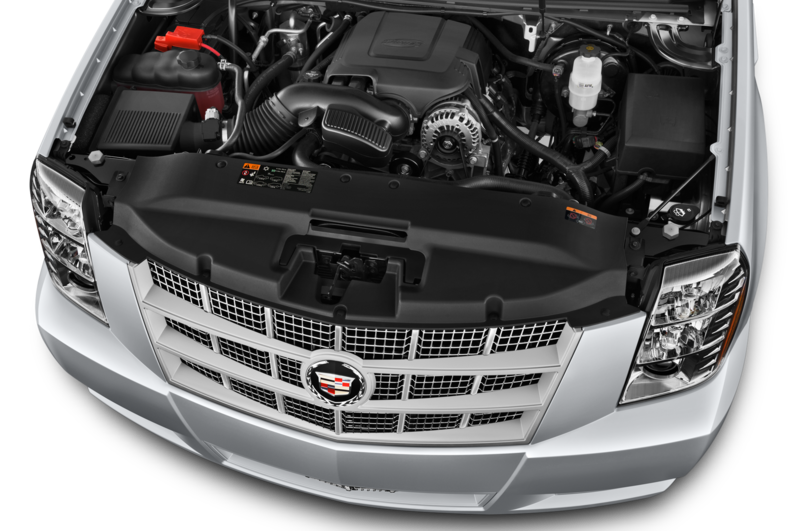 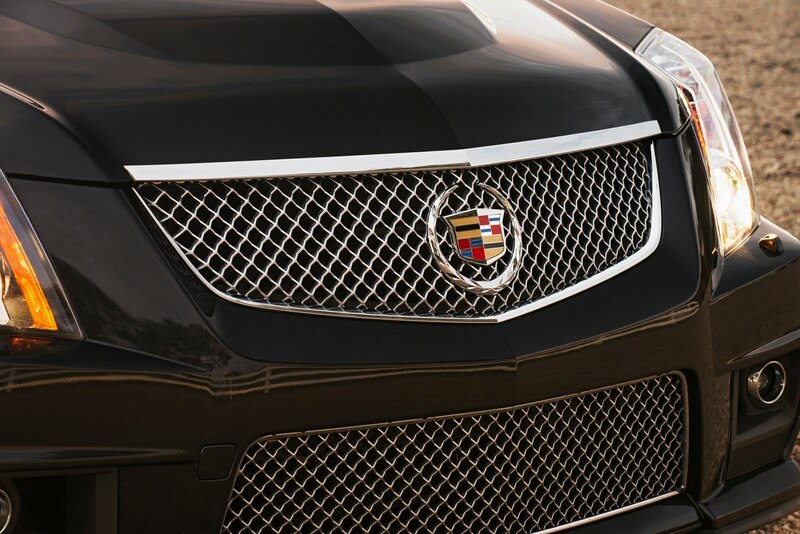 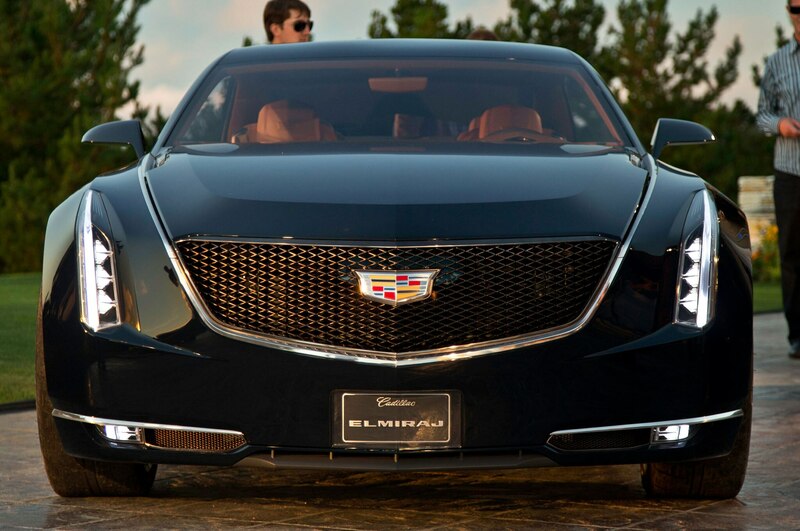 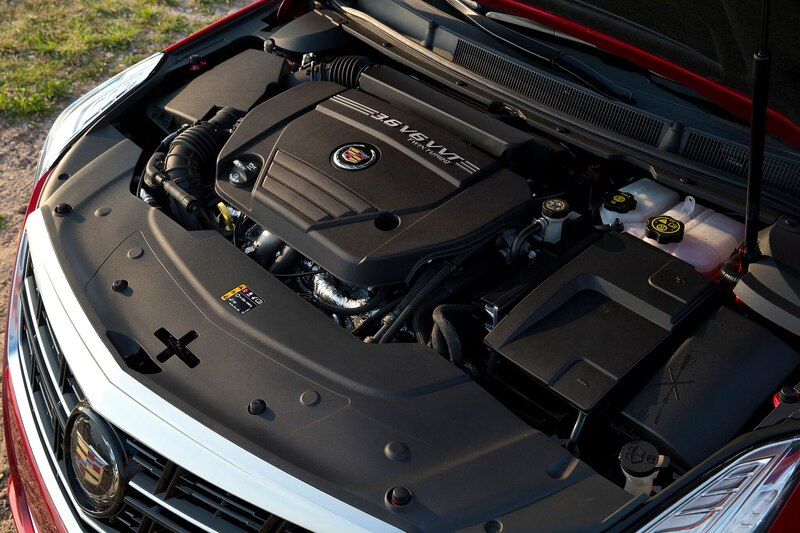 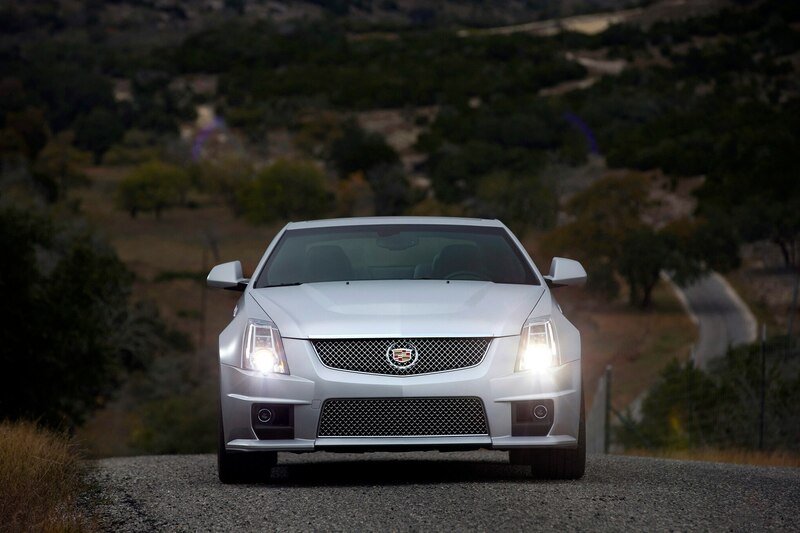 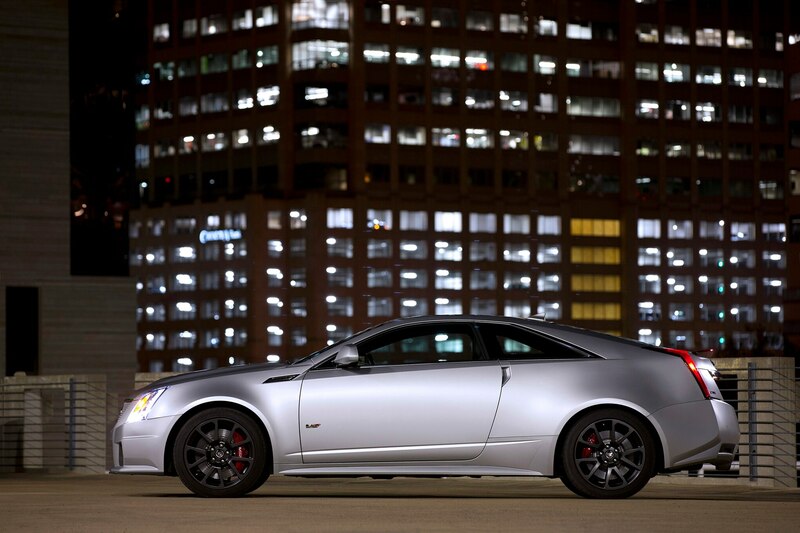 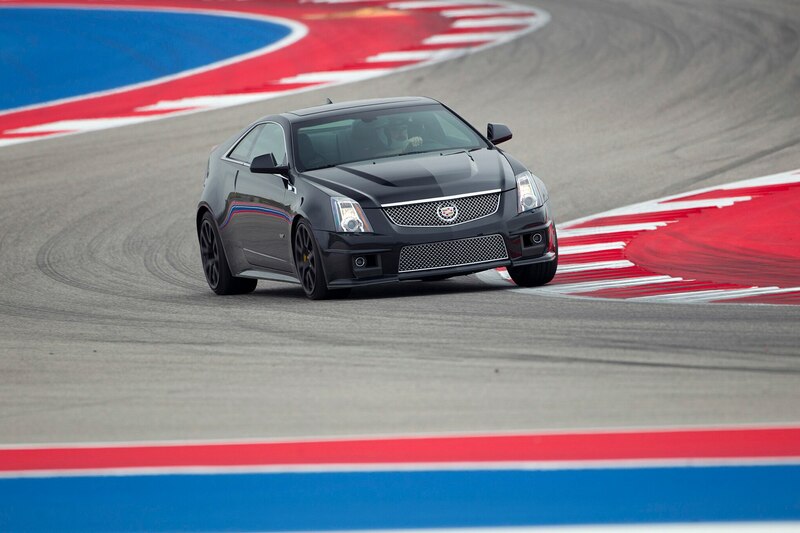 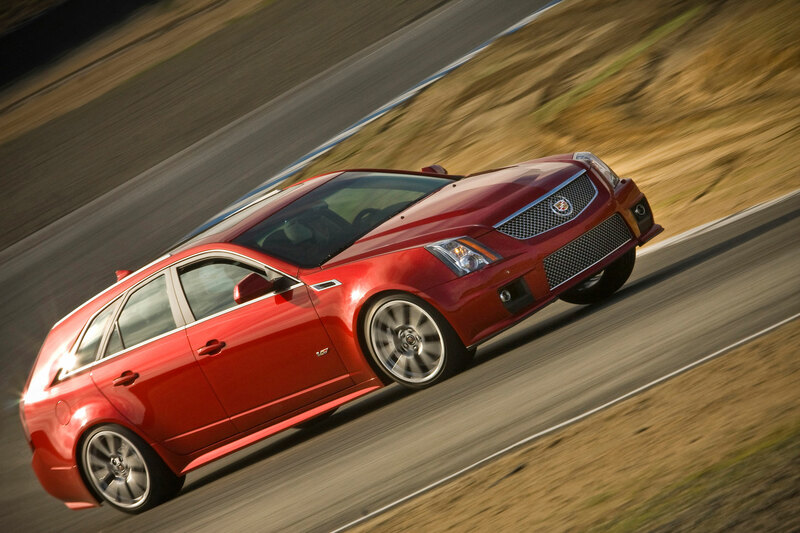 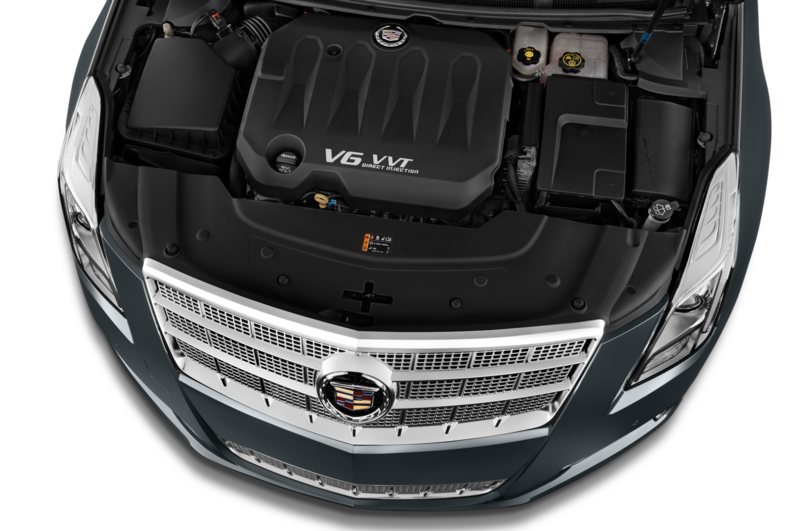 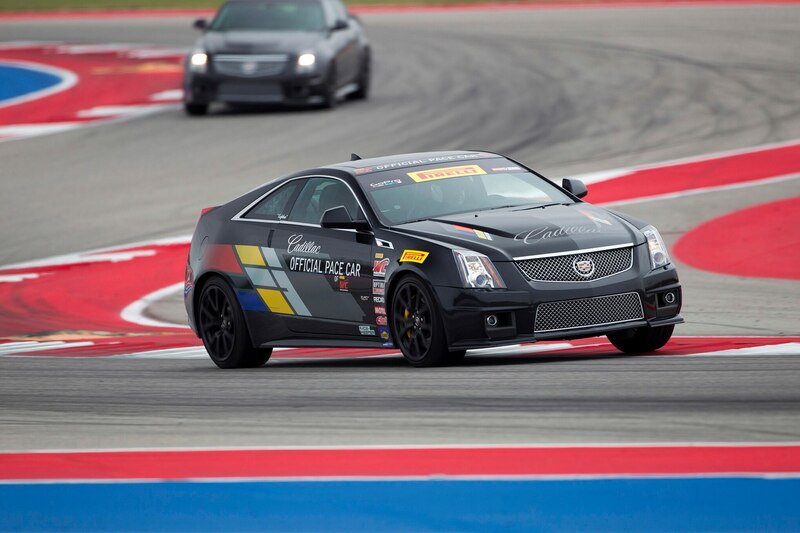 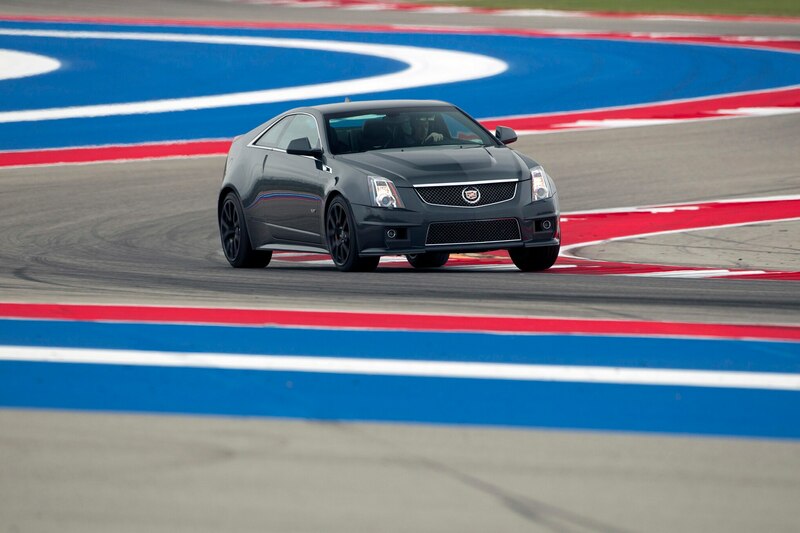 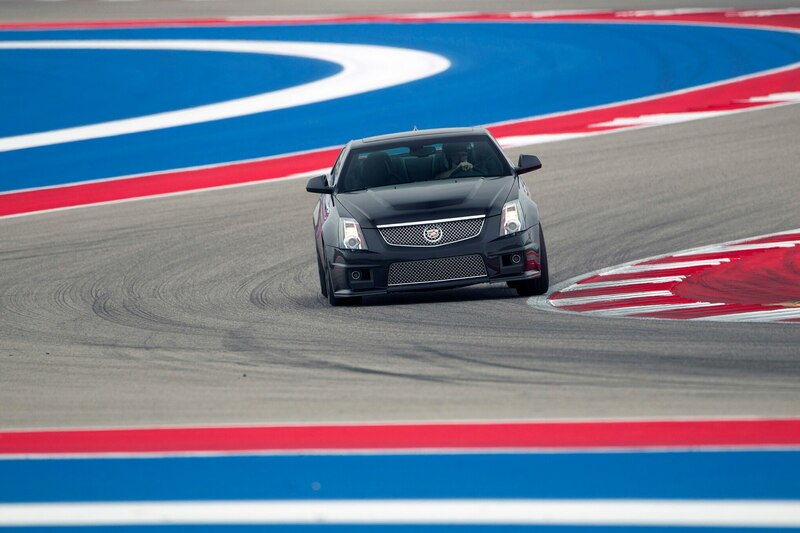 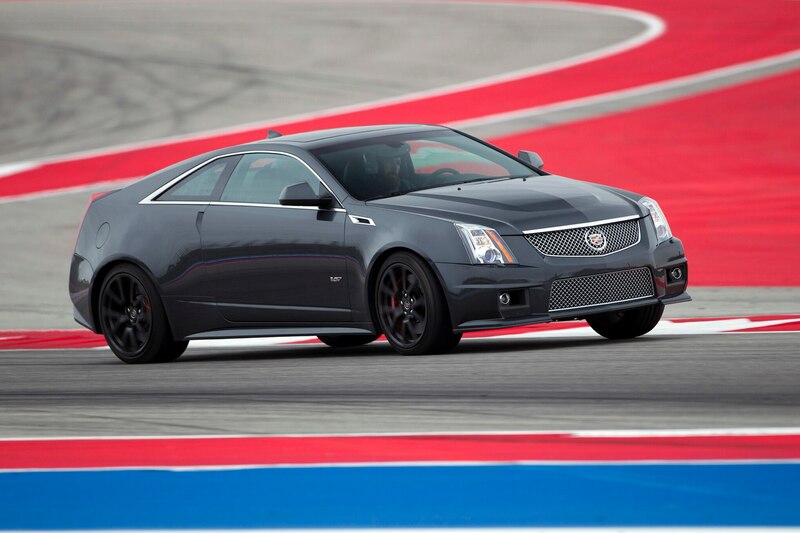 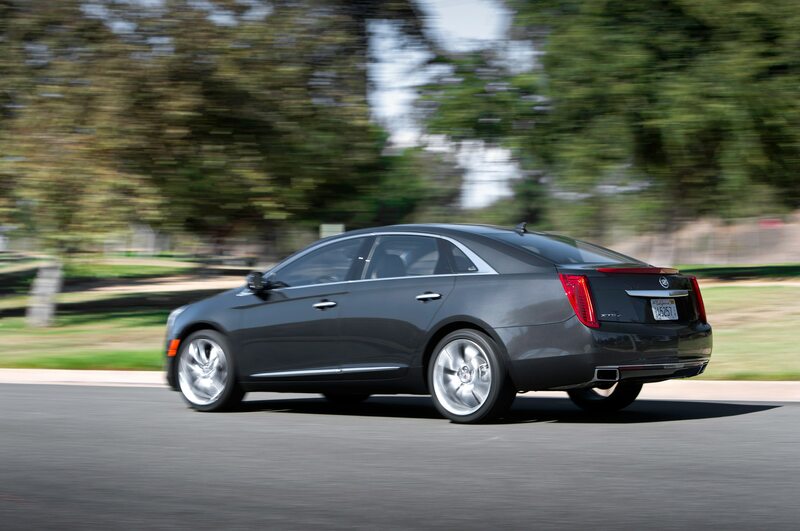 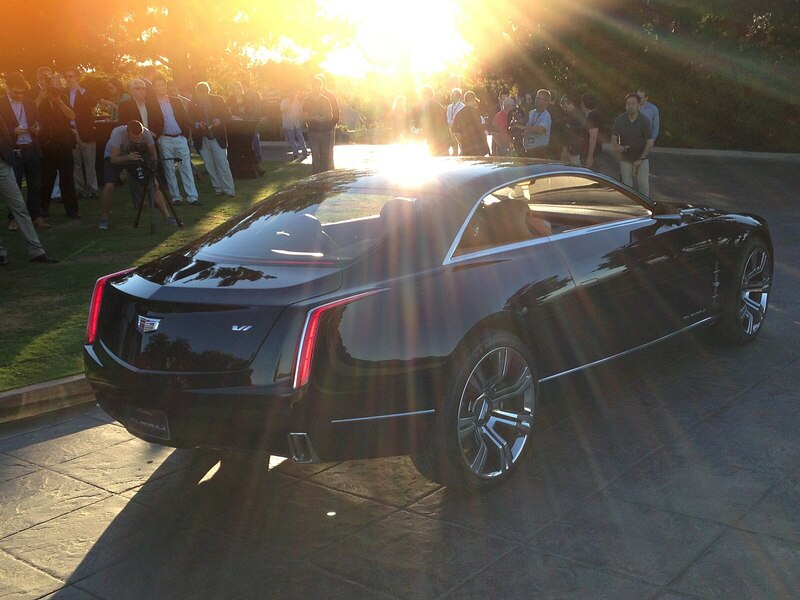 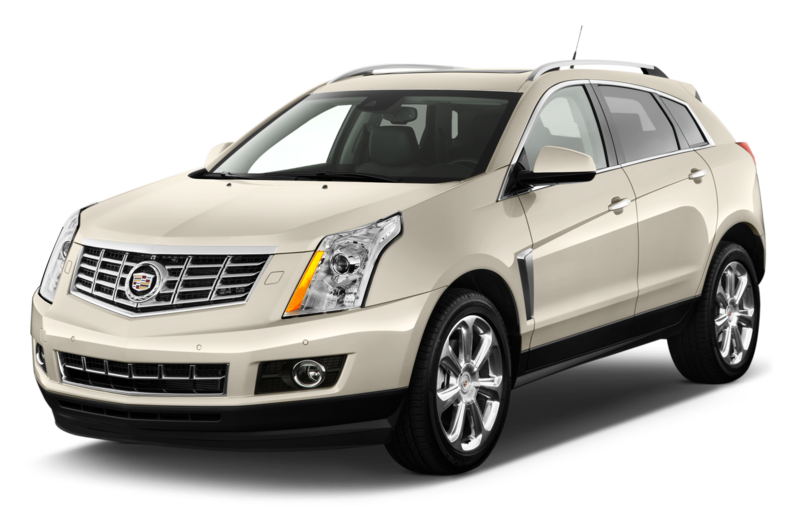 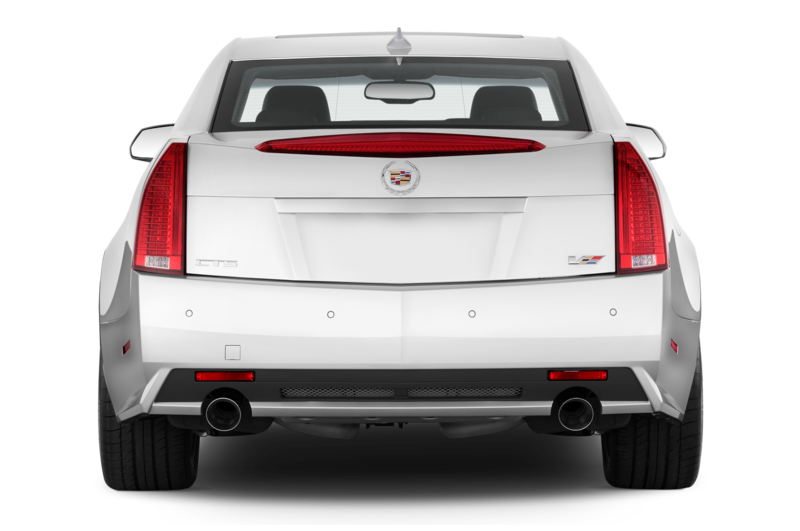 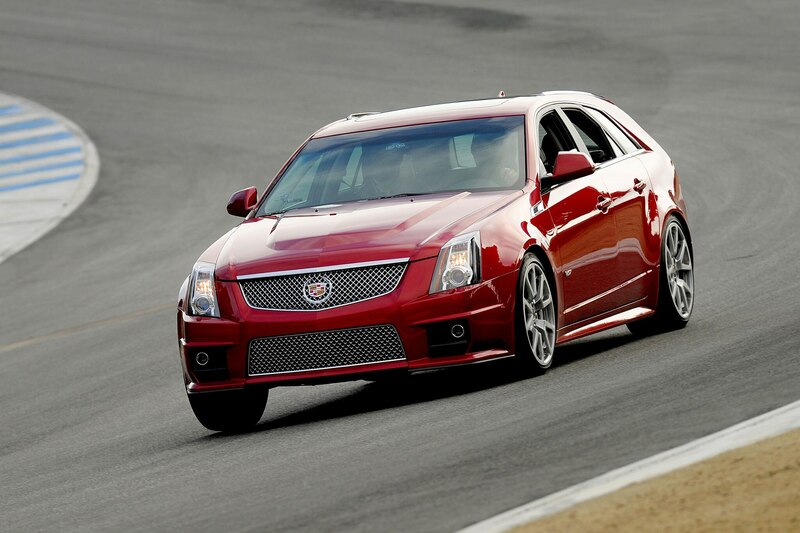 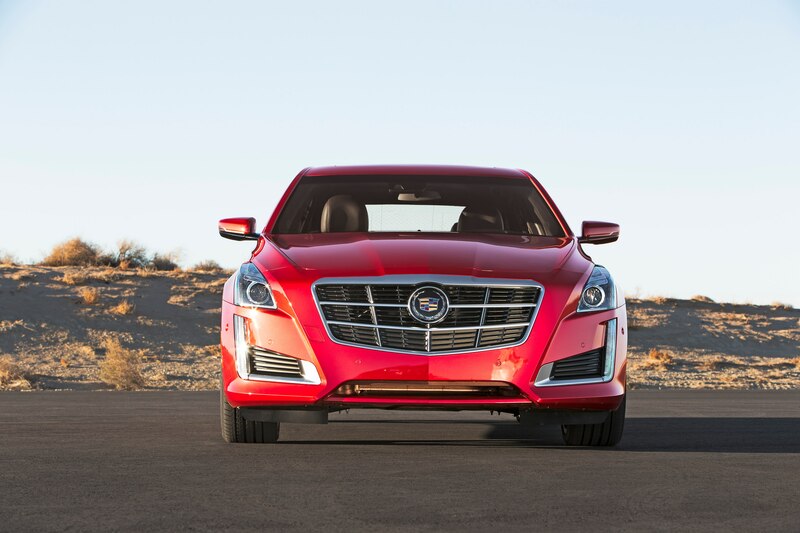 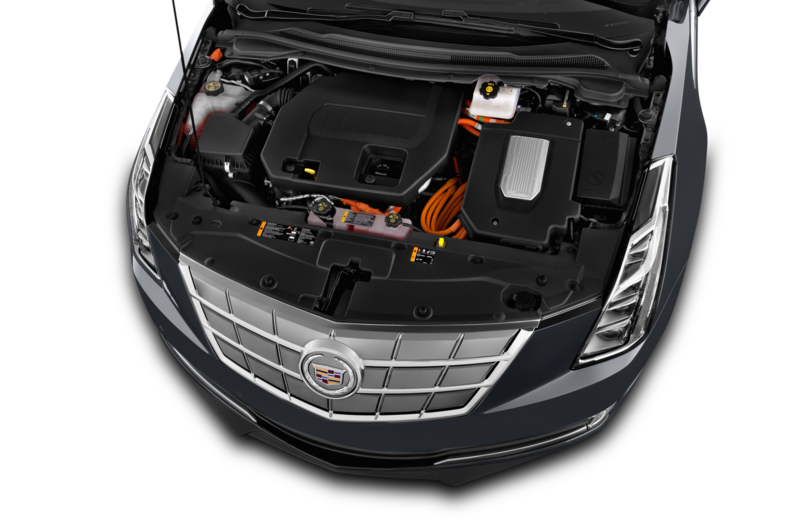 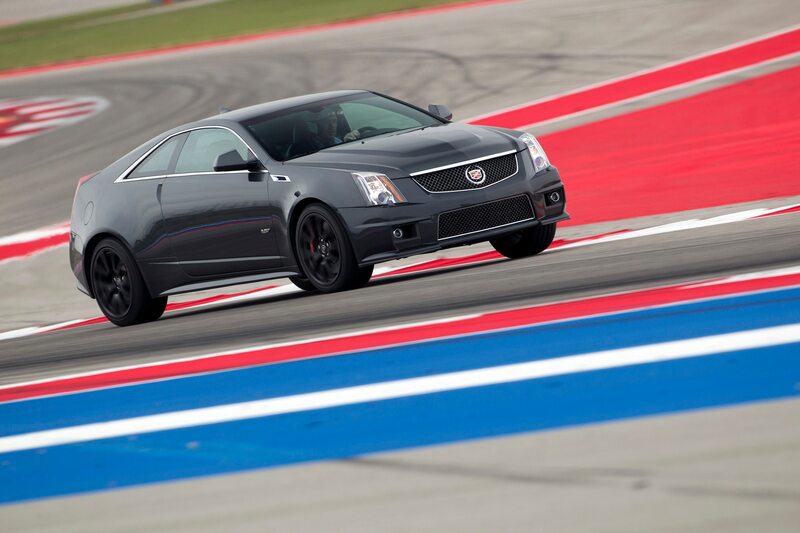 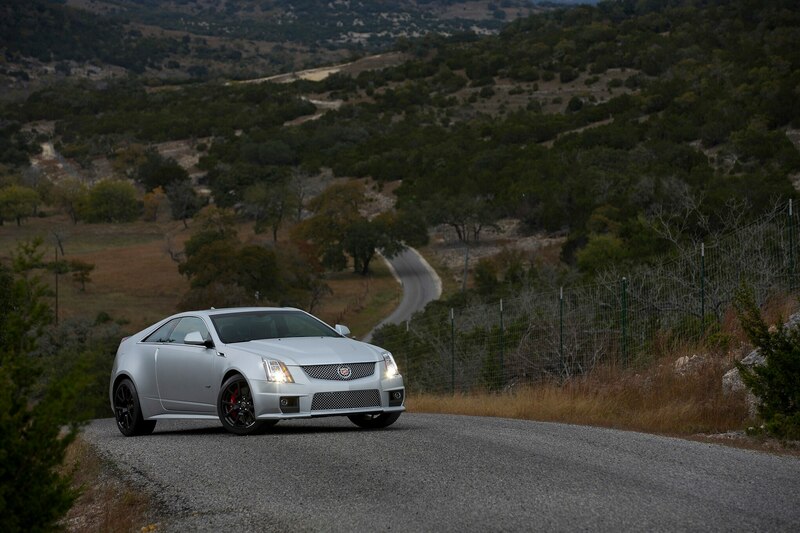 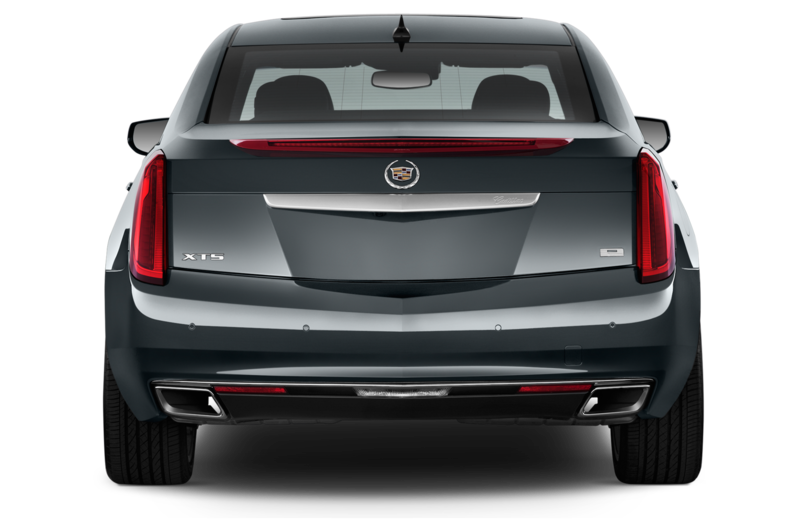 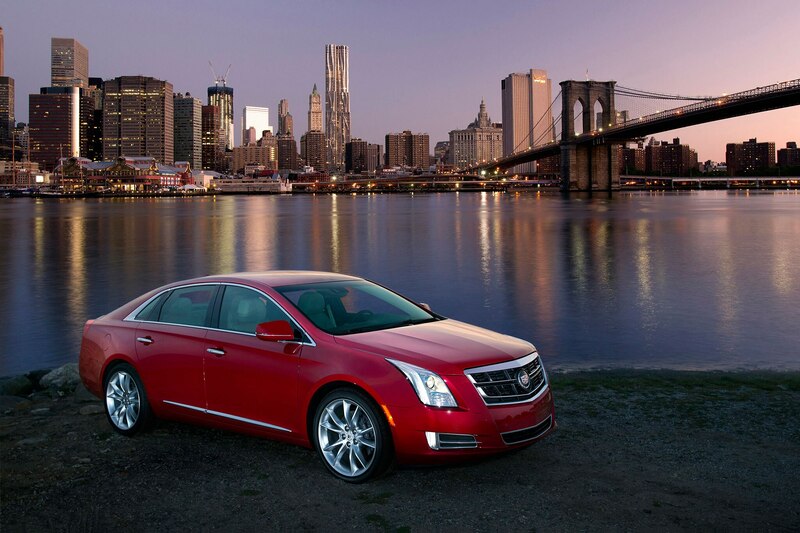 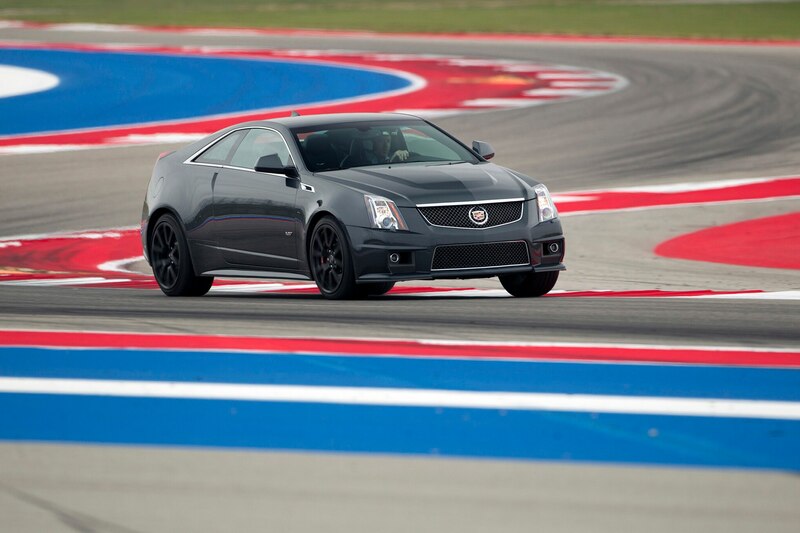 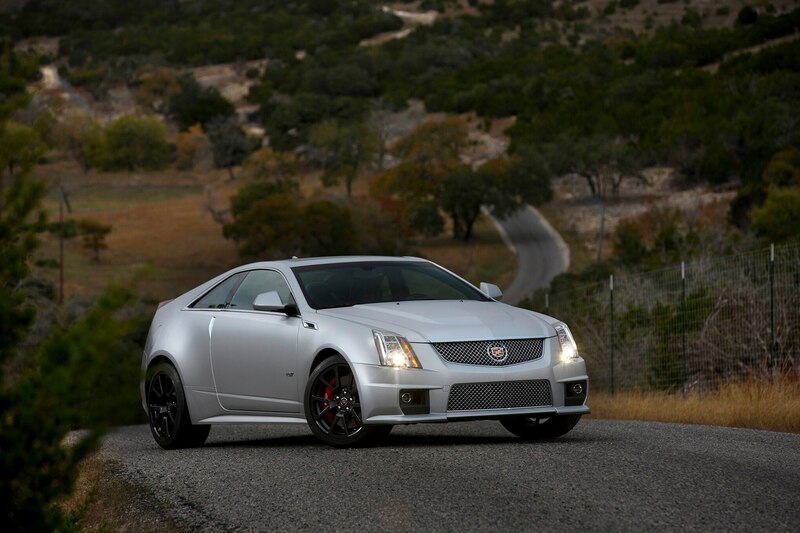 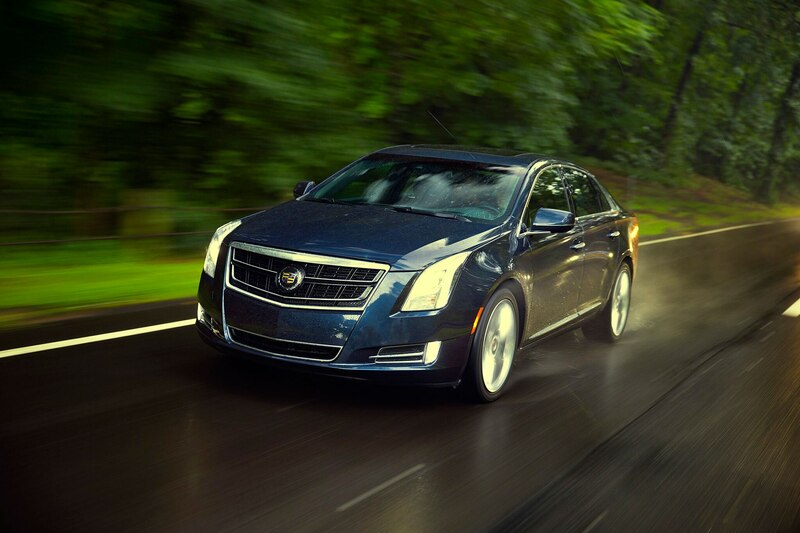 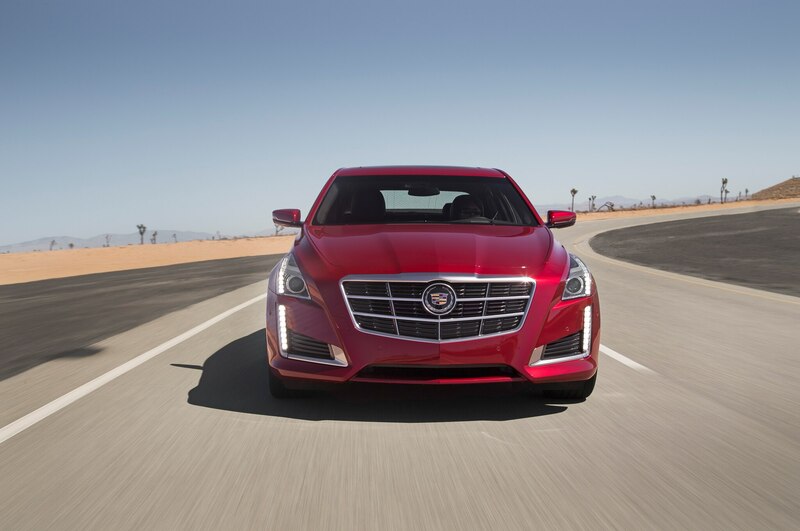 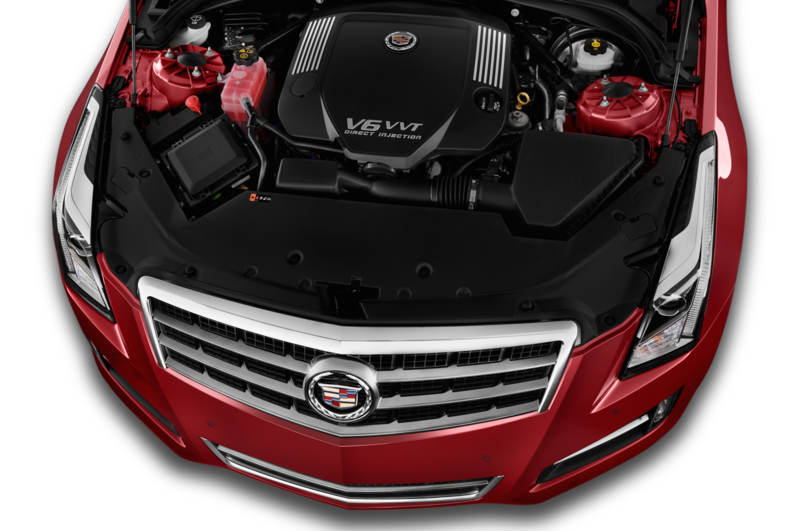 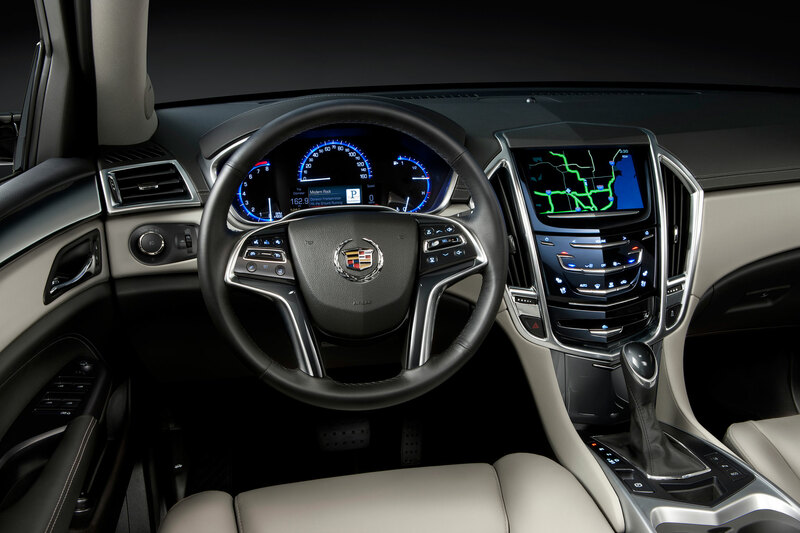 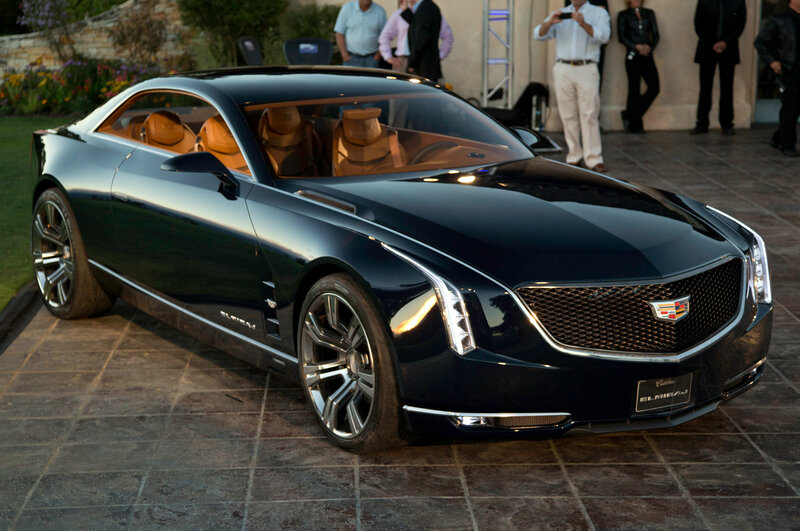 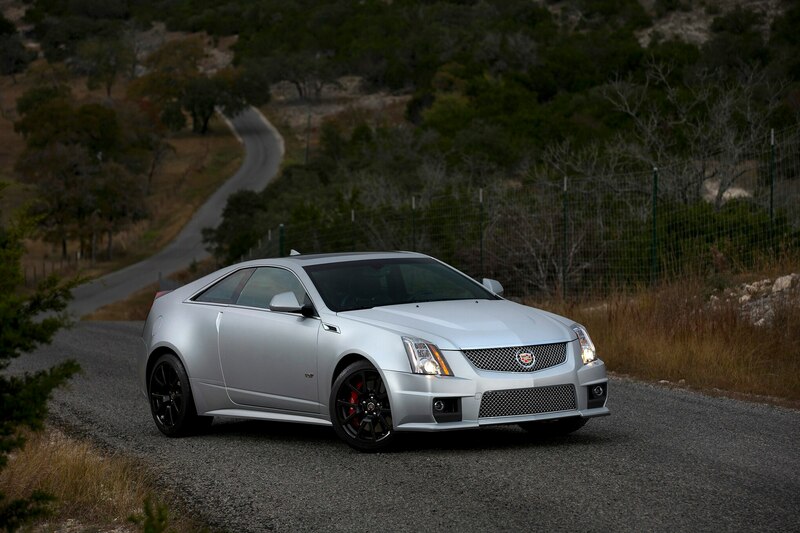 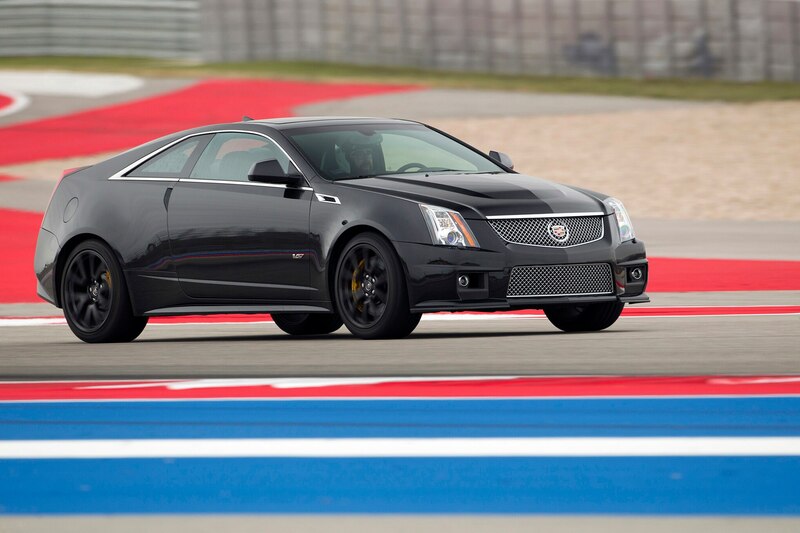 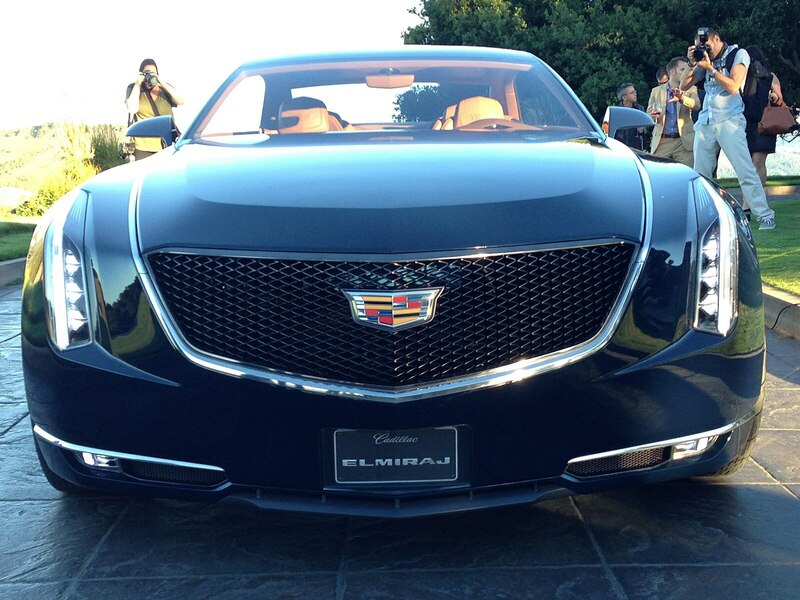 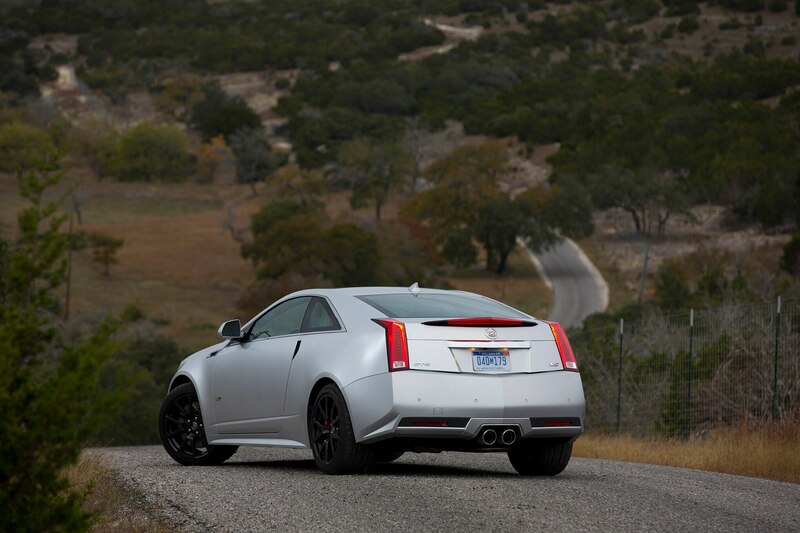 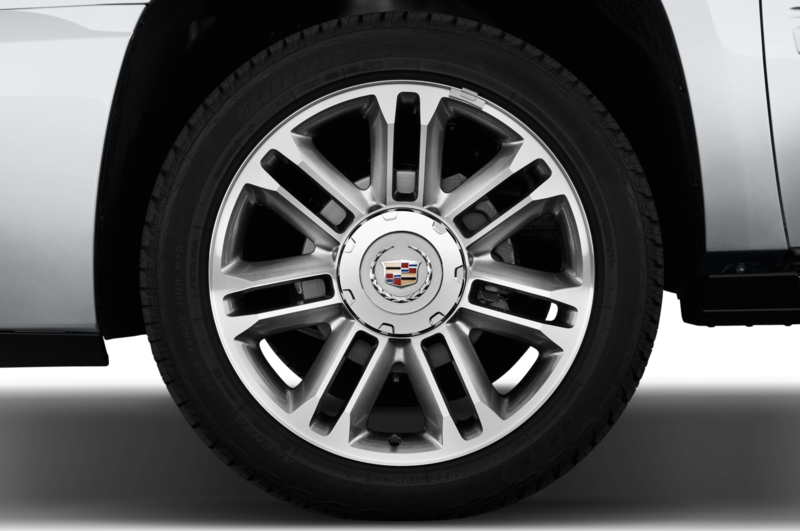 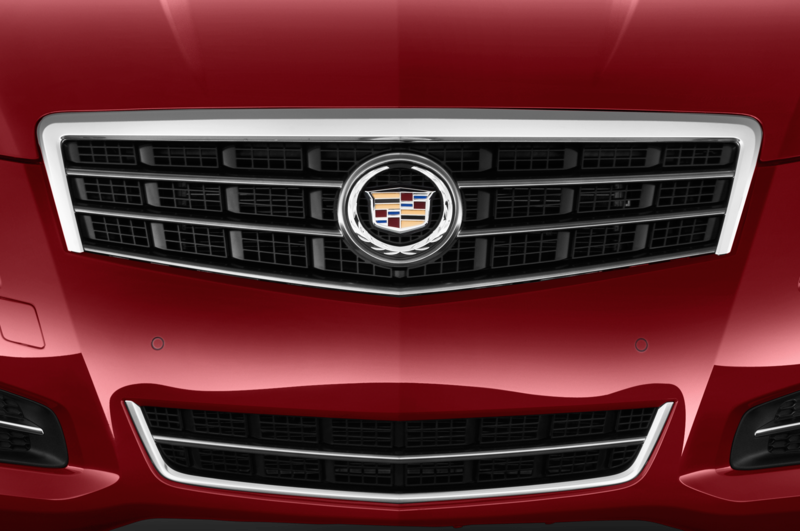 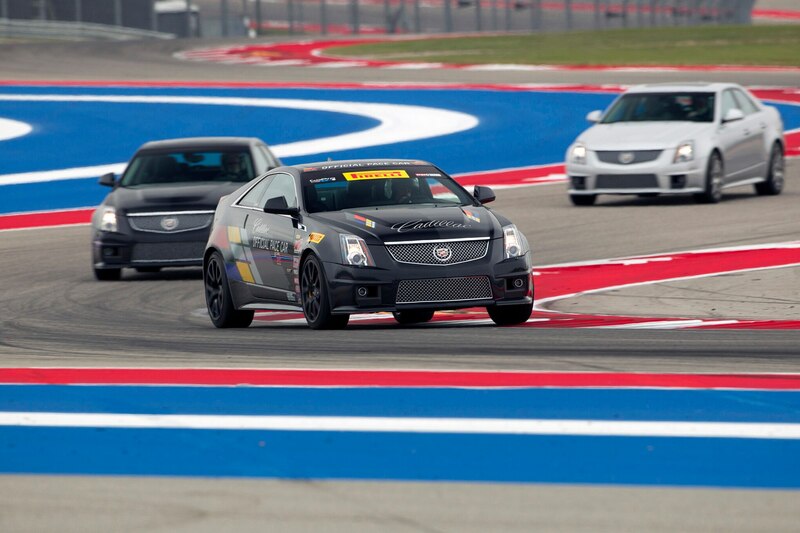 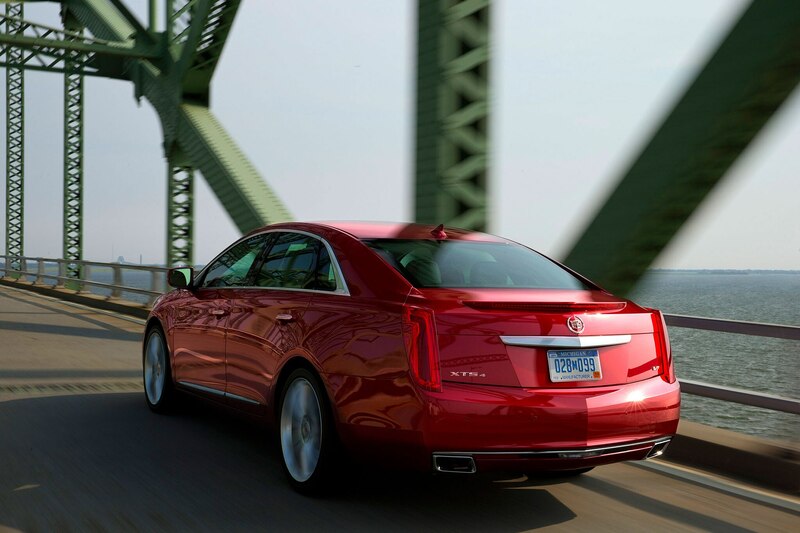 Cadillac (fancifully) describes the Cadillac Elmiraj concept engine as a twin-turbo dual-overhead-cam V-8. 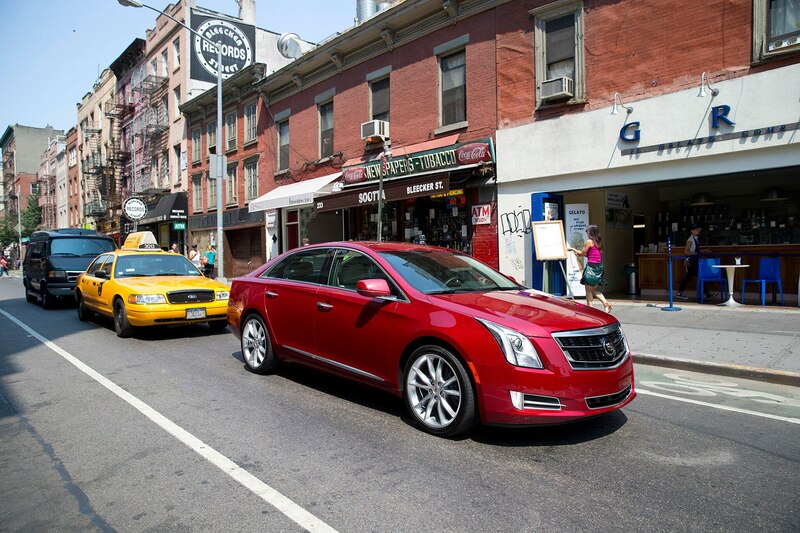 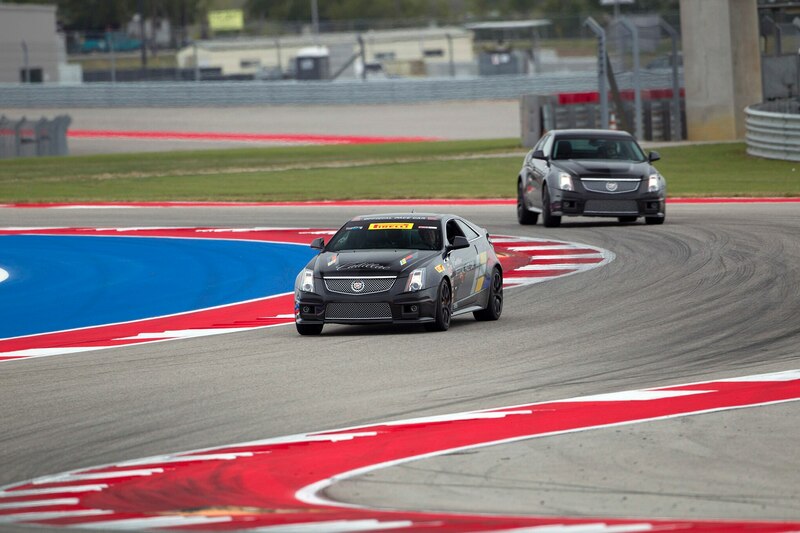 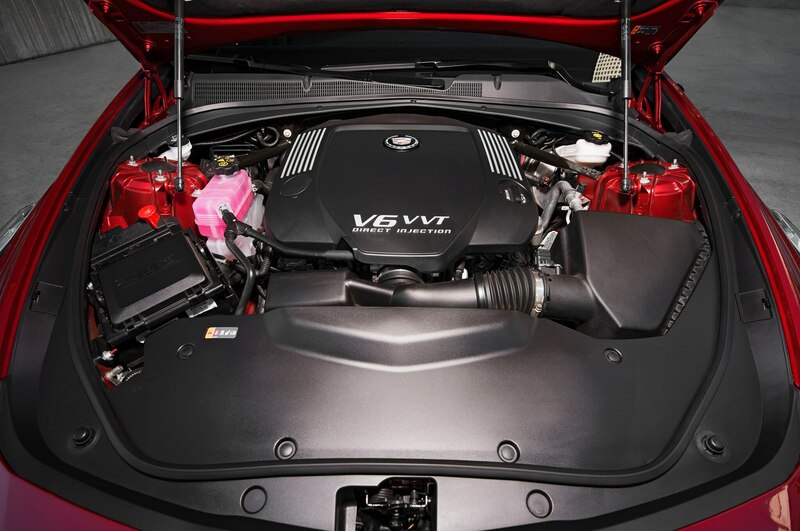 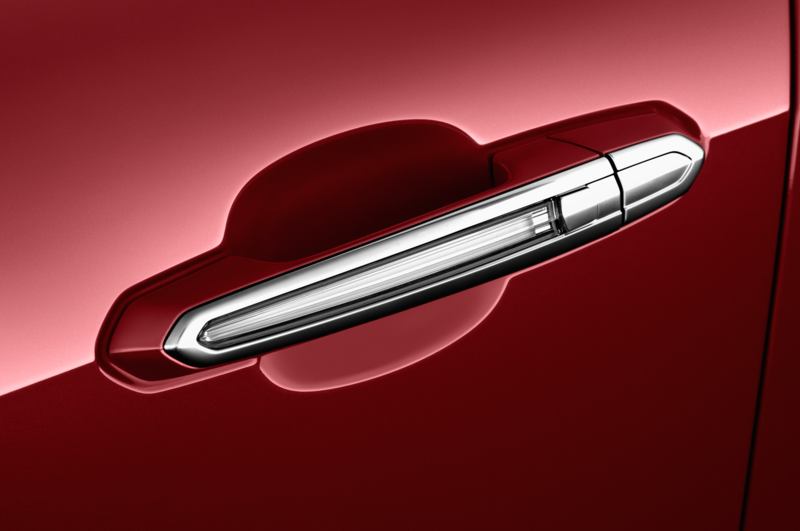 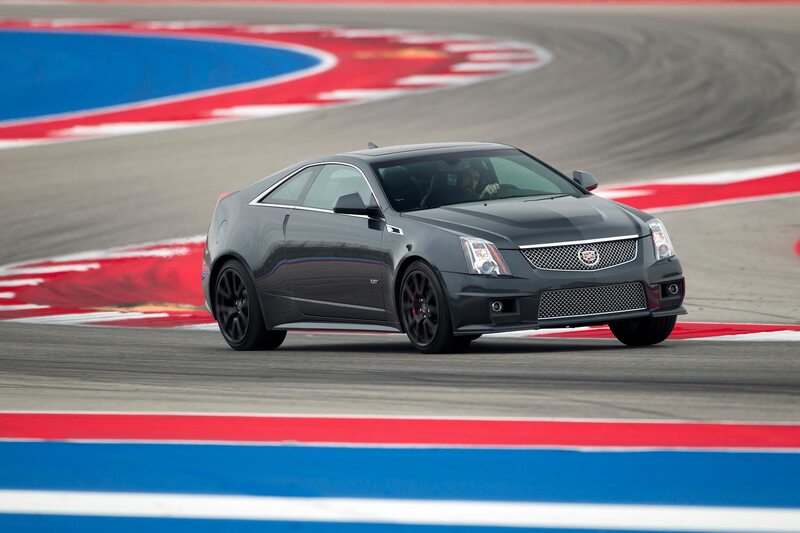 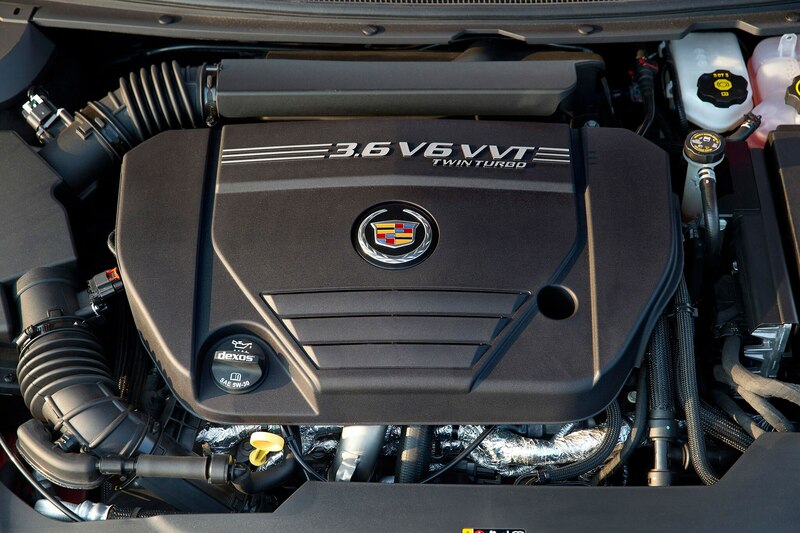 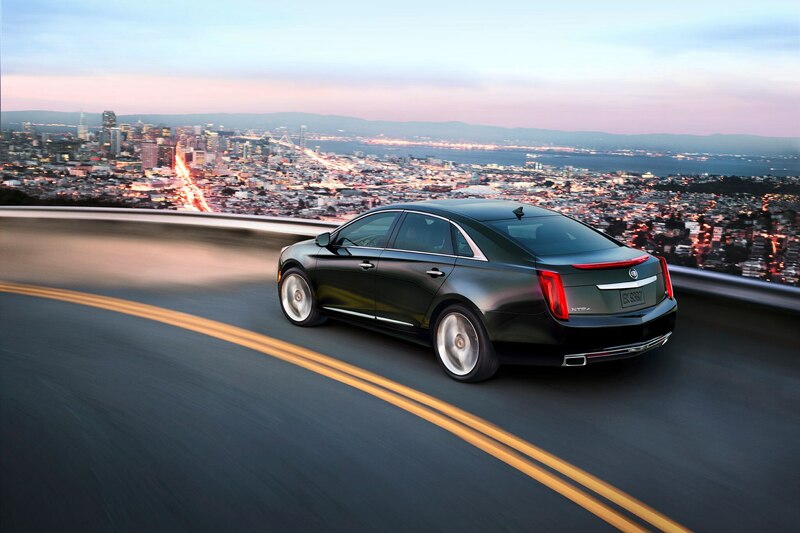 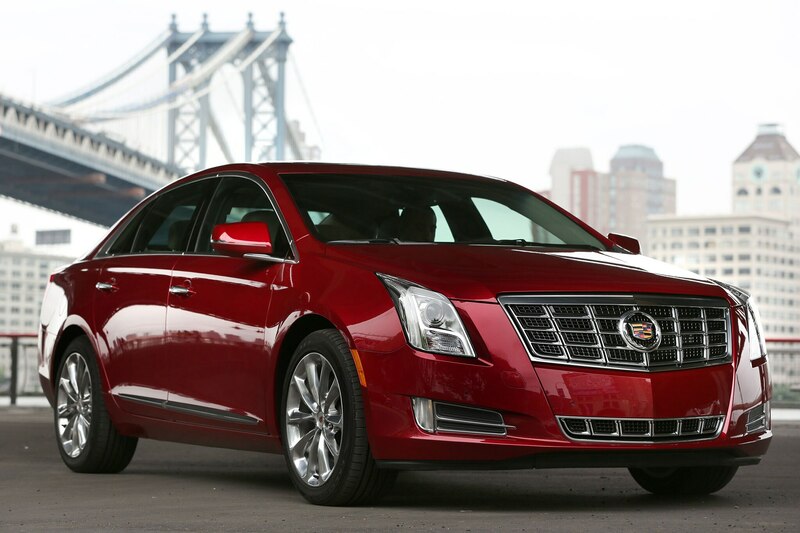 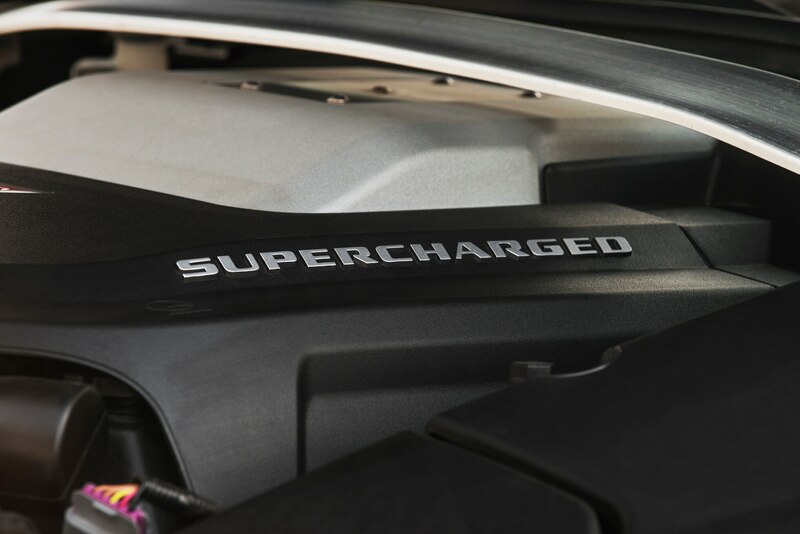 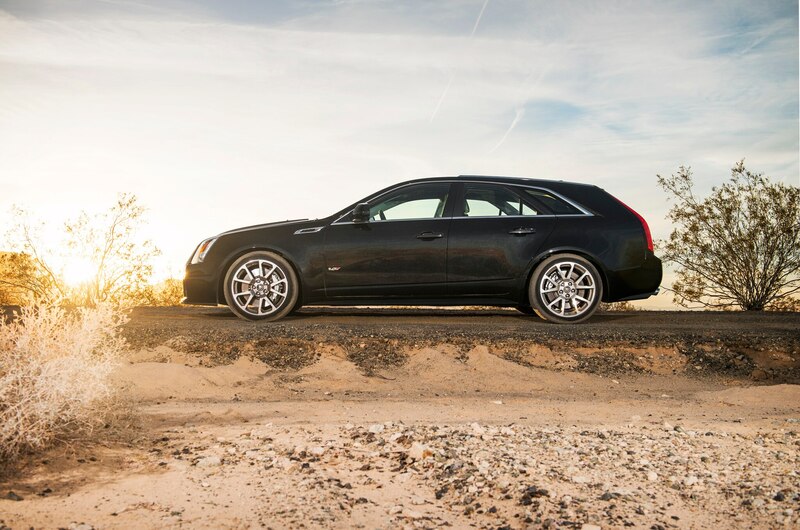 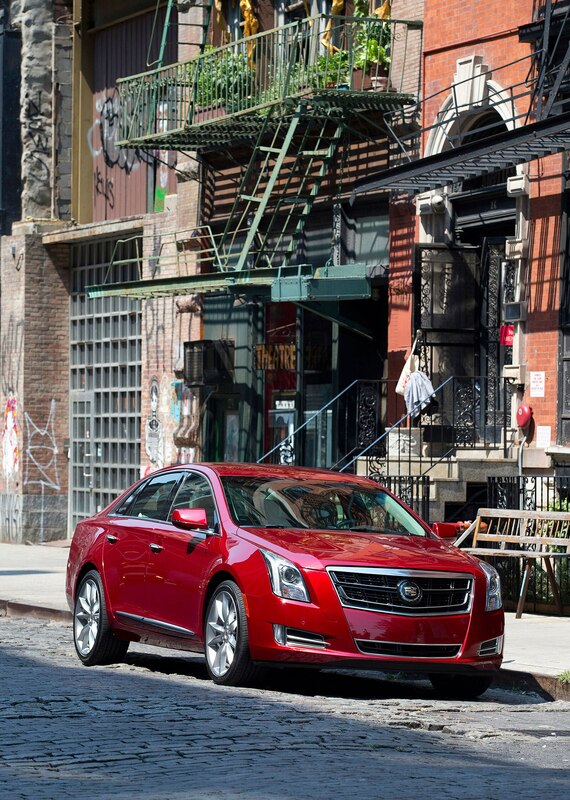 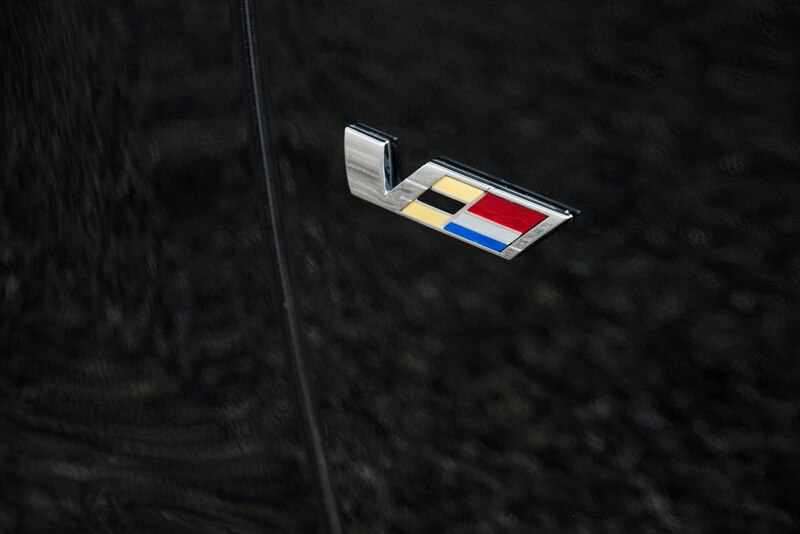 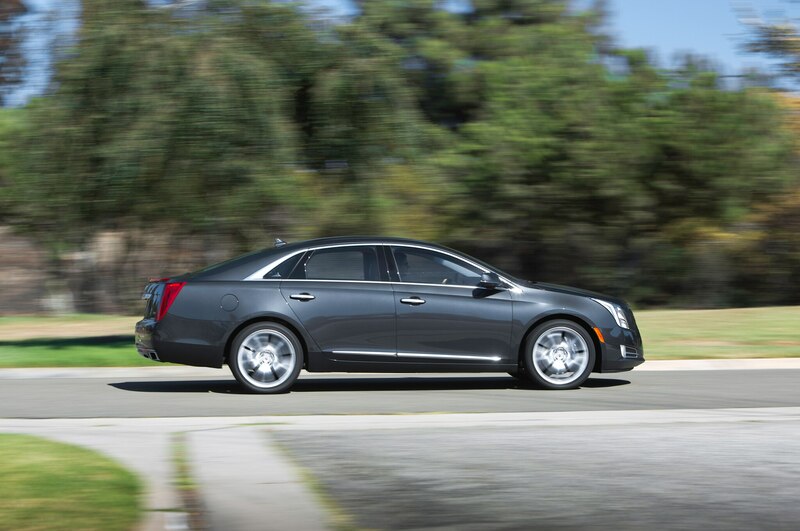 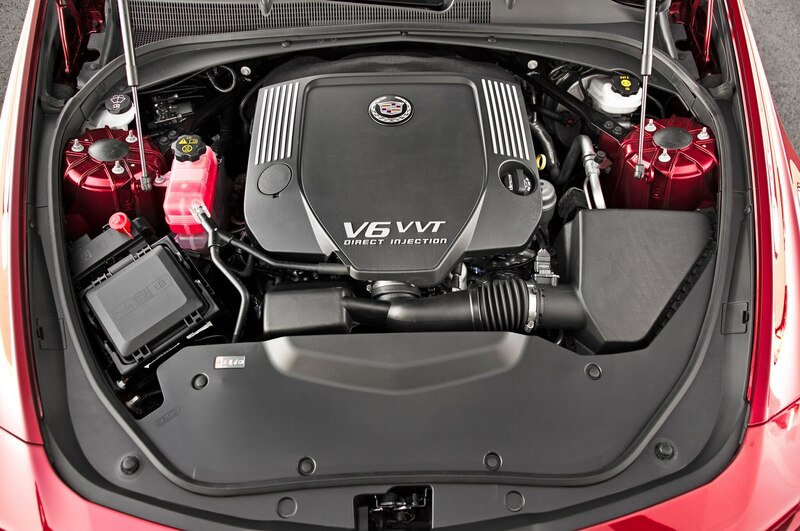 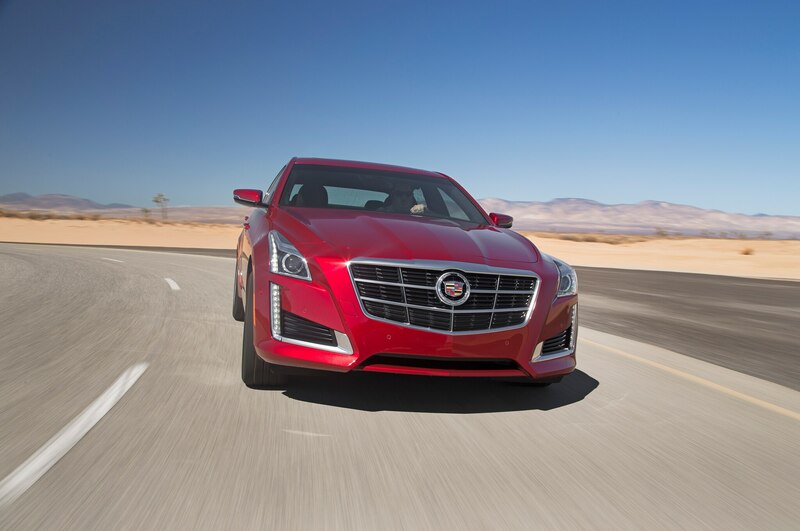 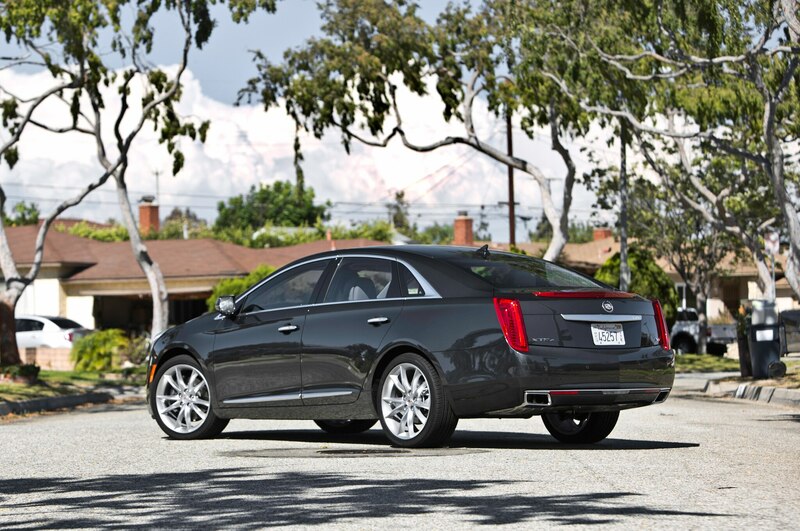 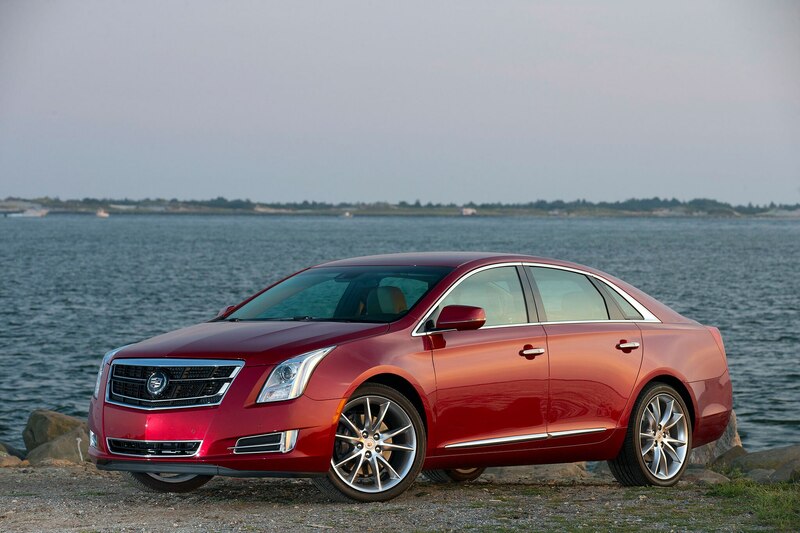 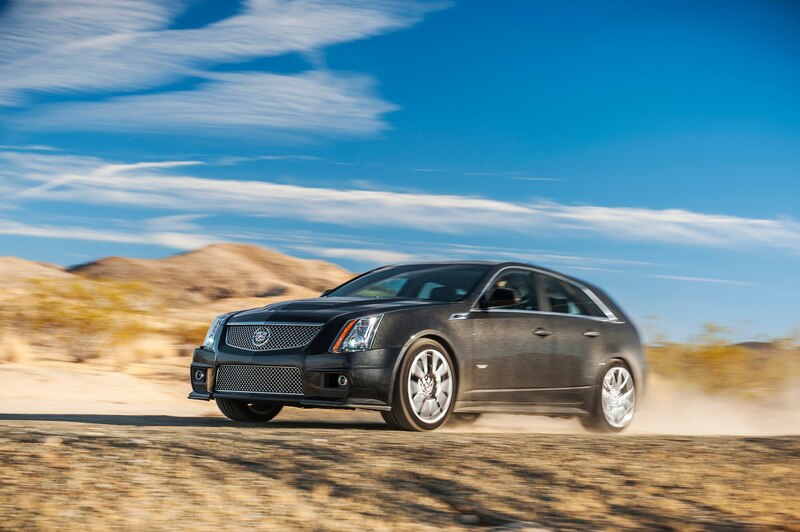 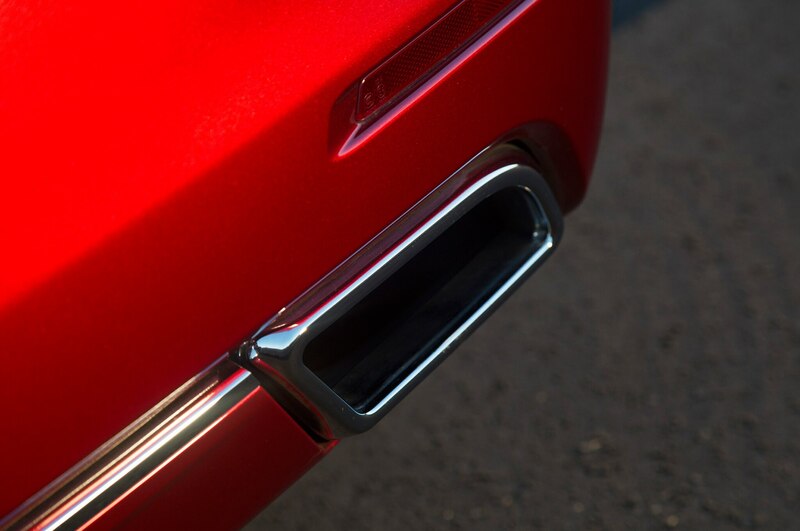 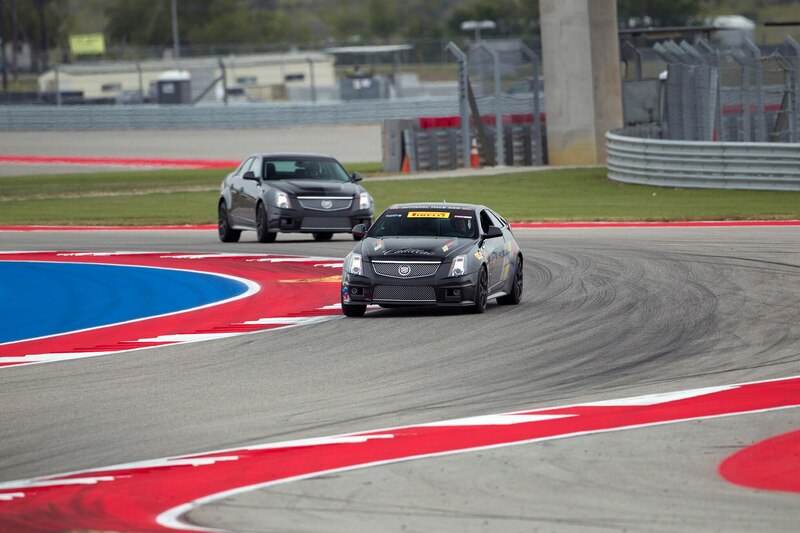 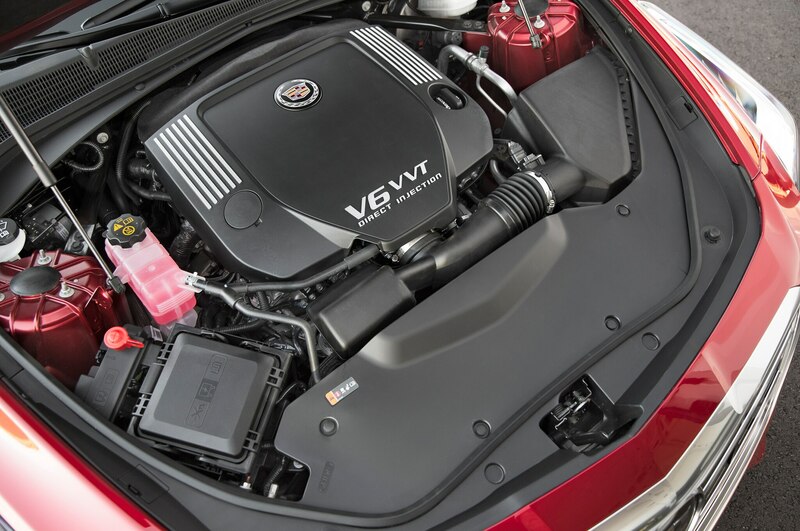 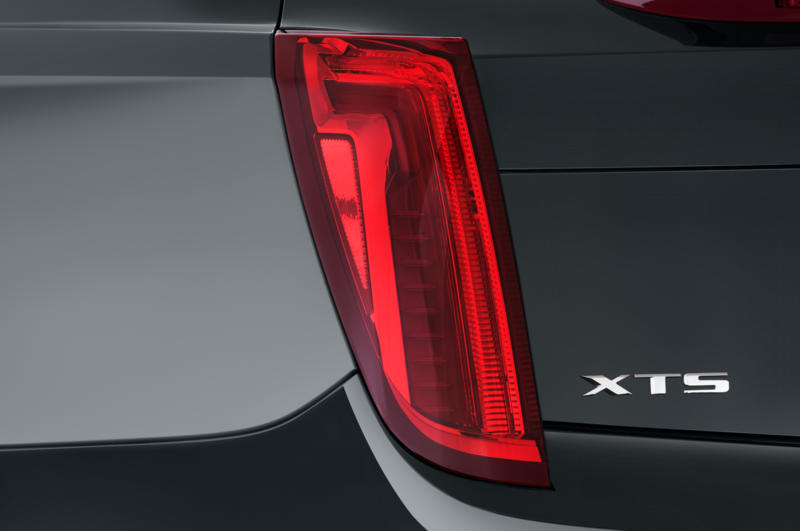 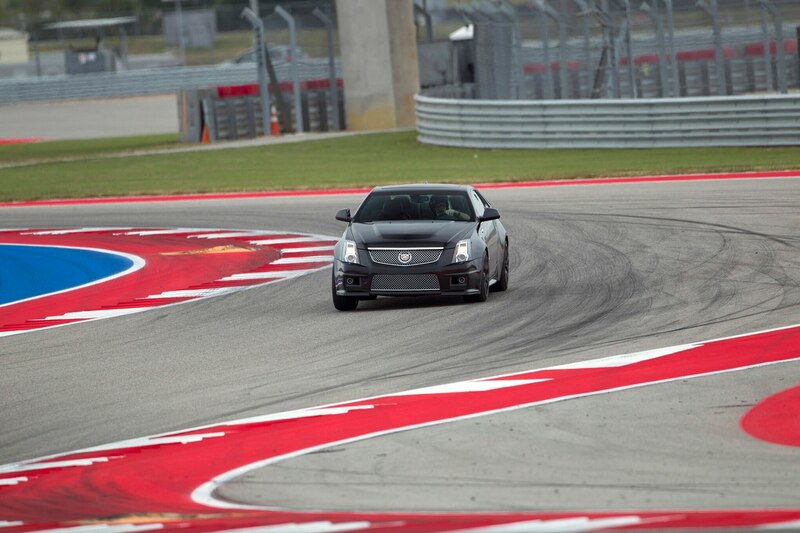 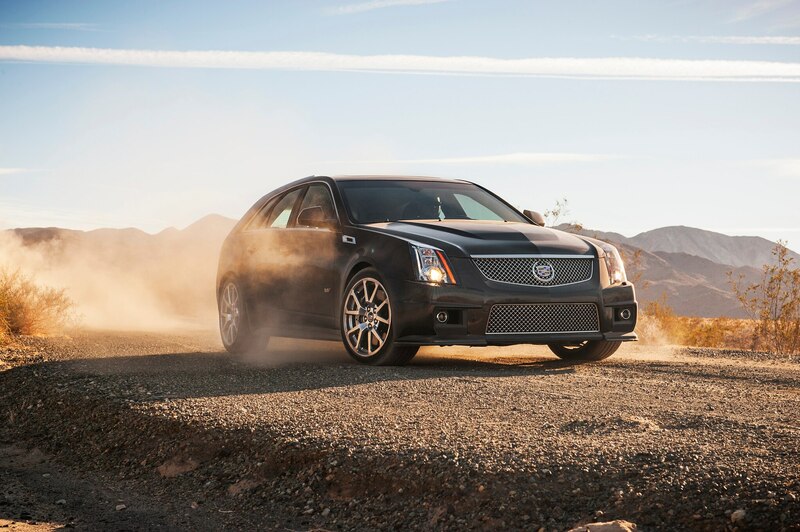 We expect a pushrod small-block if Cadillac decides that the production car needs a V-8. 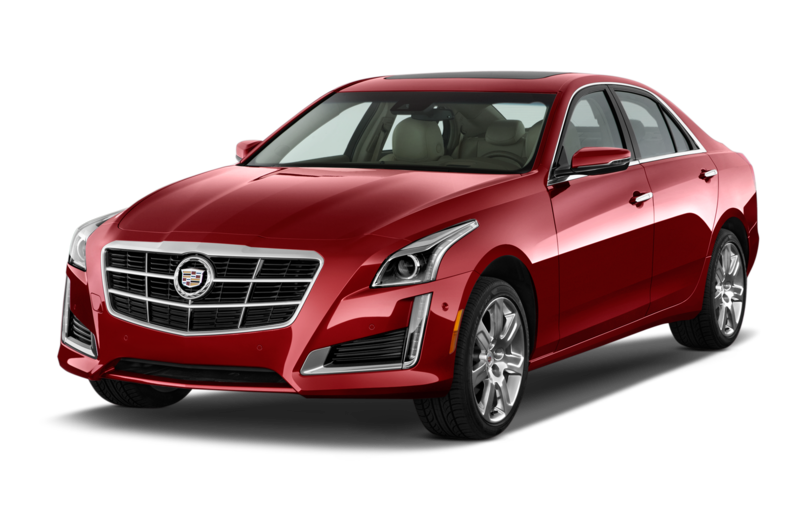 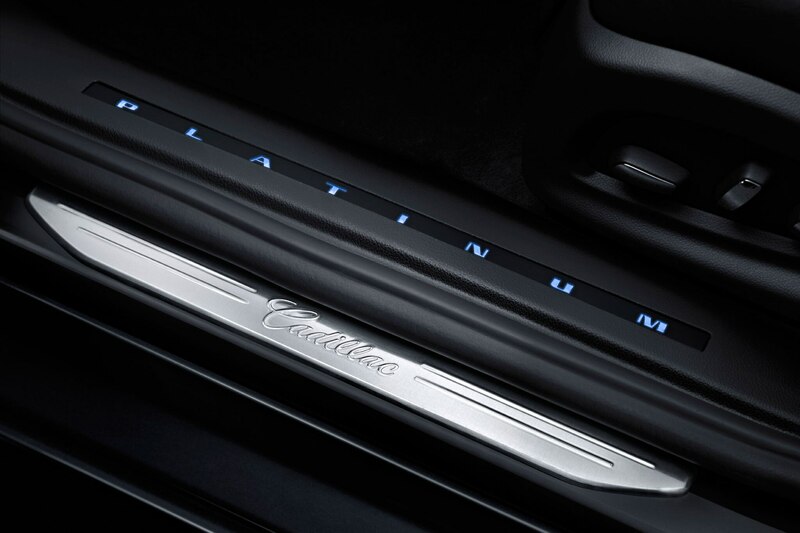 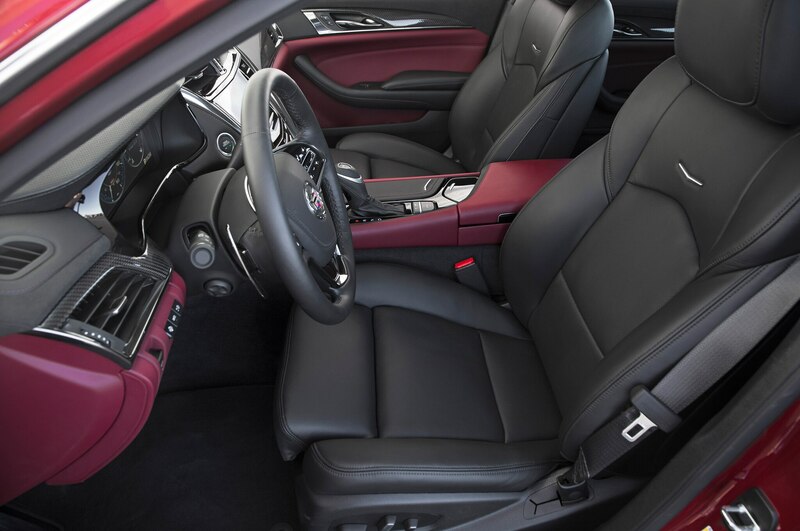 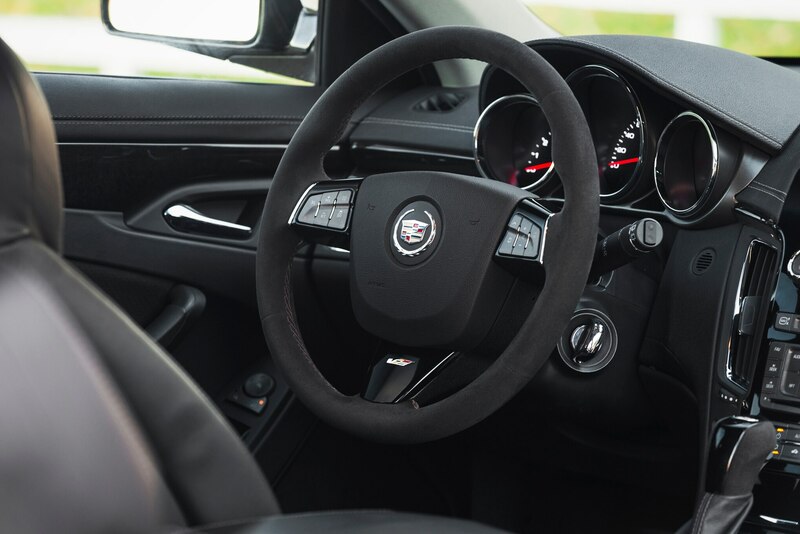 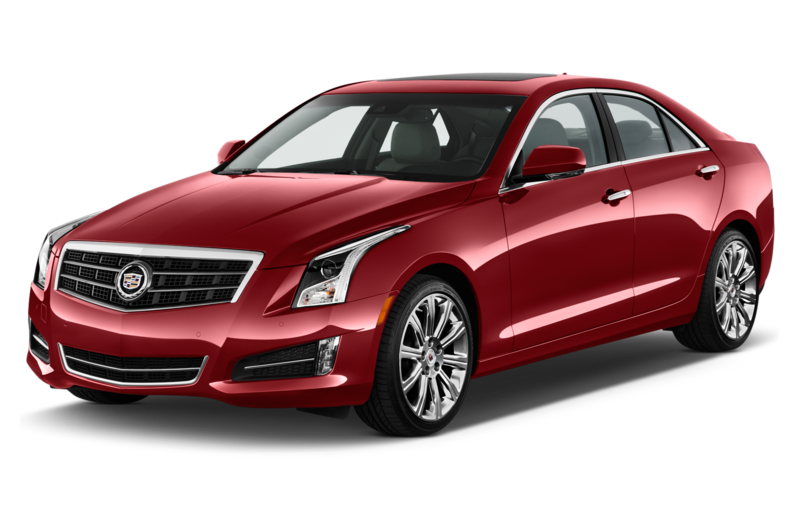 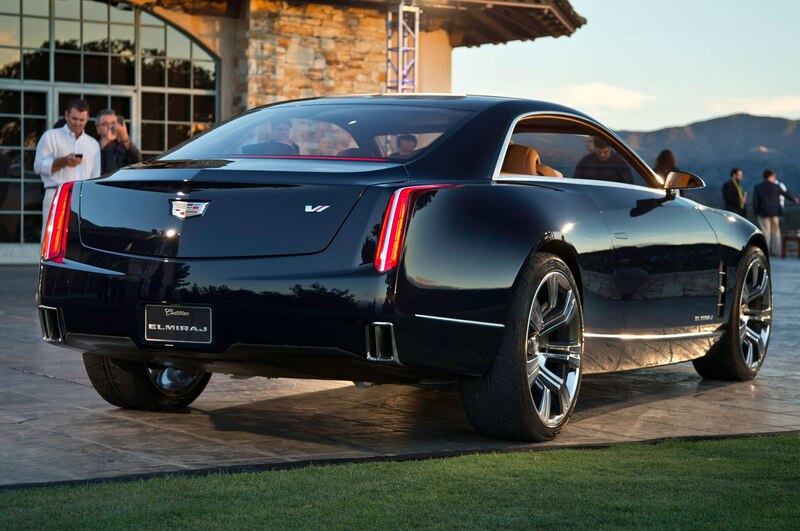 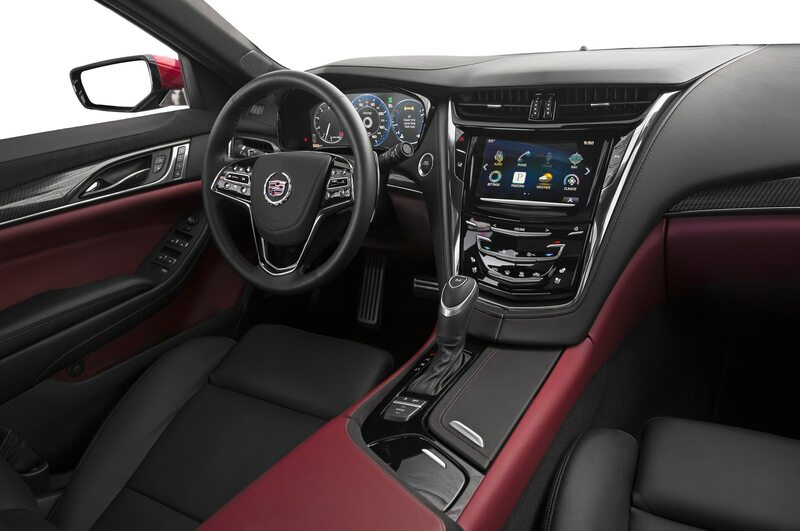 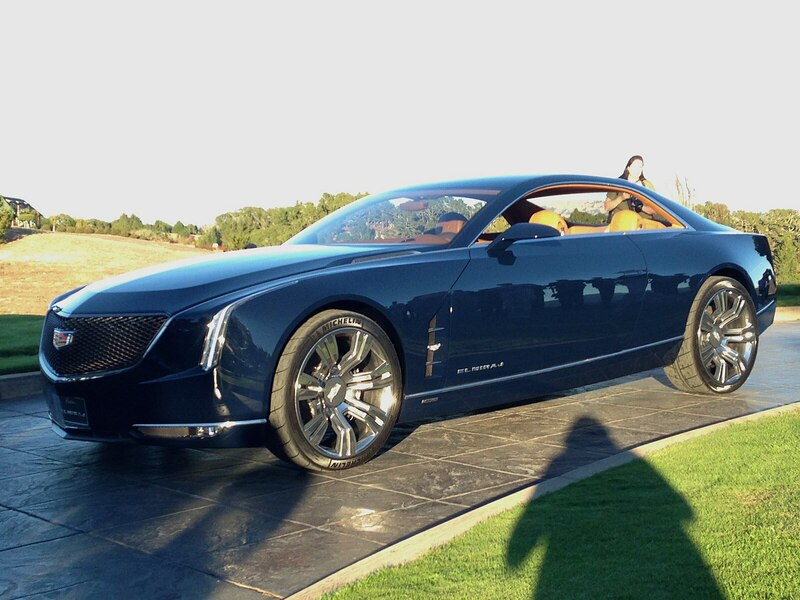 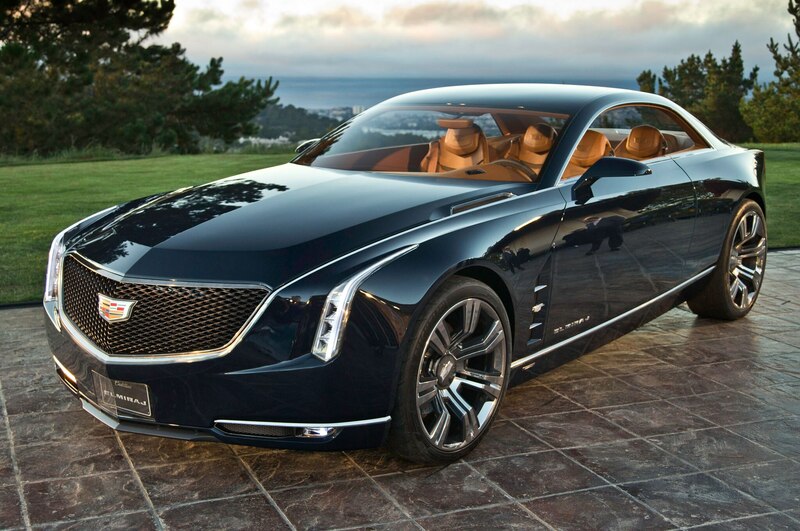 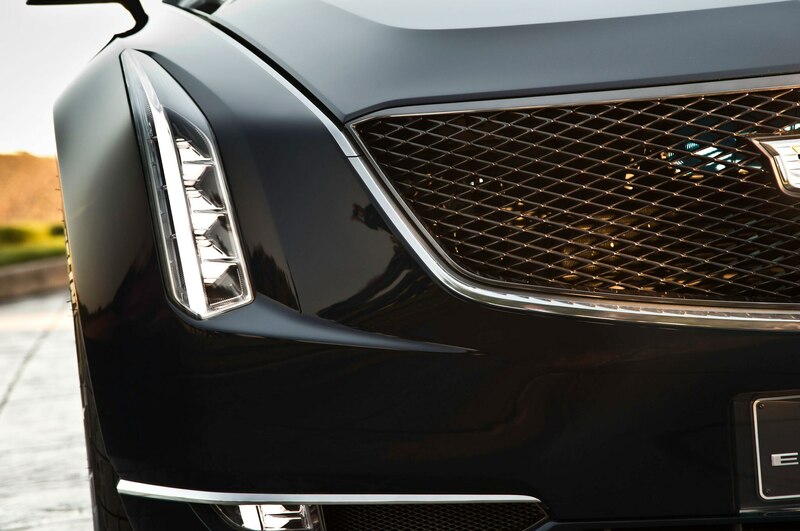 Considering reaction to the Cadillac Elmiraj concept among the moneyed crowds at Pebble Beach, America may at last — and once again — have a world-class luxury-car brand.